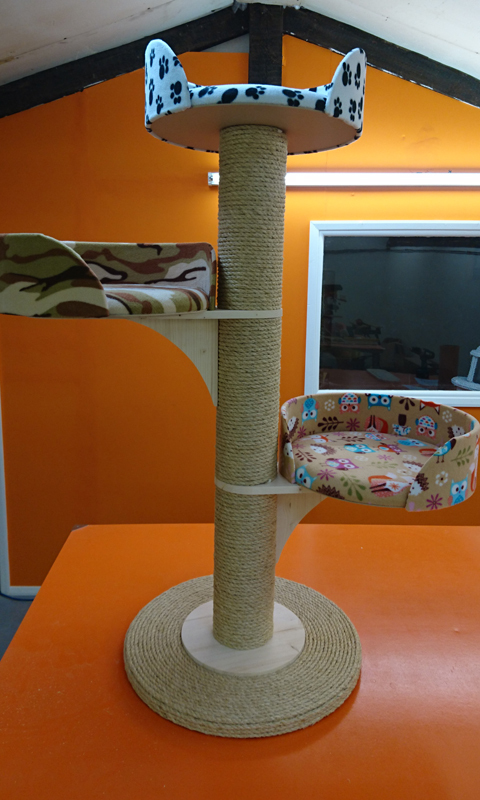 Soft: Our polar fleece fabric is extremely soft, and very comfortable for your cat to sleep on. 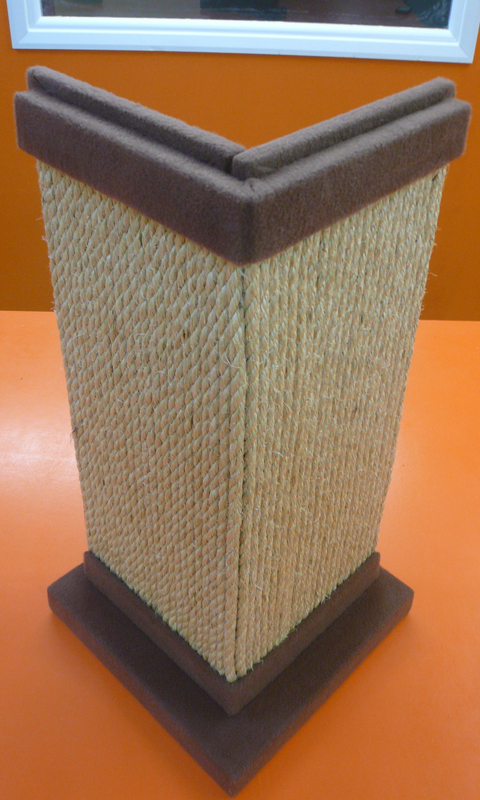 Anti-Pil: With an anti-pil finish, our fleece won't 'bobble'. 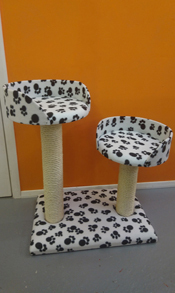 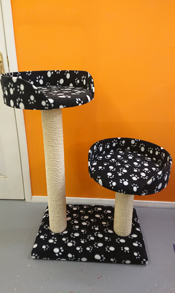 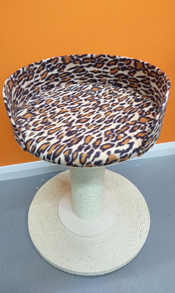 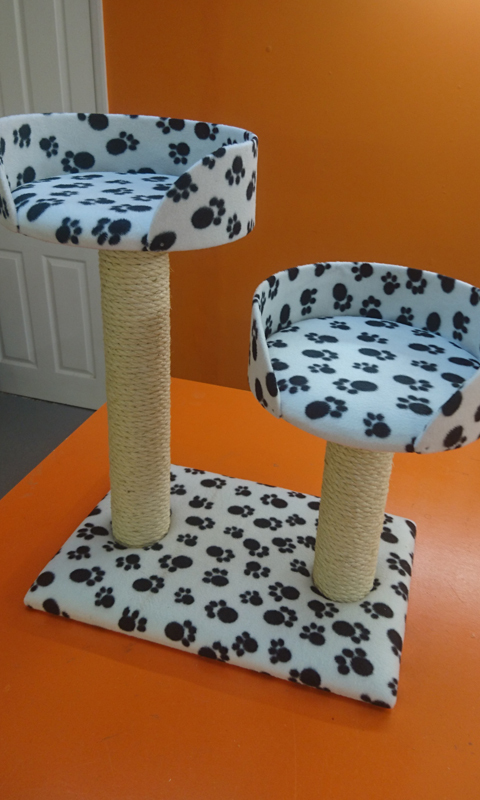 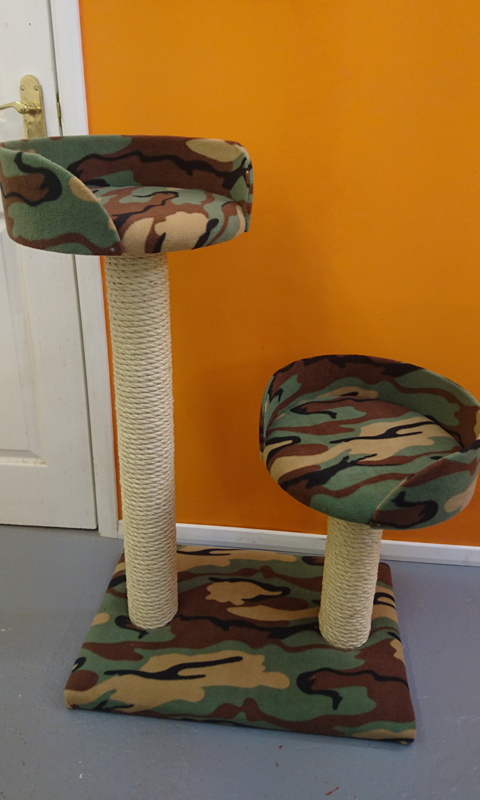 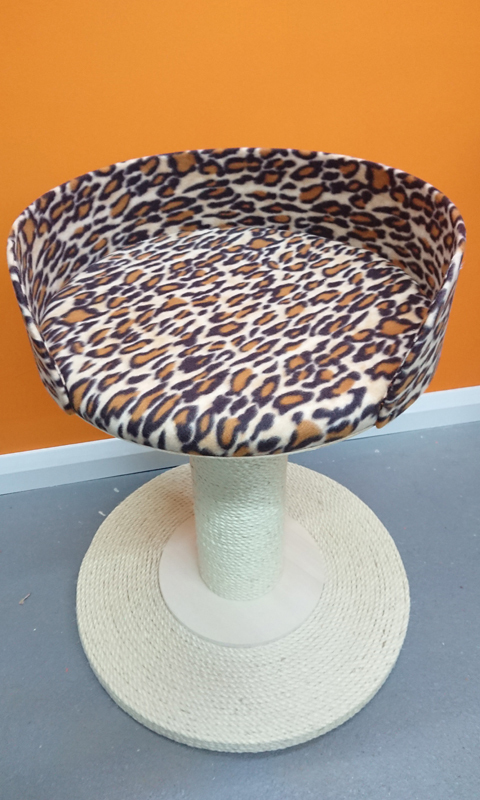 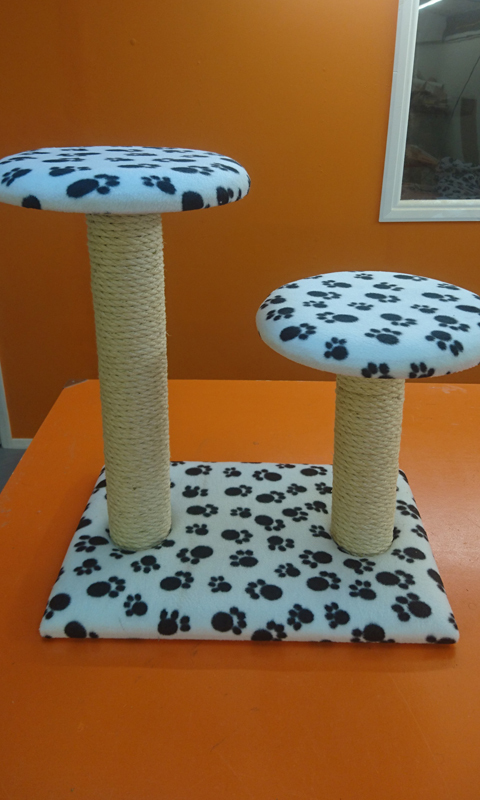 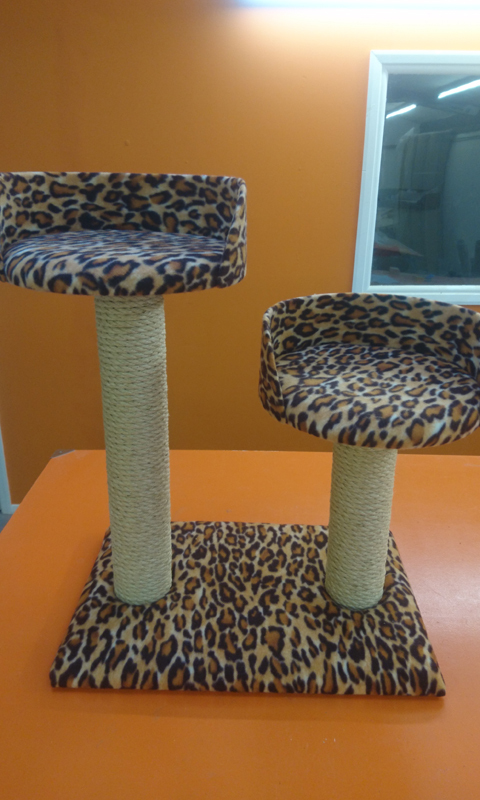 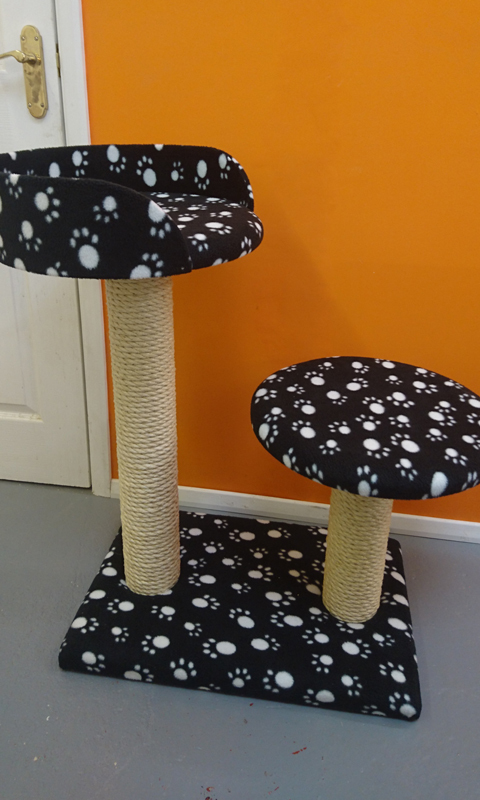 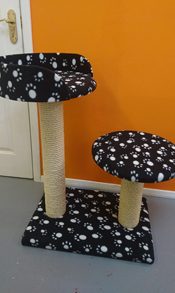 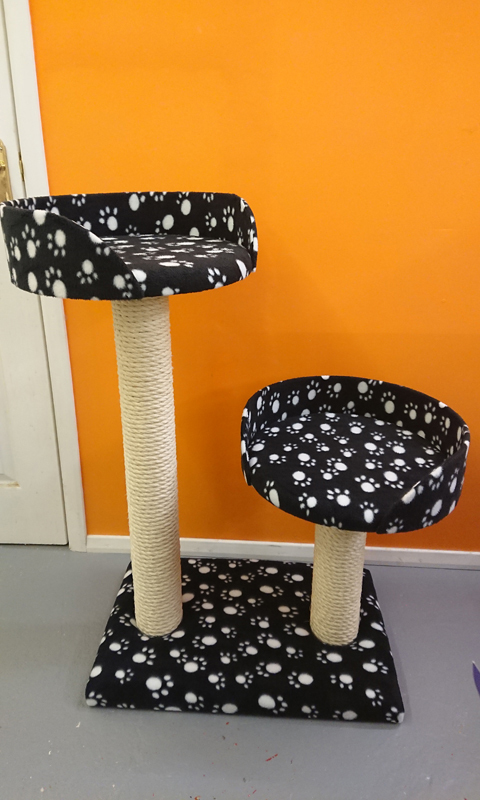 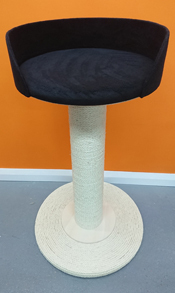 Insulating: Polar fleece fabric has great insulating properties, keeping your cat warm - even more so when coupled with our upholstery foam on most models. 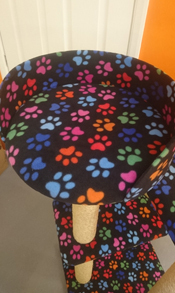 Hydrophobic: This polar fleece holds less than 1% water, letting it retain its insulating properties even when your cat is wet from being out in the rain. 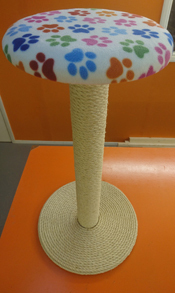 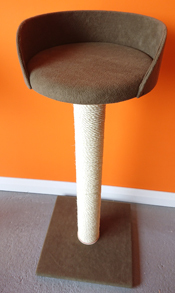 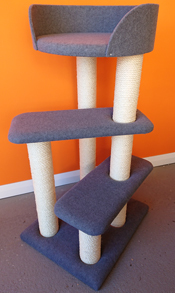 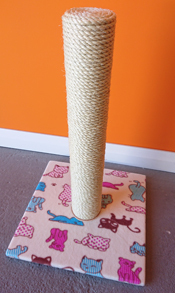 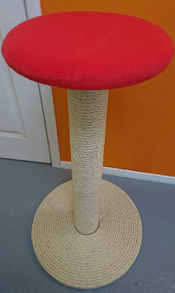 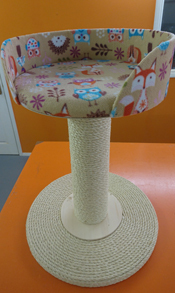 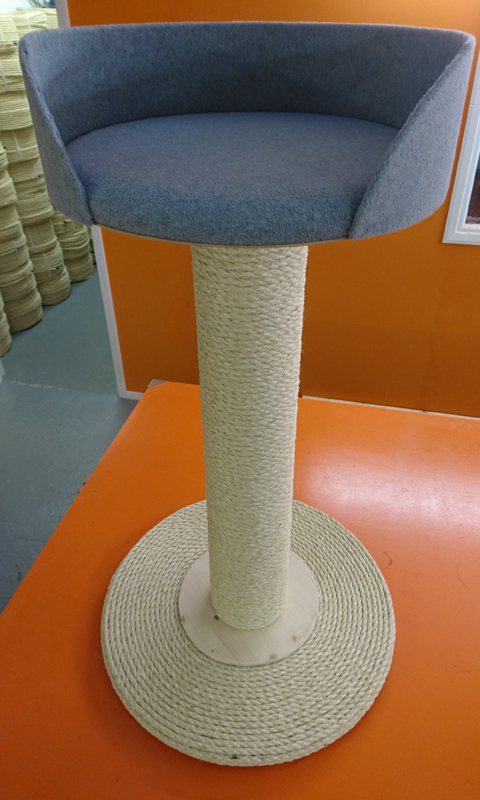 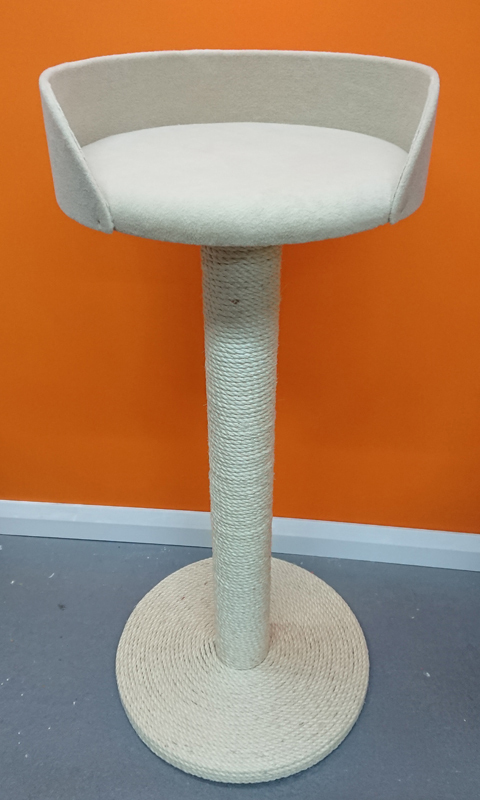 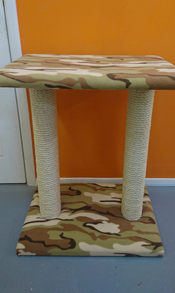 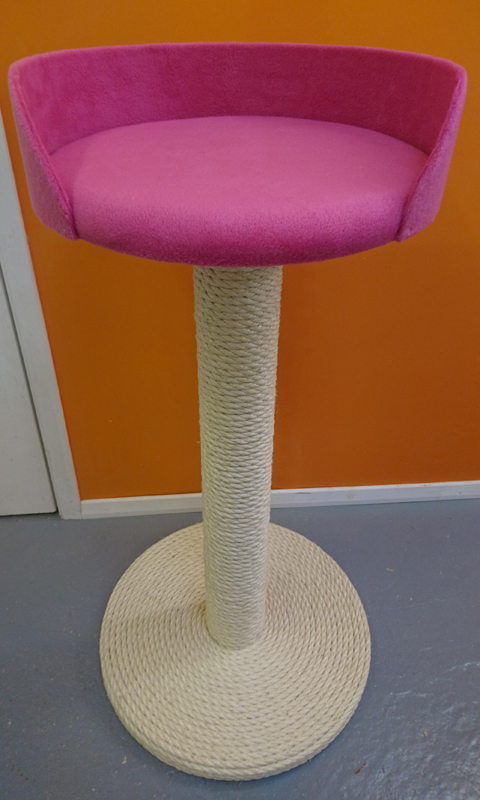 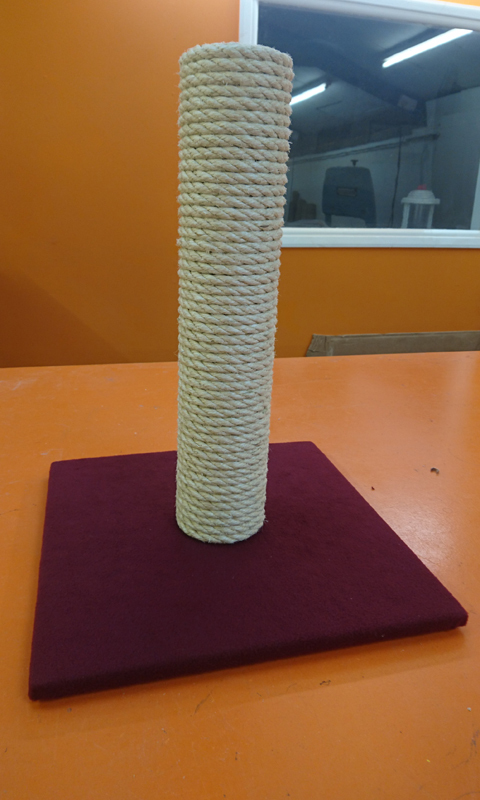 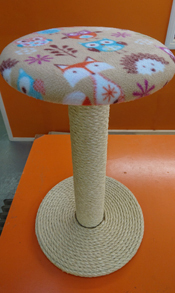 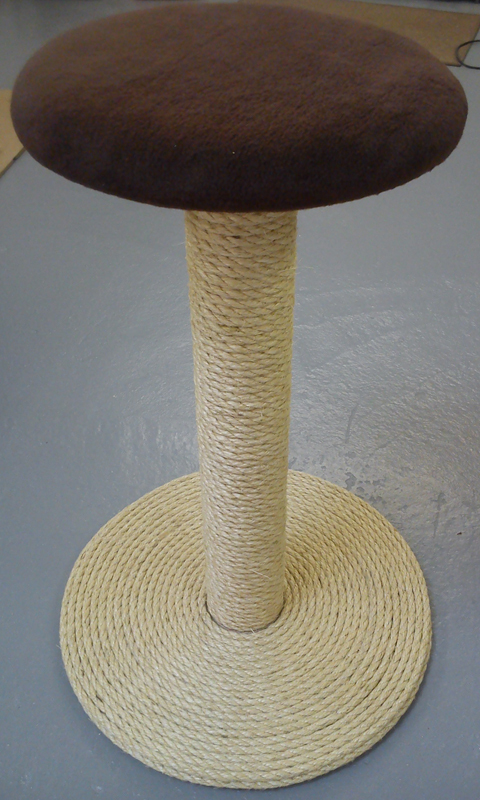 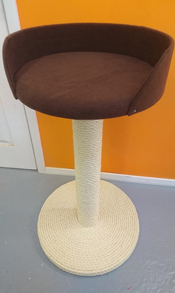 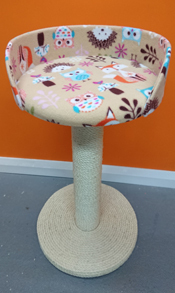 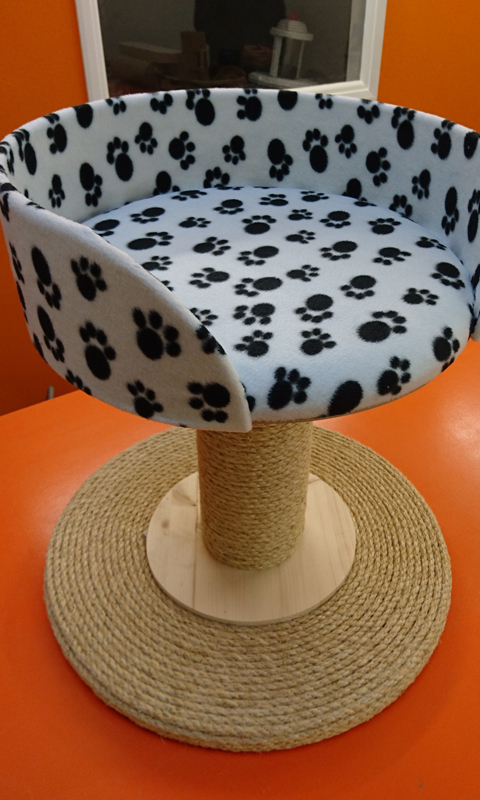 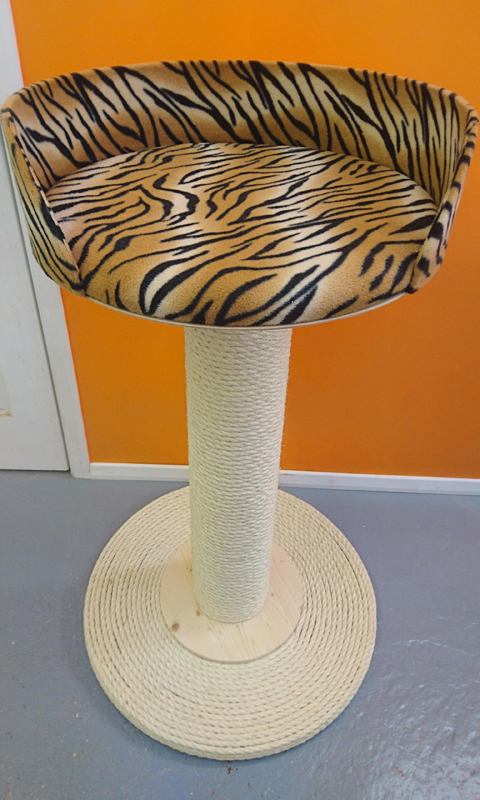 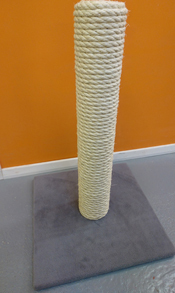 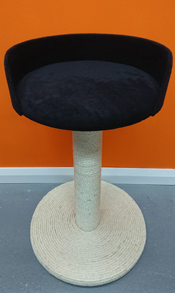 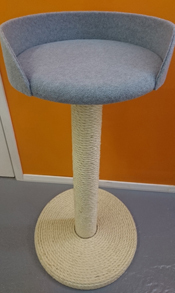 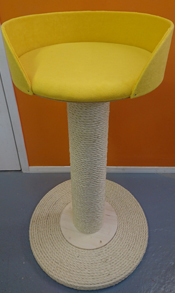 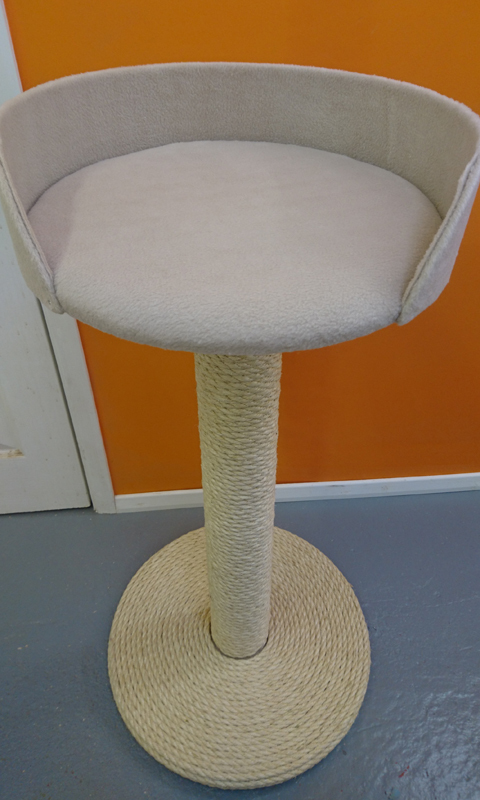 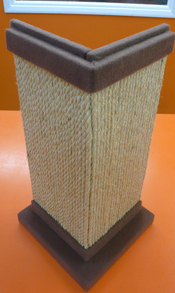 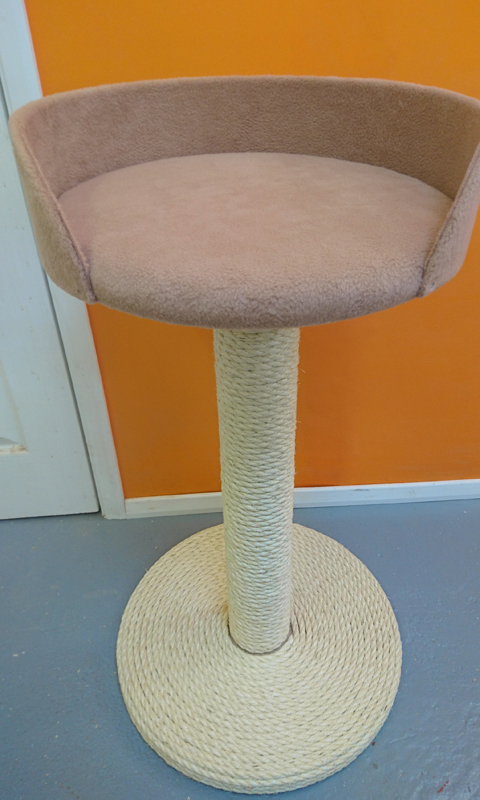 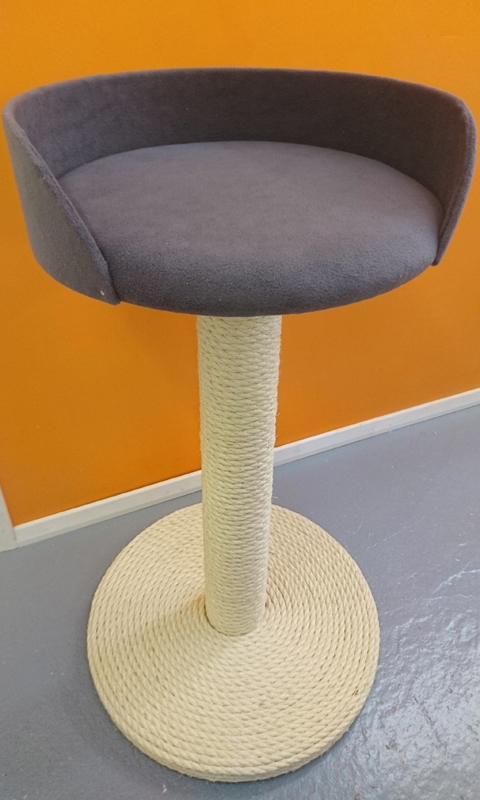 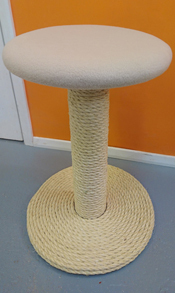 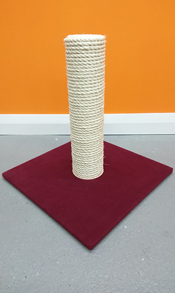 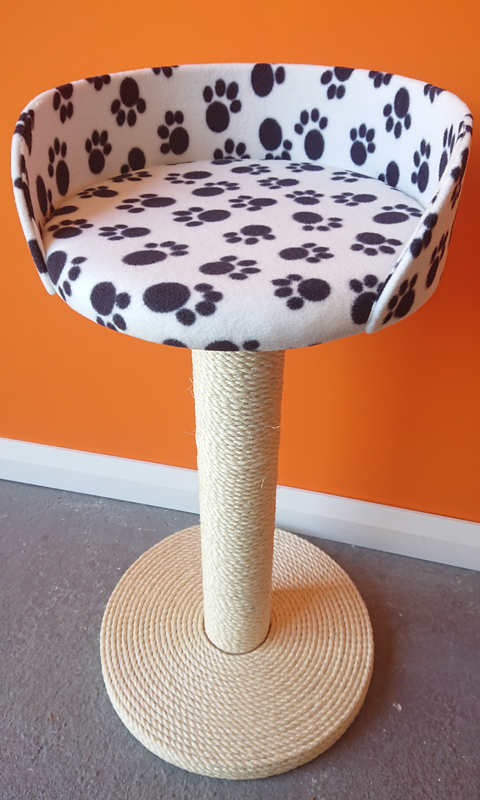 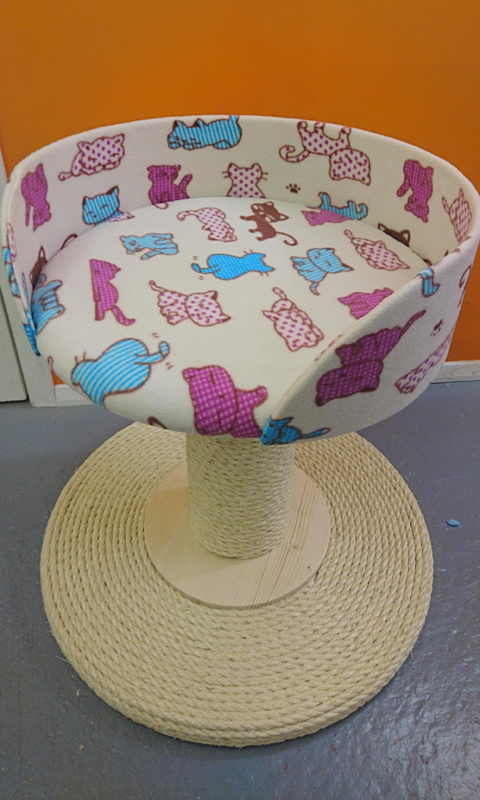 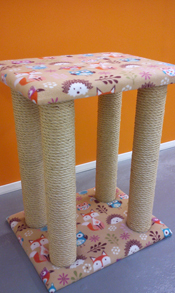 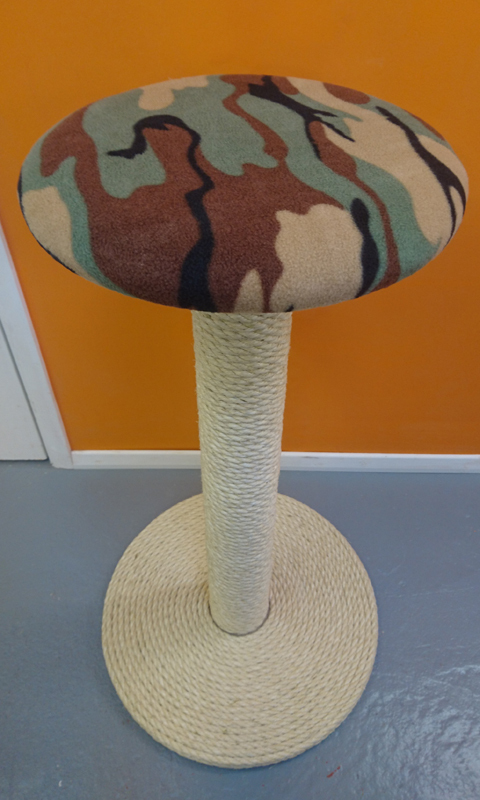 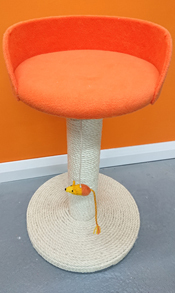 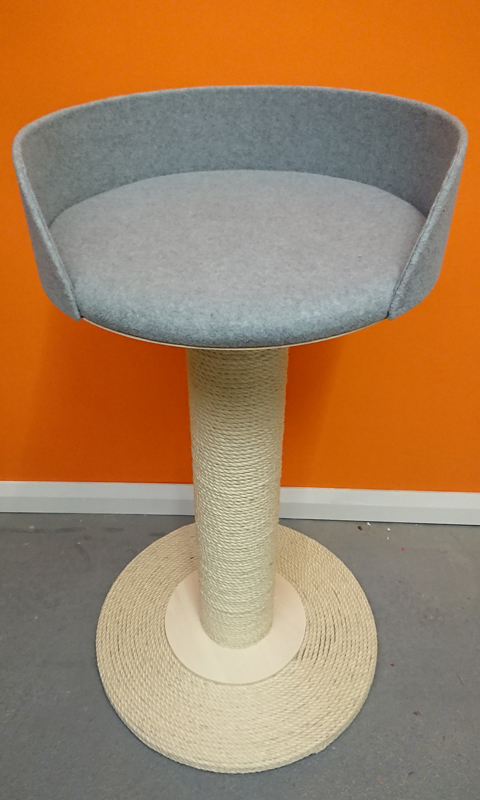 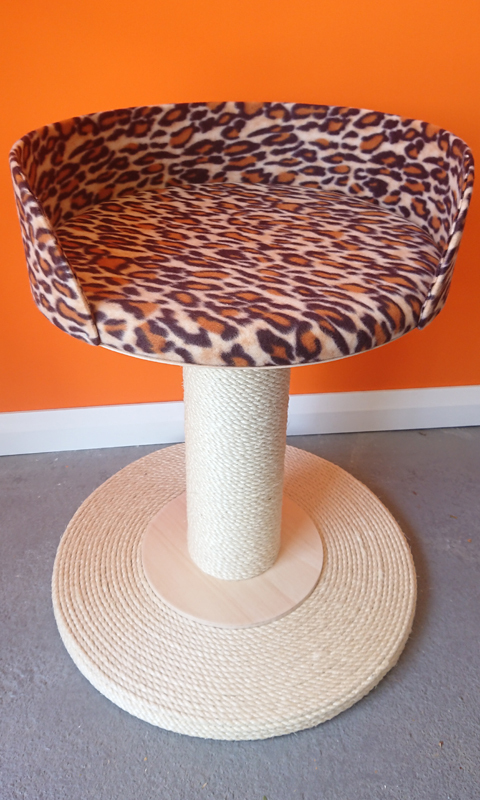 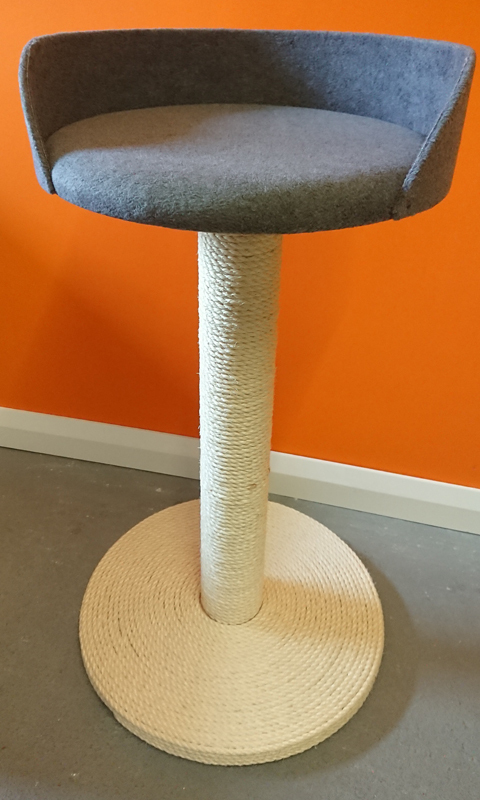 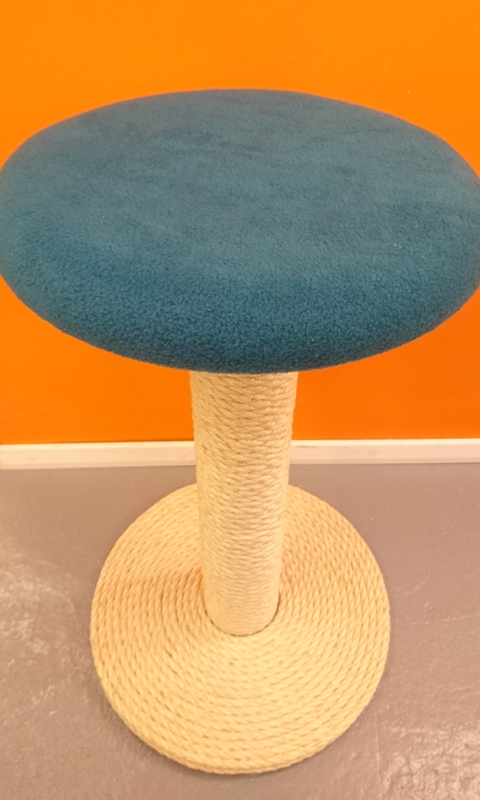 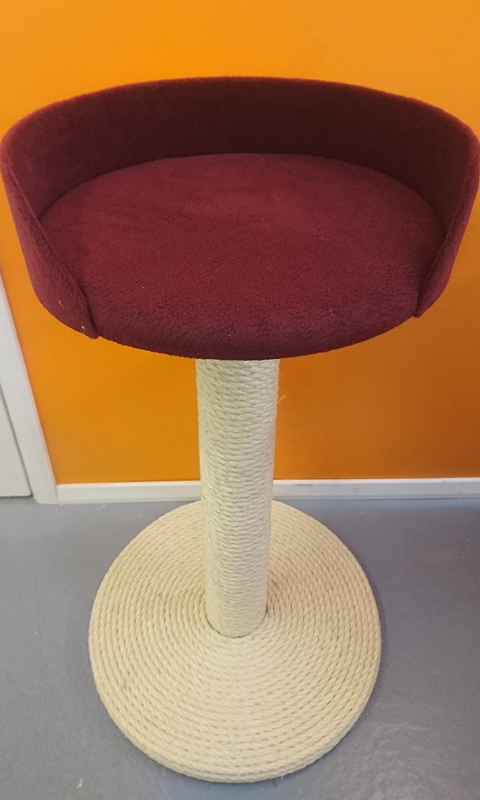 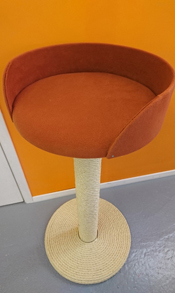 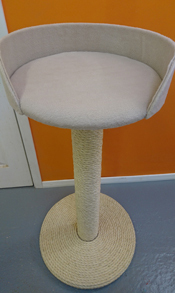 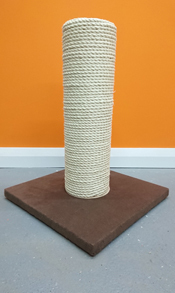 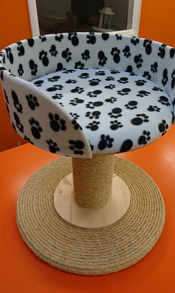 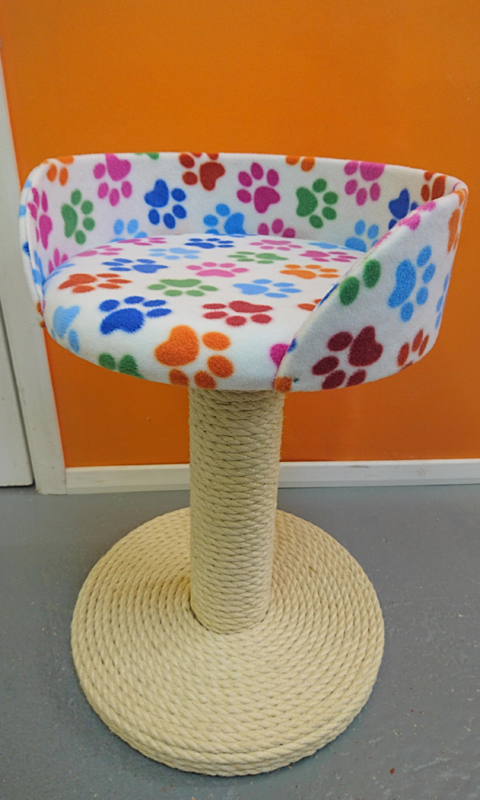 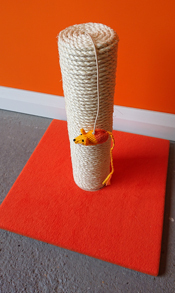 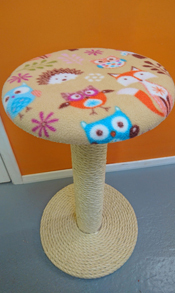 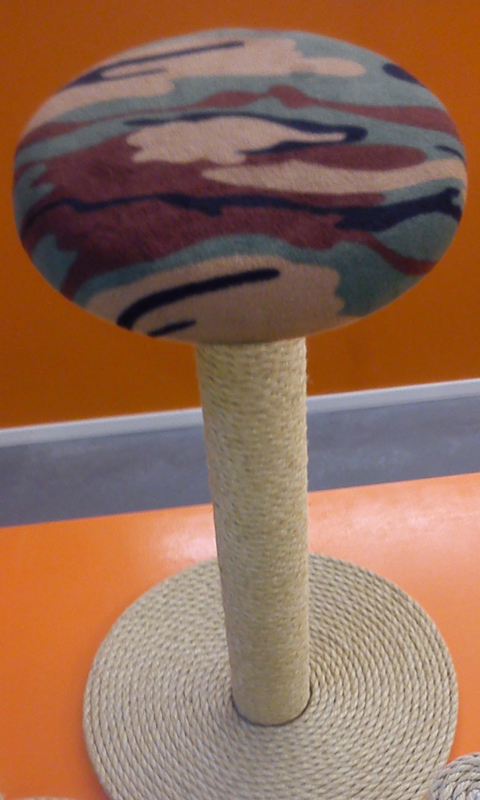 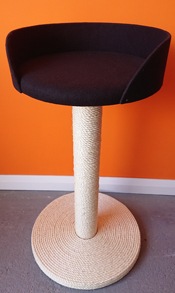 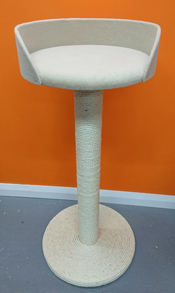 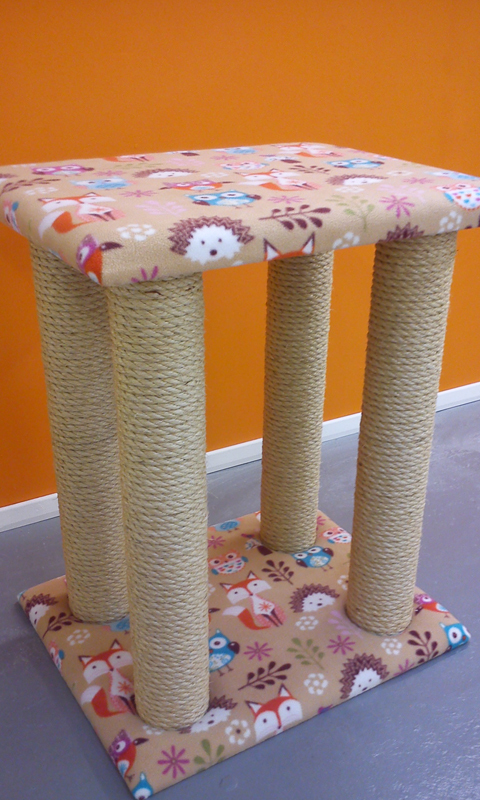 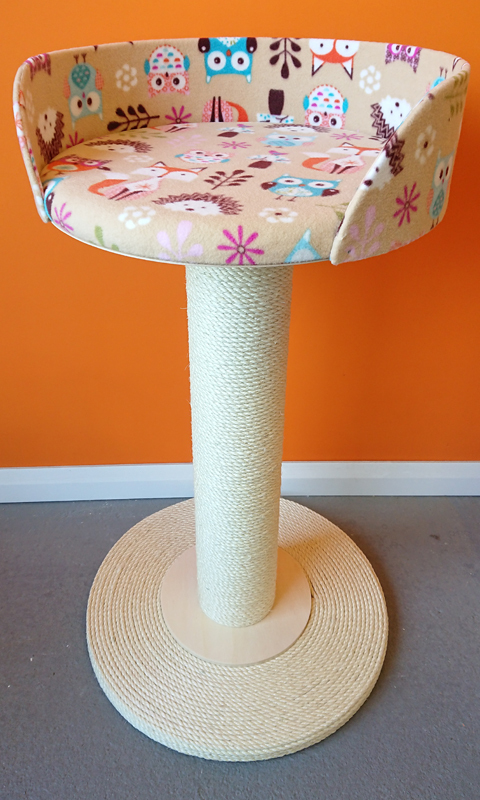 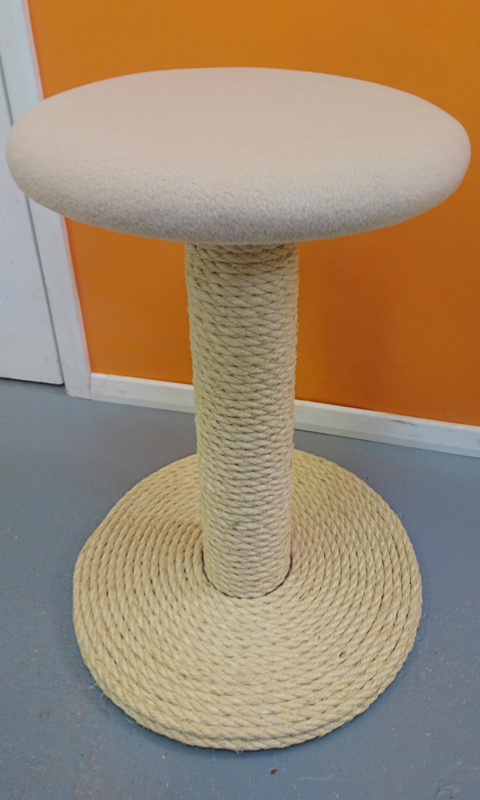 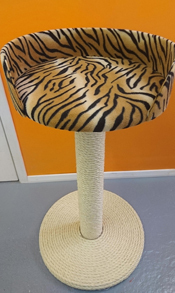 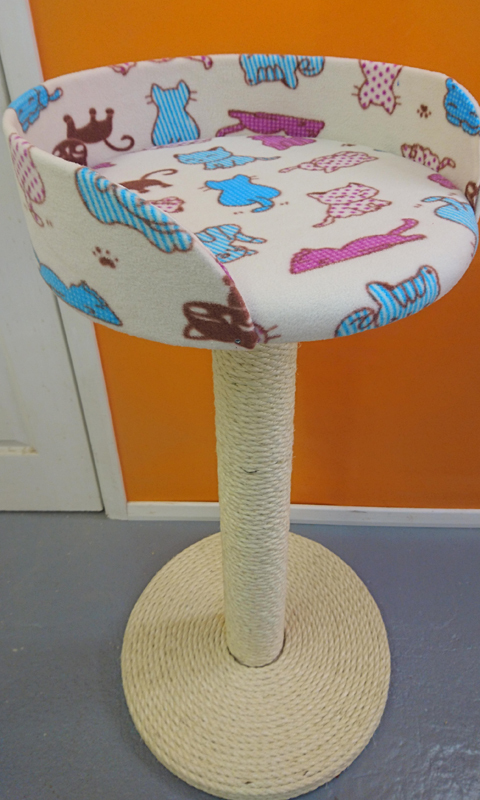 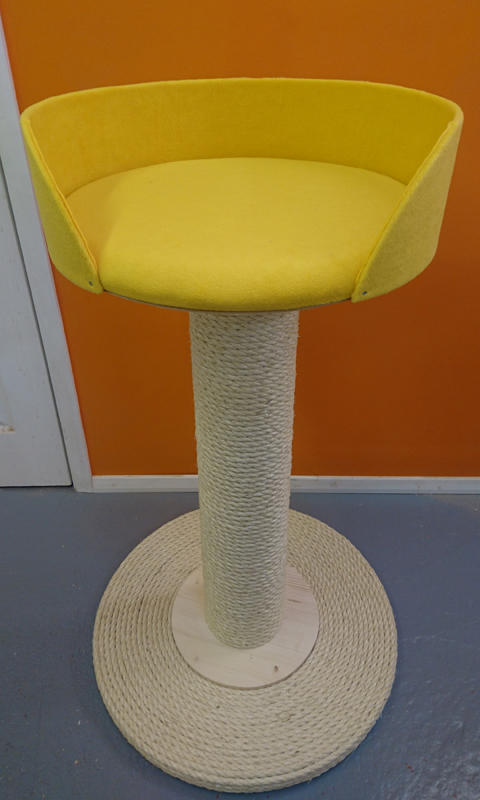 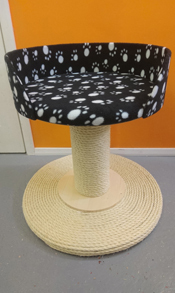 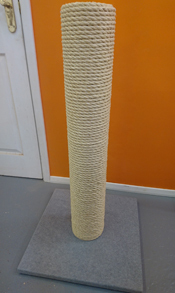 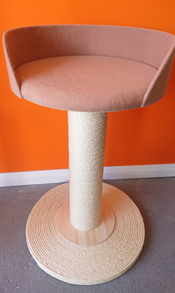 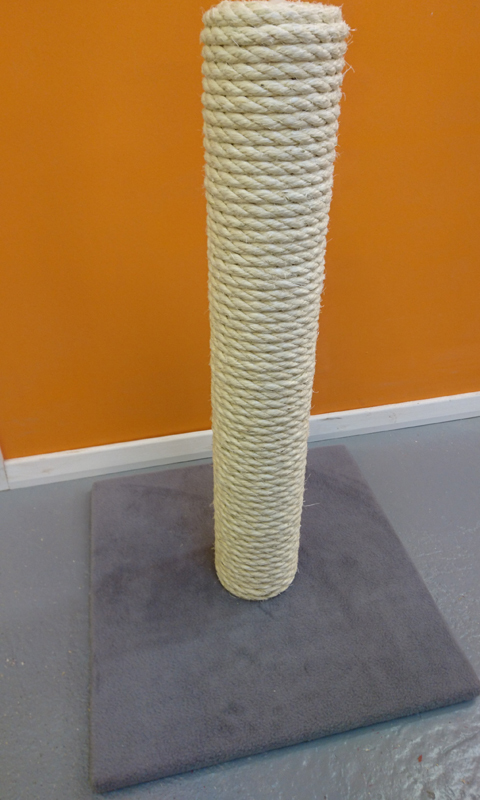 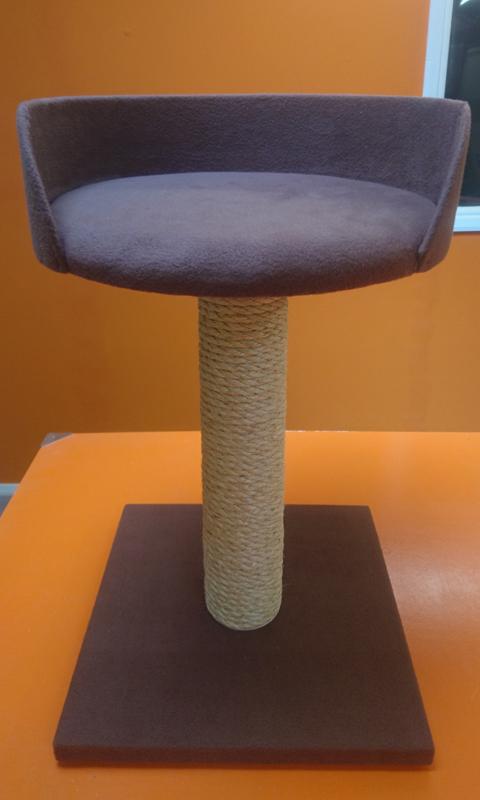 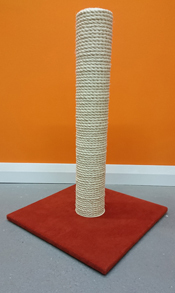 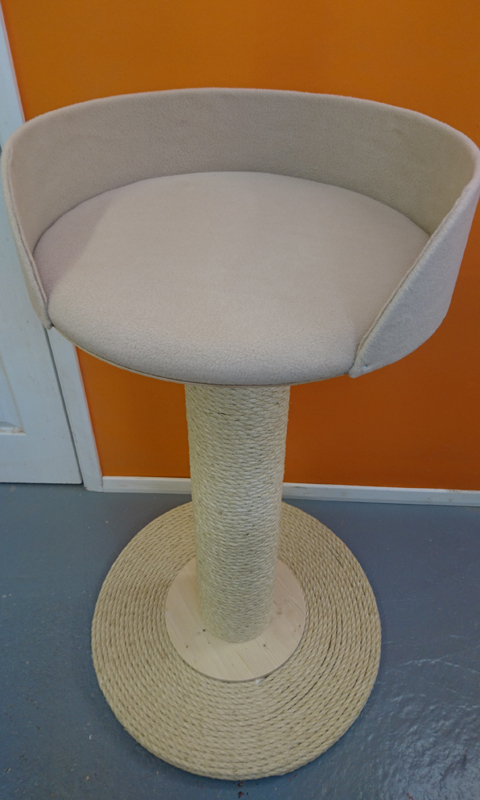 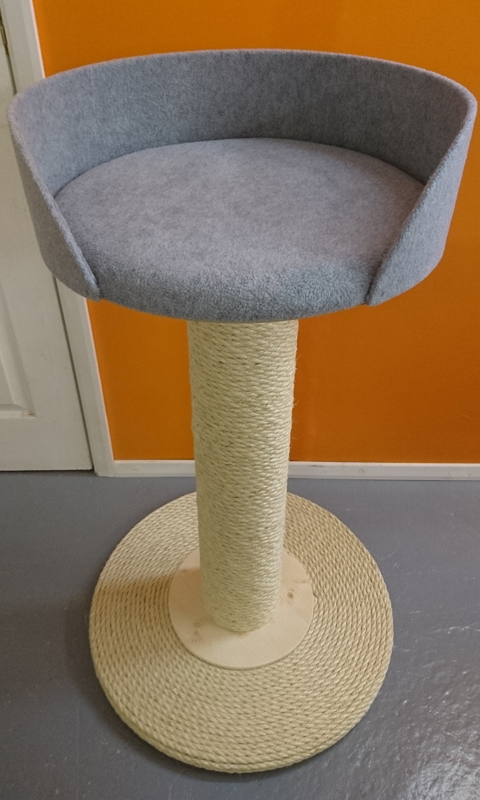 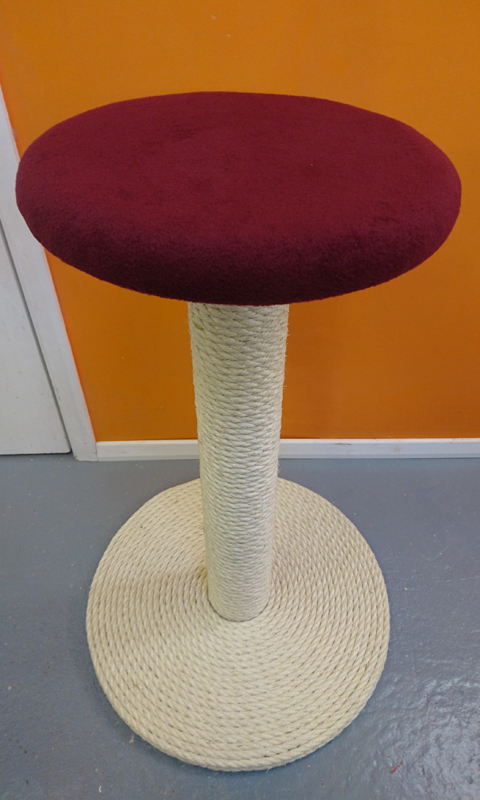 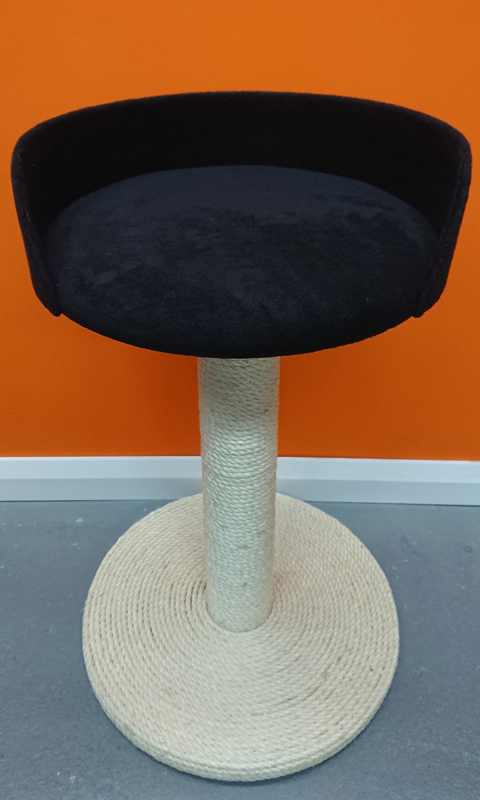 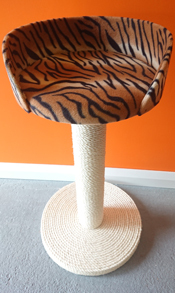 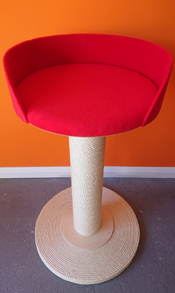 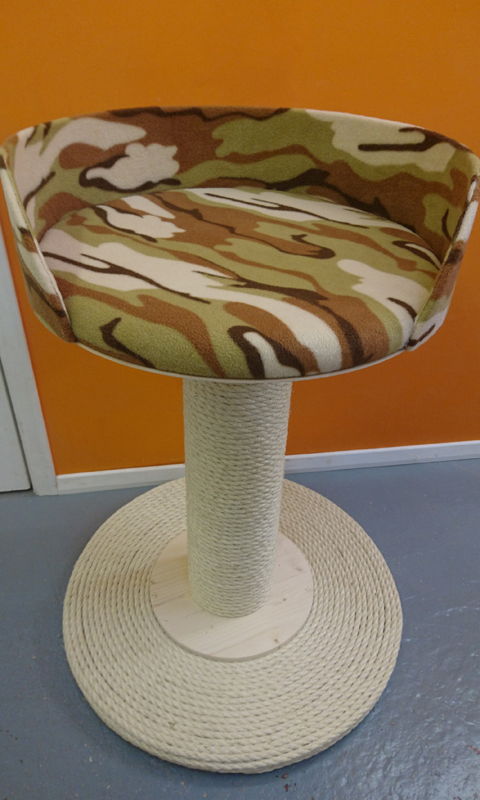 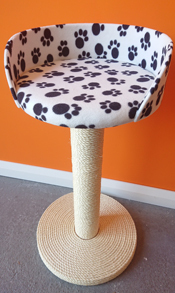 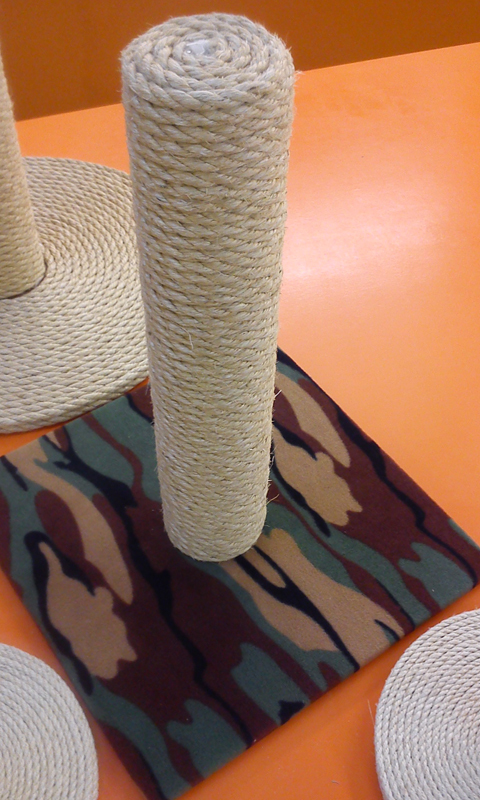 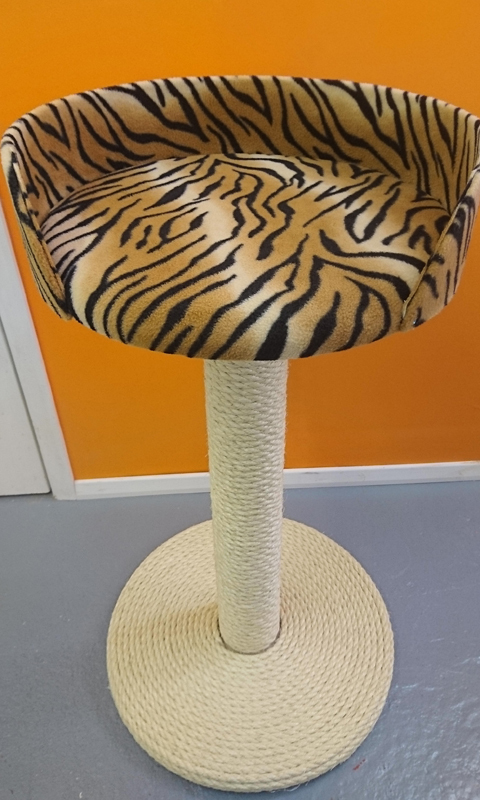 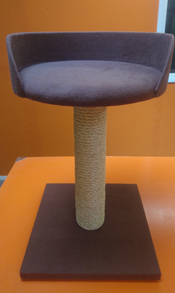 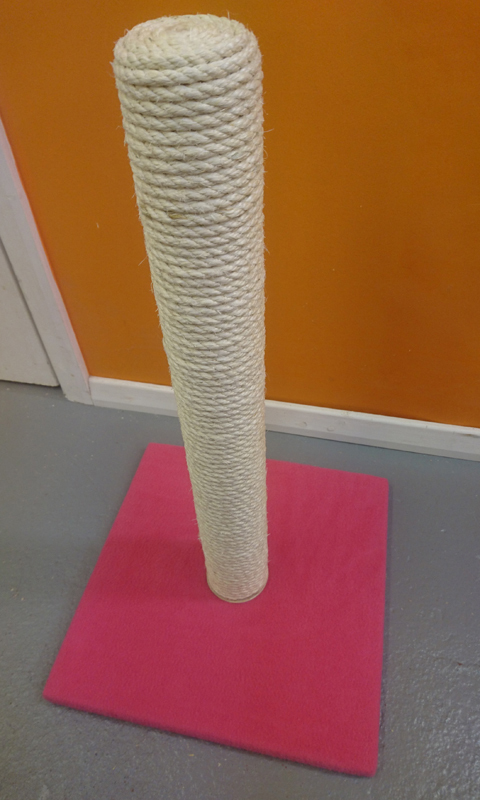 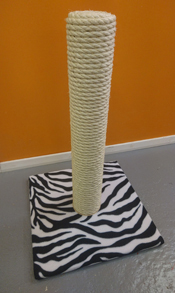 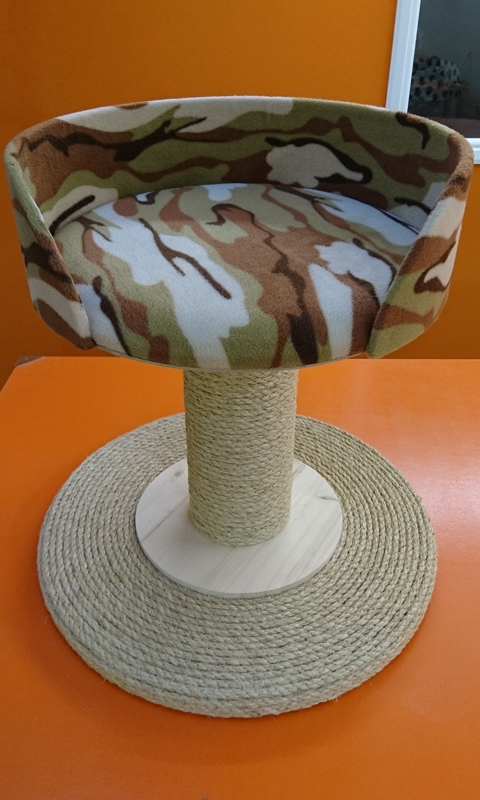 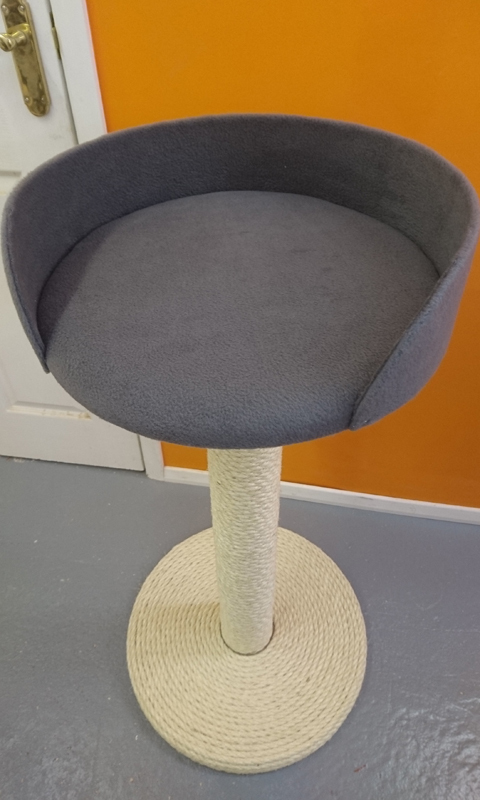 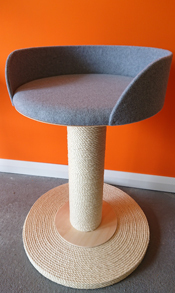 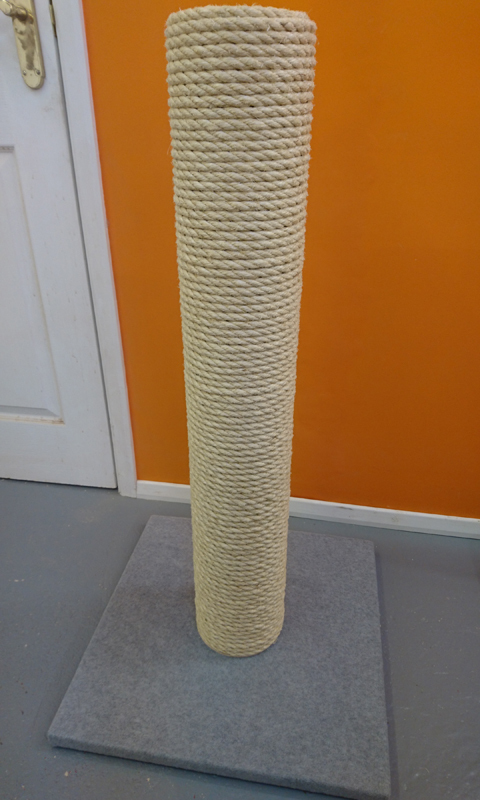 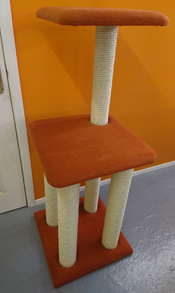 Anti-scratch: Because of the smooth finish, cats are generally not interested in scratching at the fleece at all and save that for our sisal covered posts. 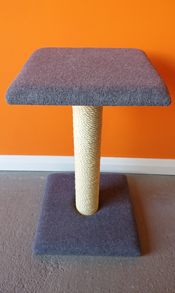 Cleaning: The fleece can be lightly brushed and hoovers well for a general tidy up every now and then. 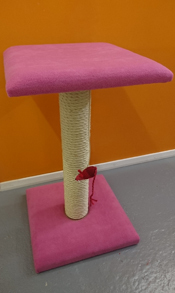 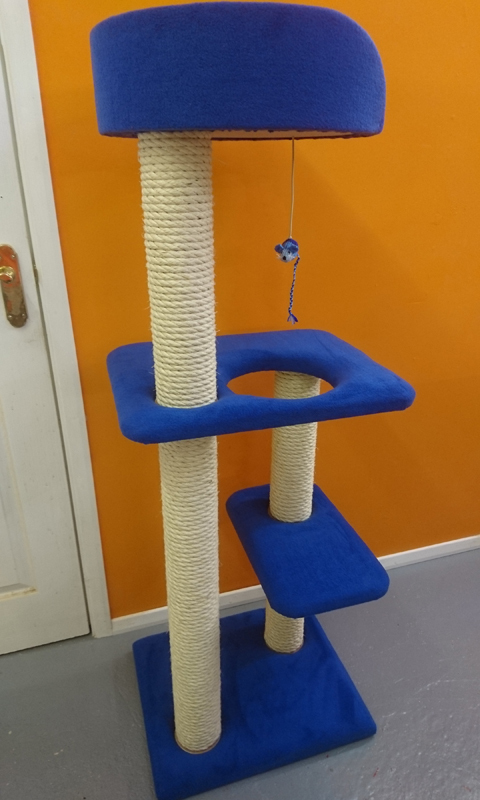 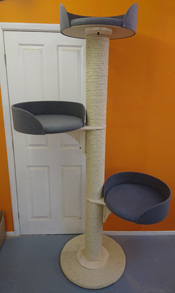 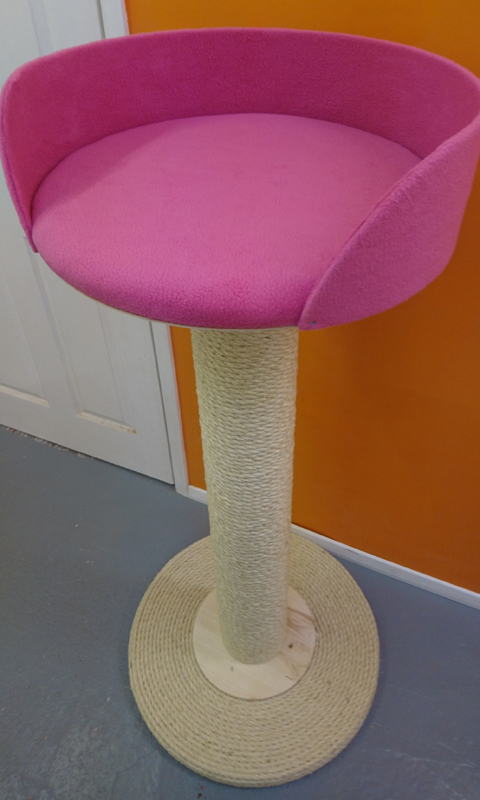 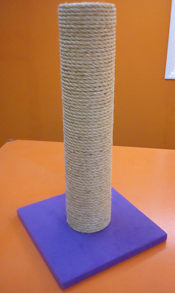 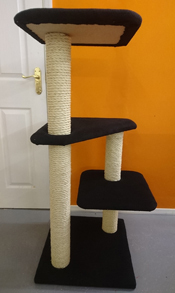 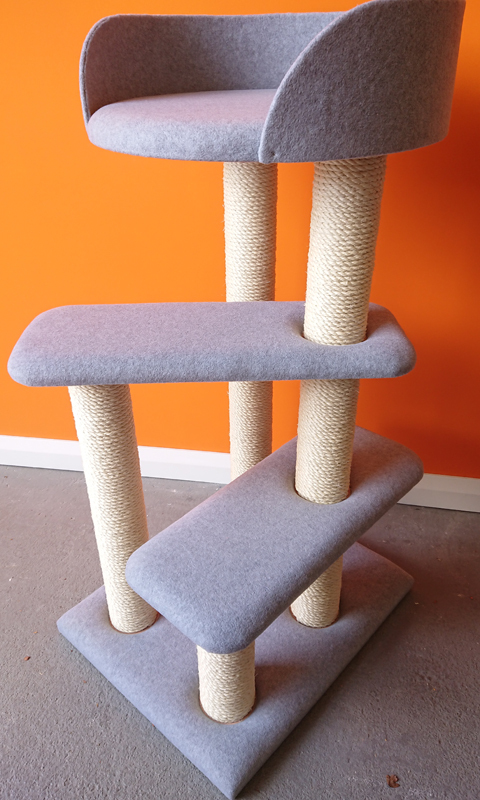 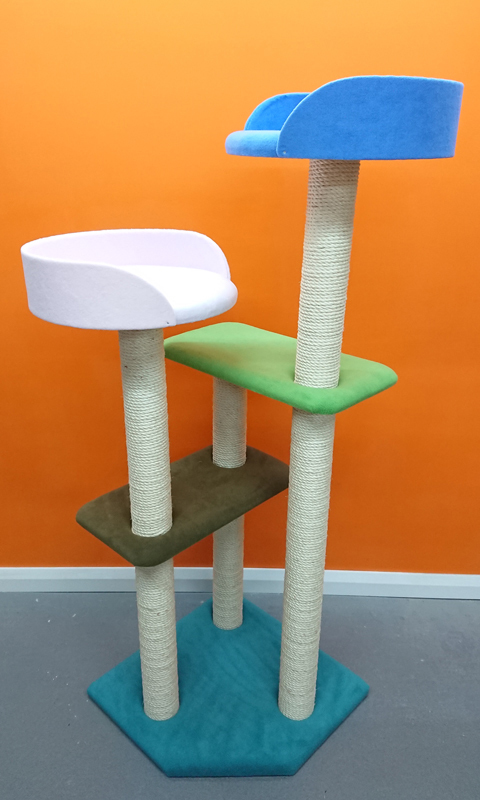 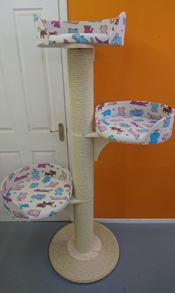 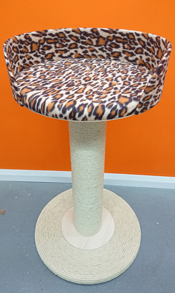 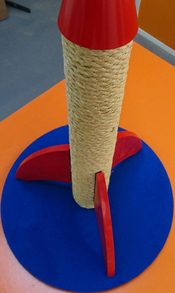 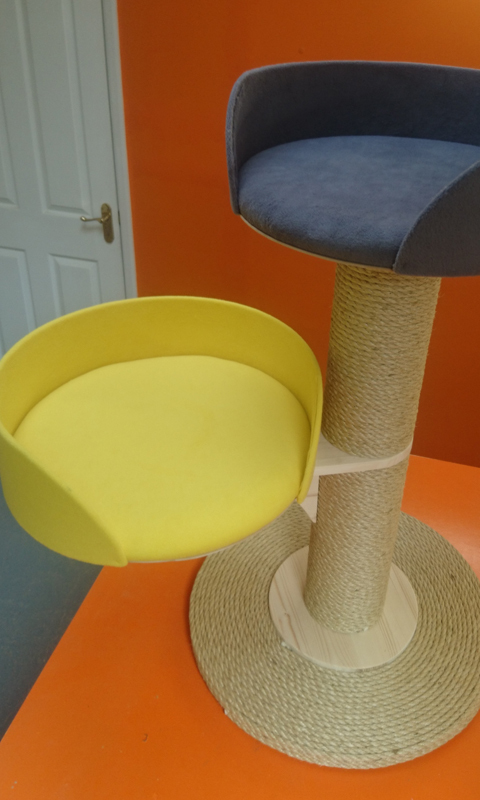 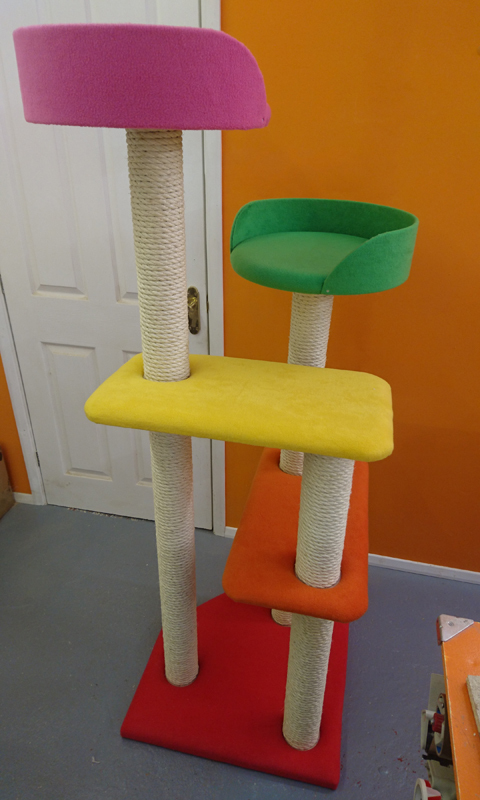 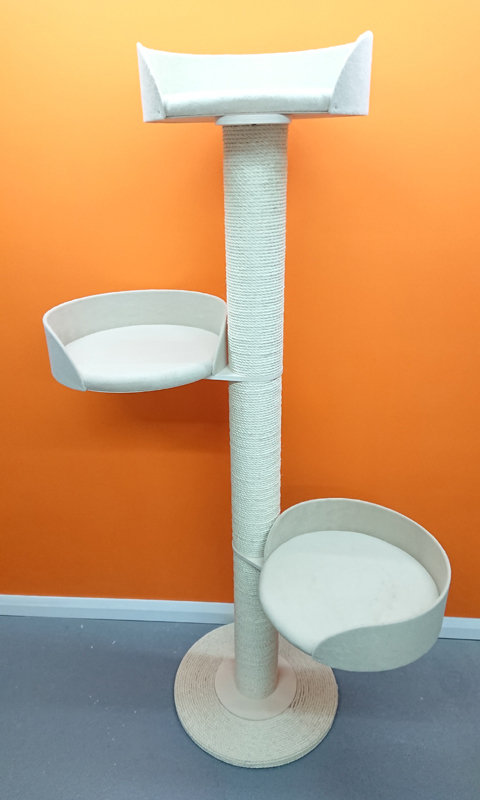 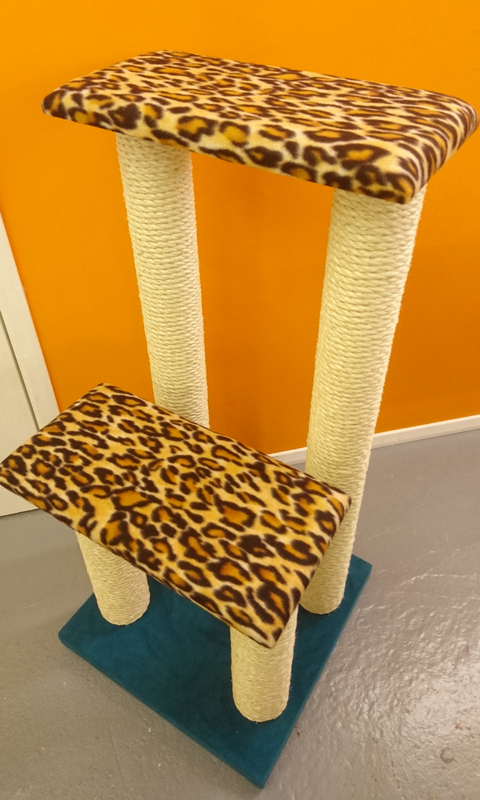 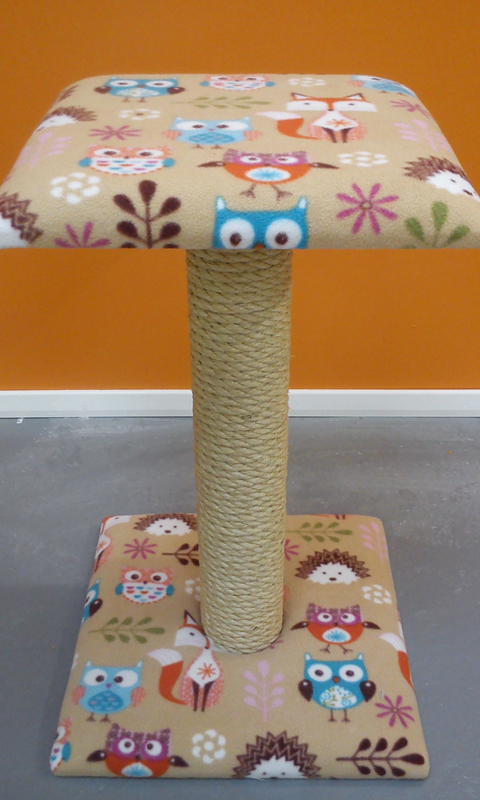 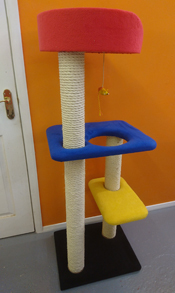 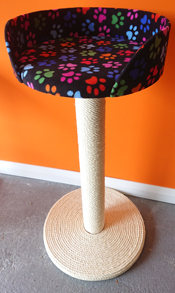 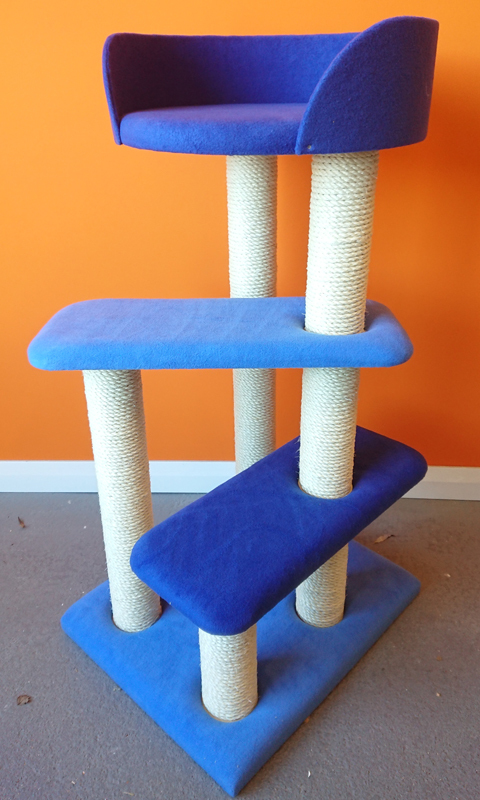 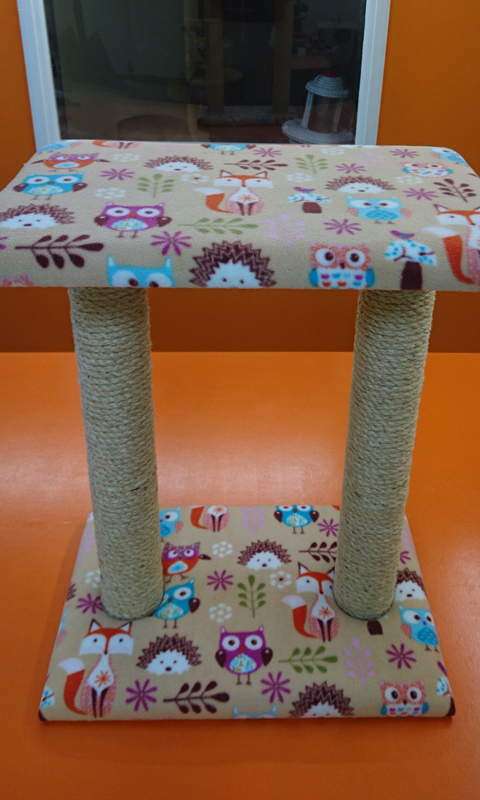 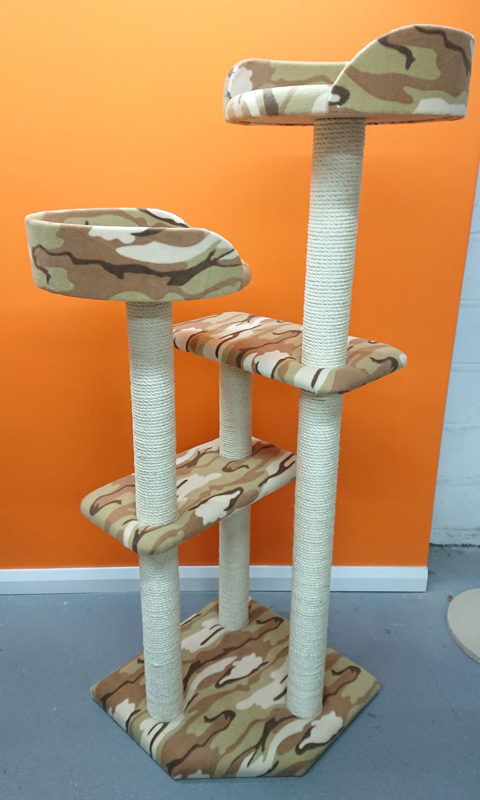 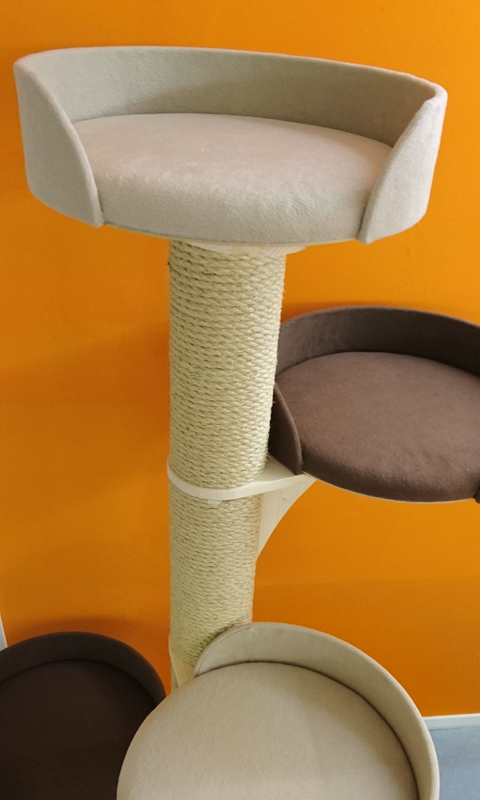 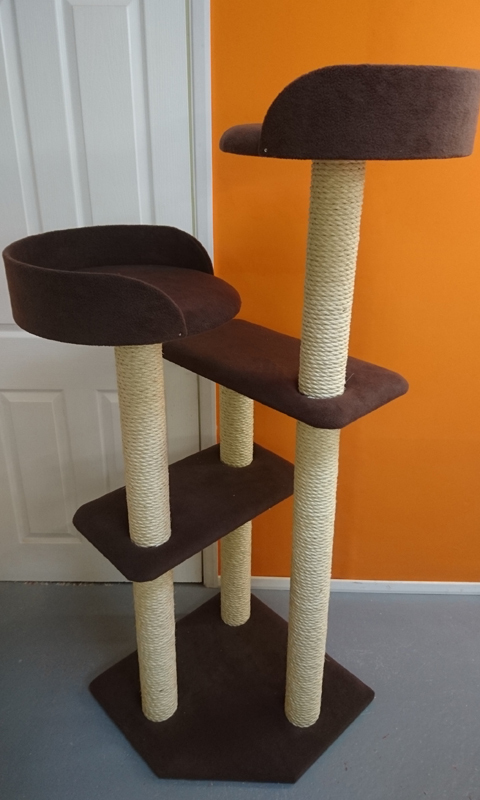 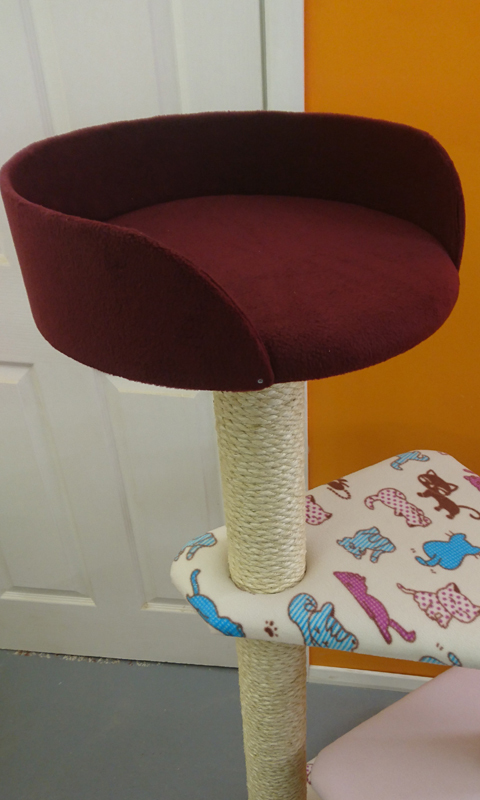 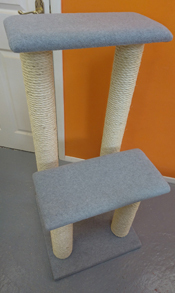 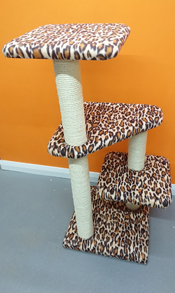 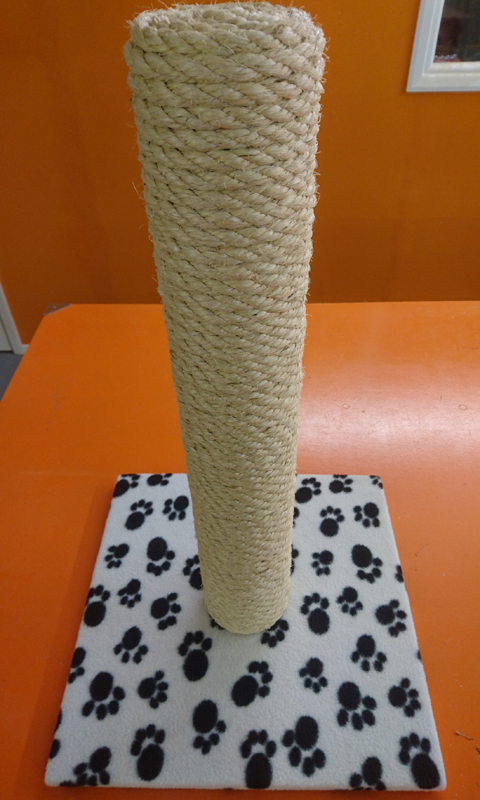 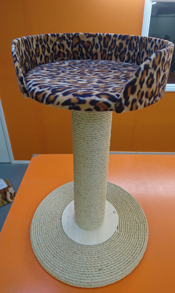 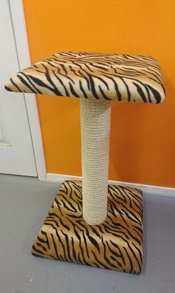 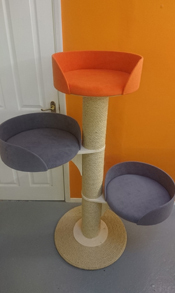 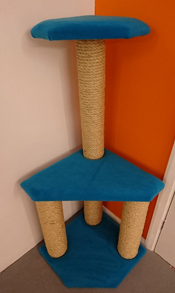 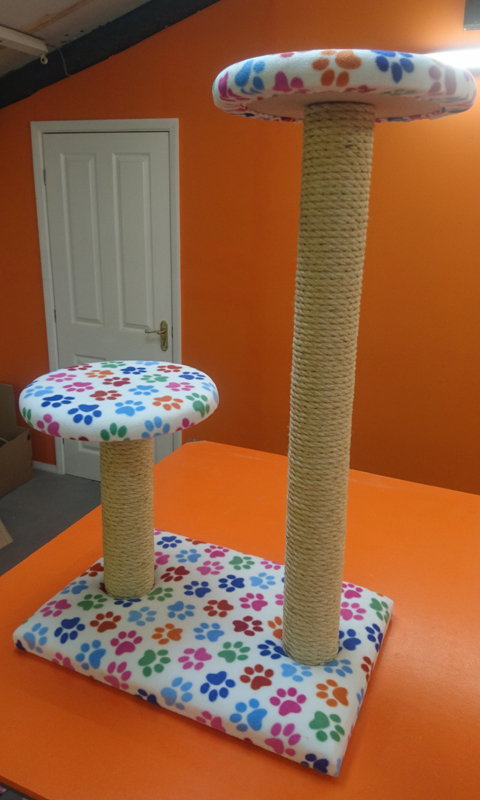 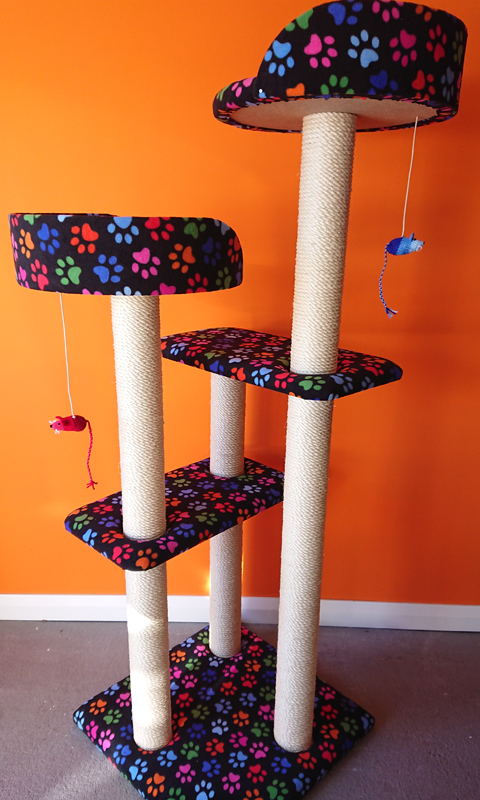 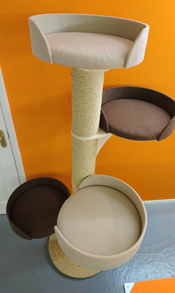 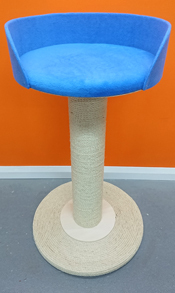 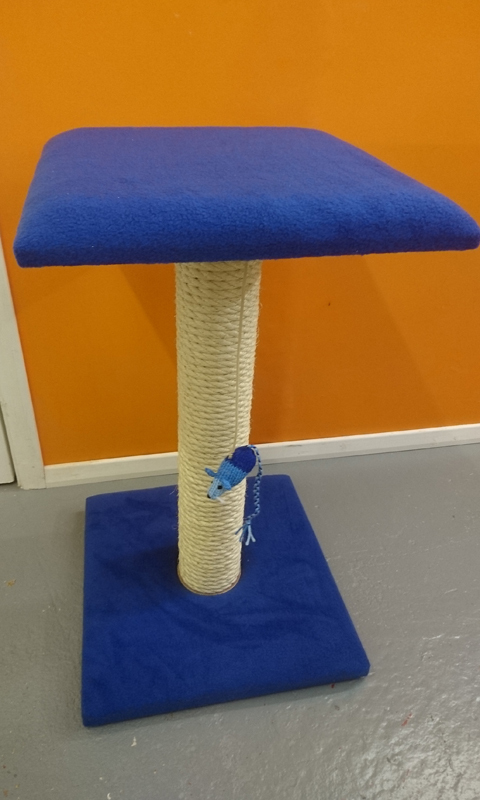 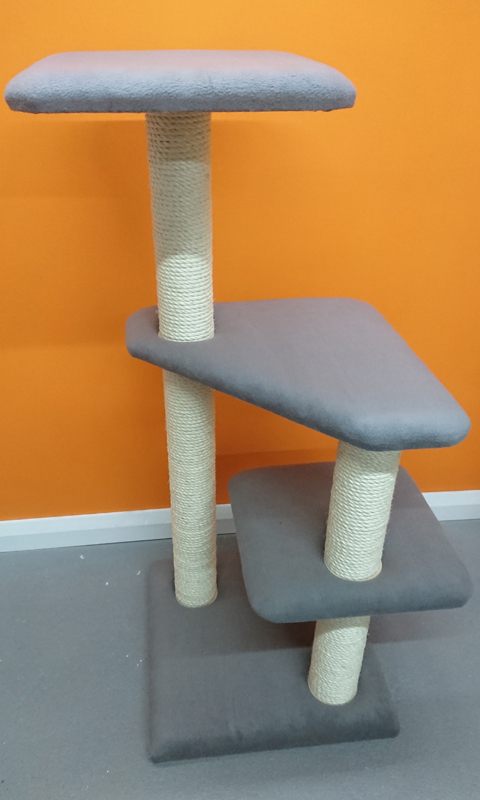 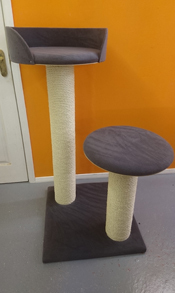 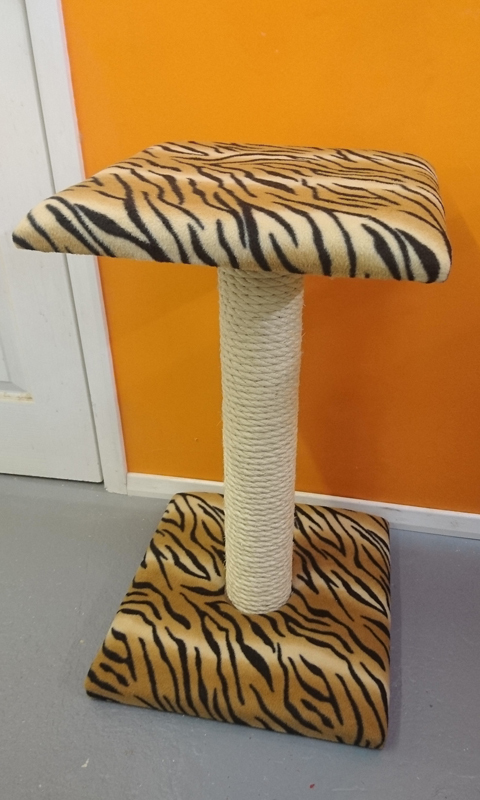 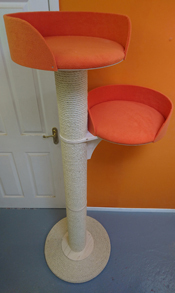 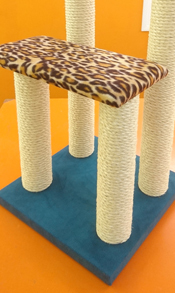 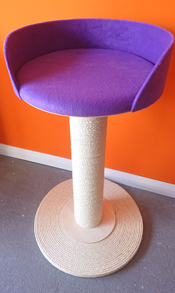 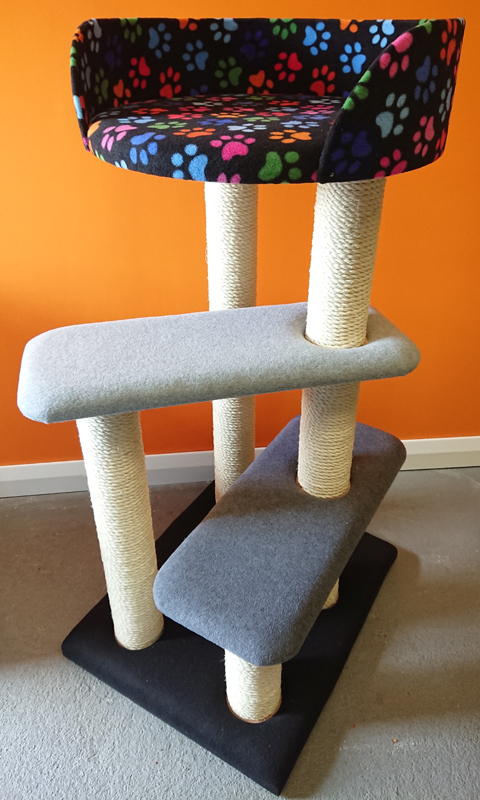 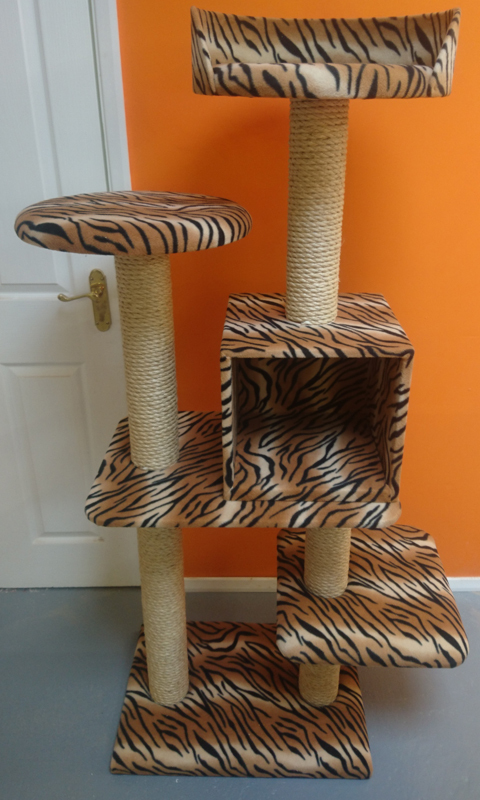 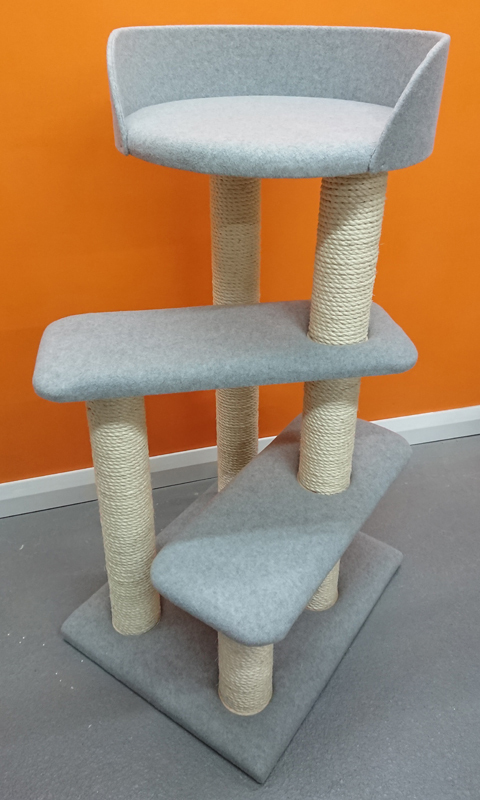 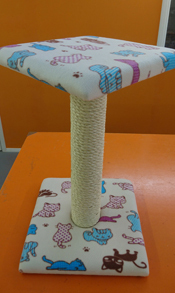 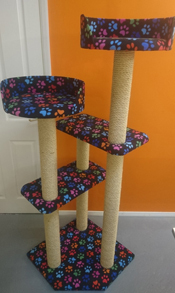 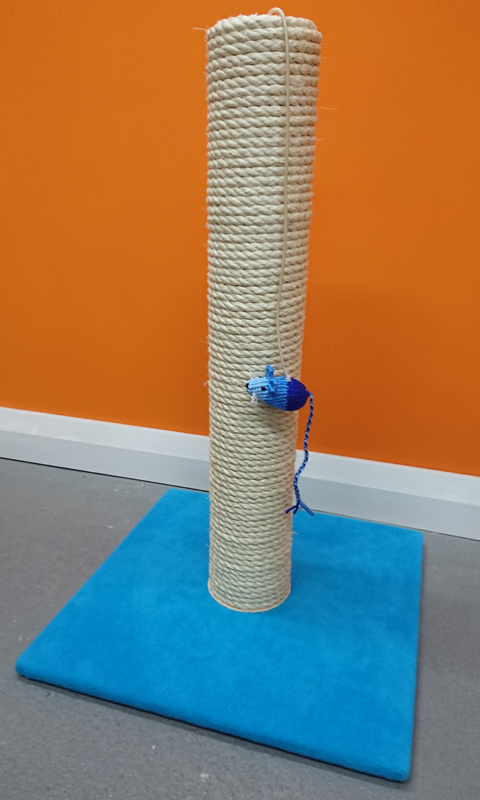 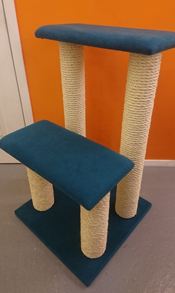 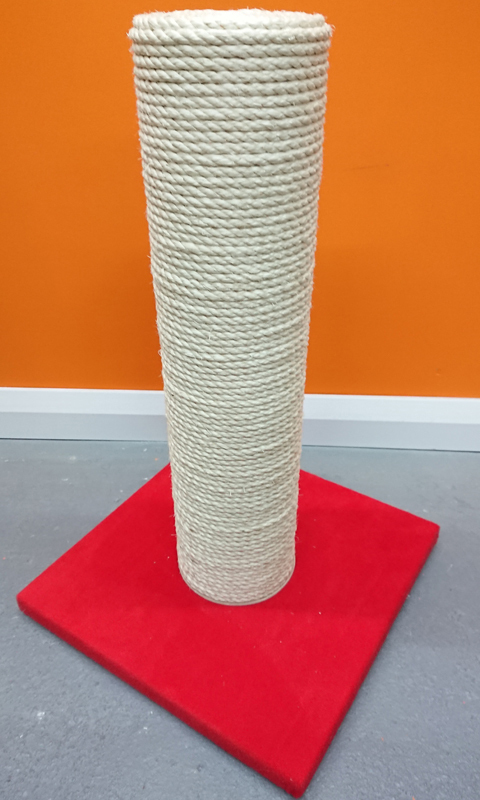 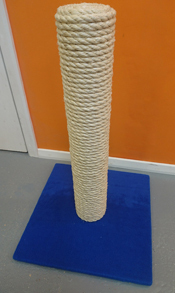 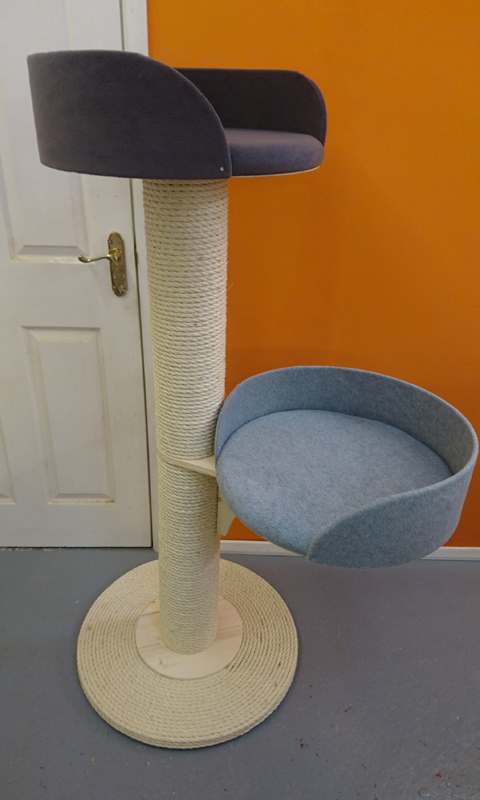 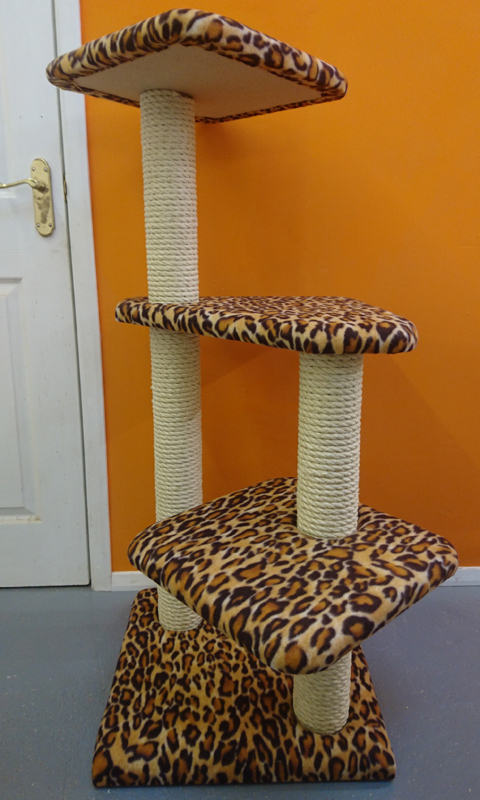 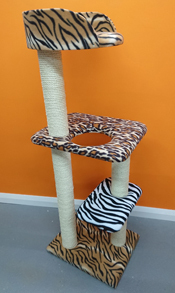 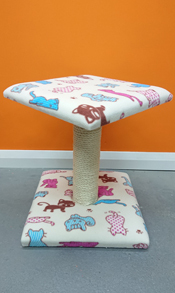 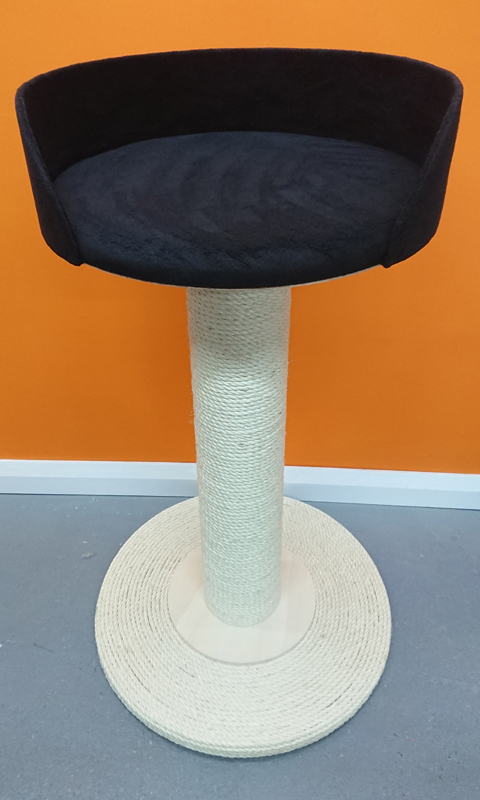 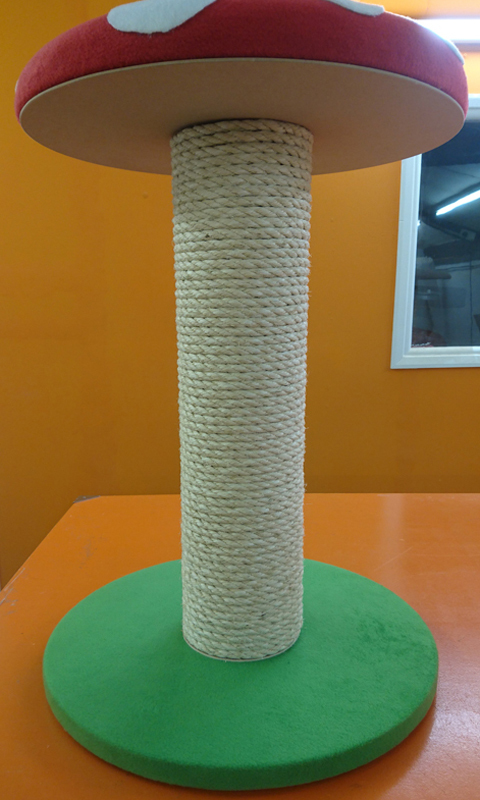 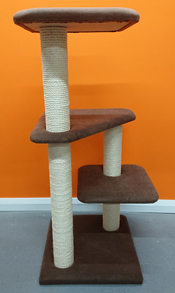 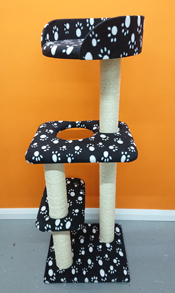 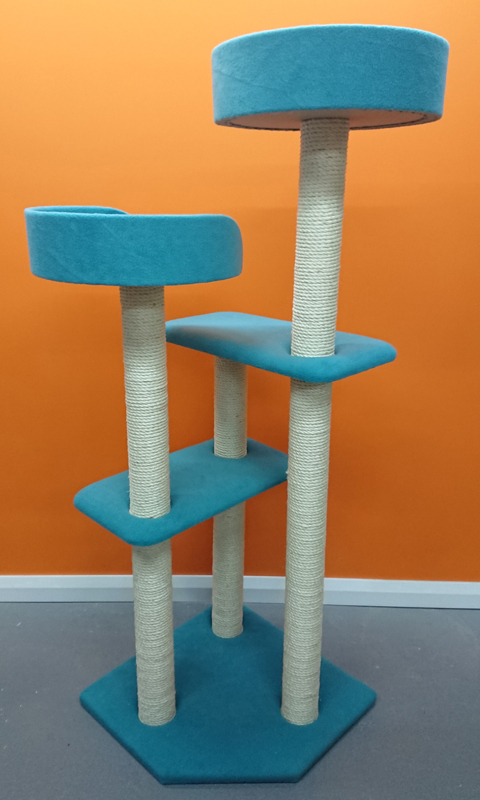 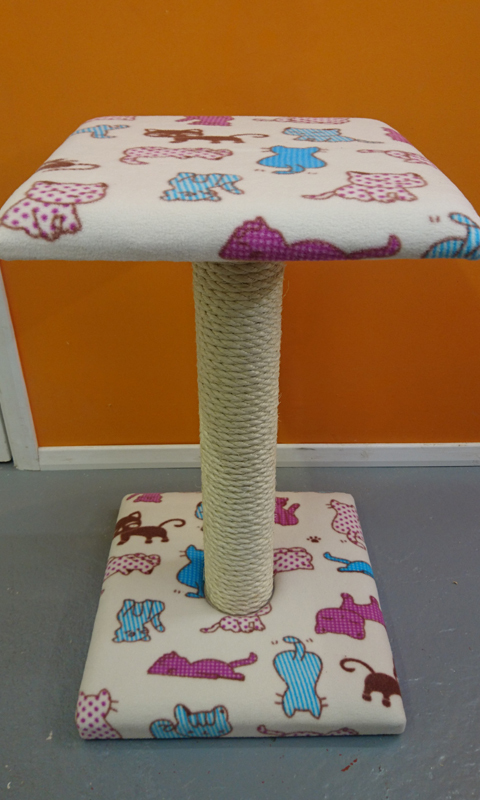 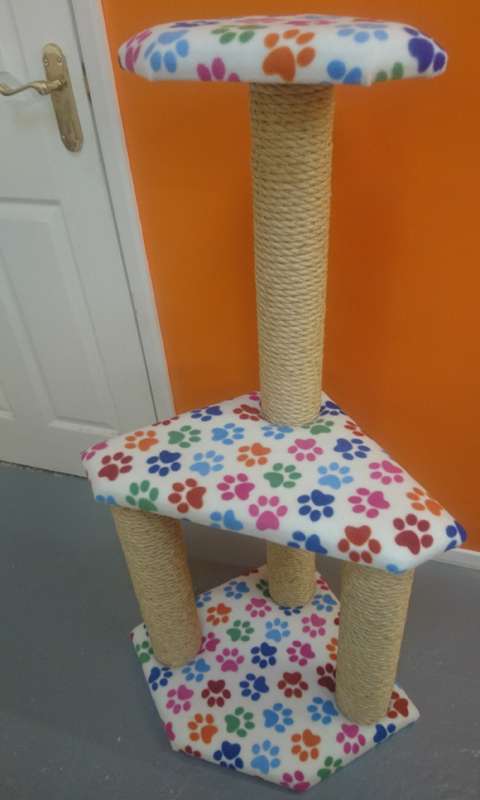 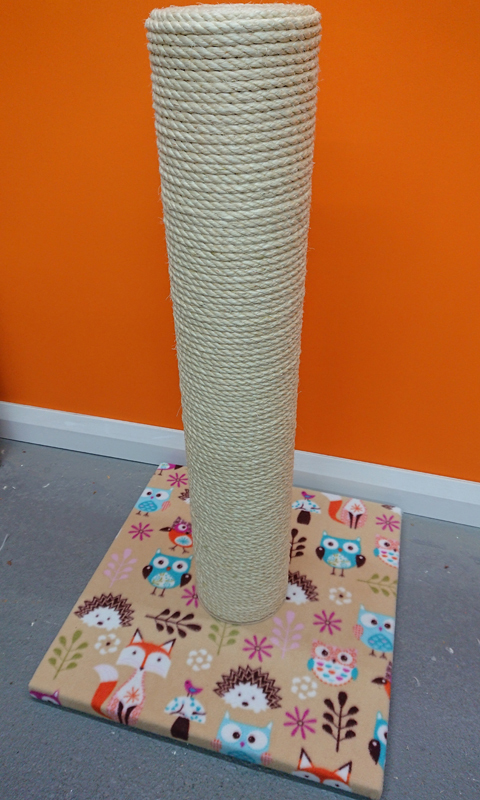 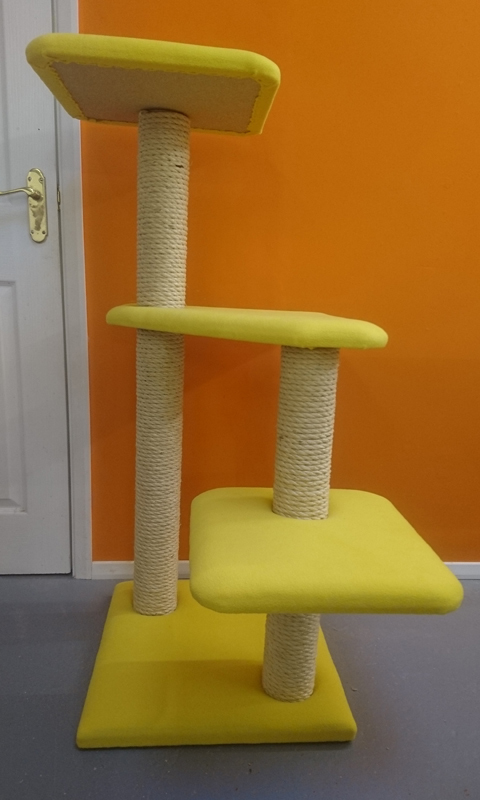 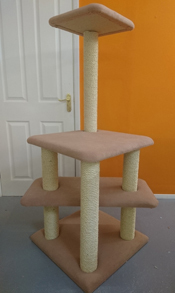 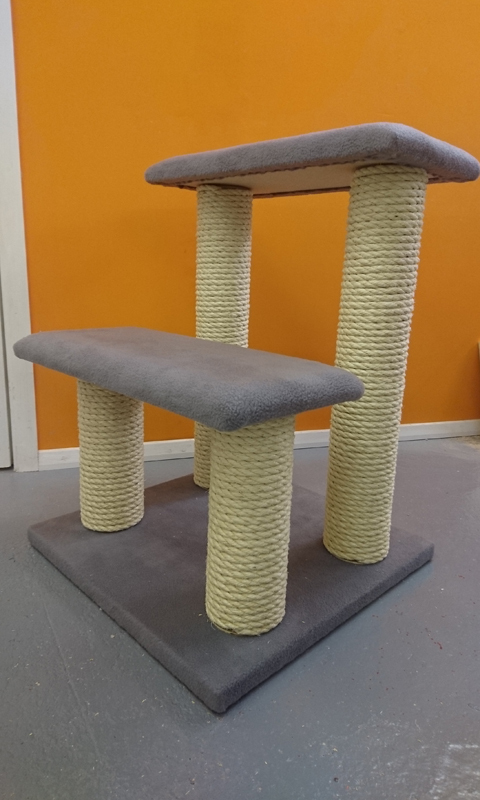 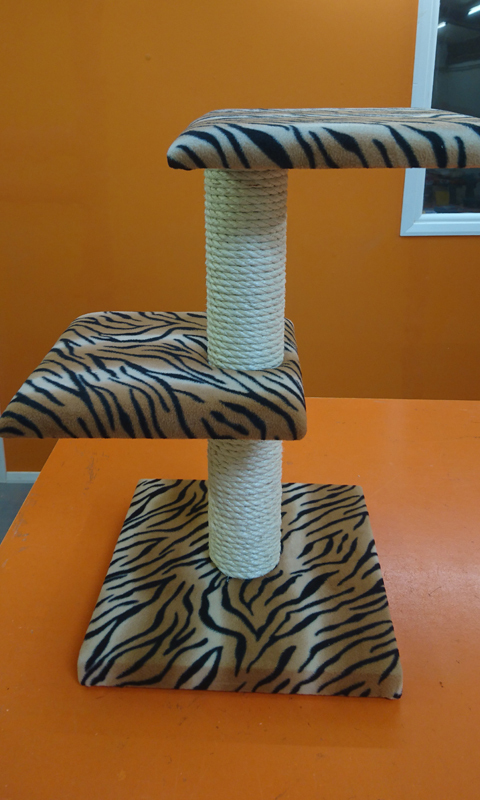 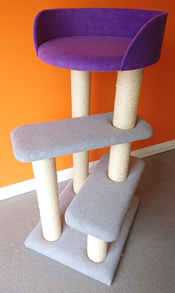 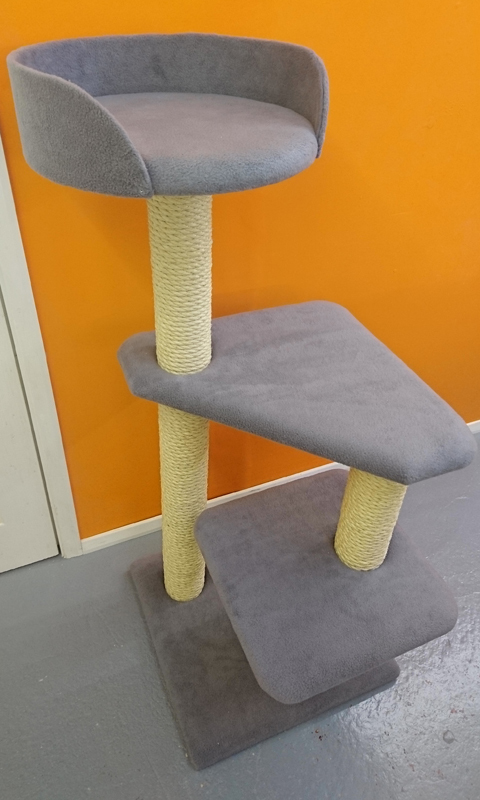 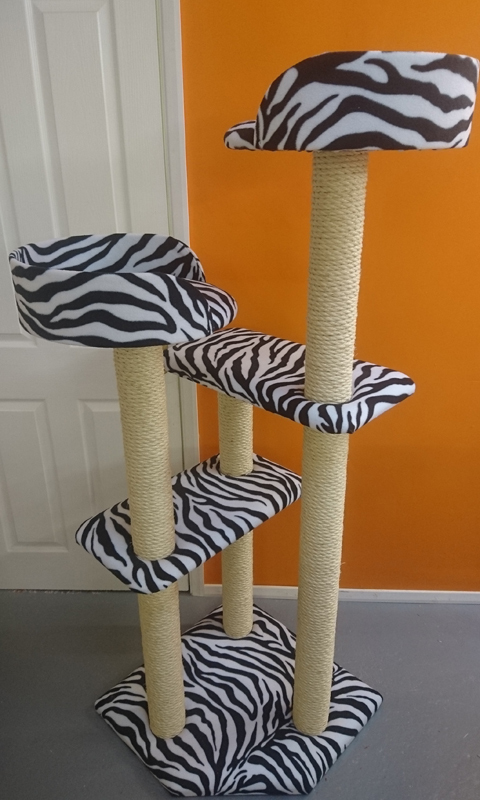 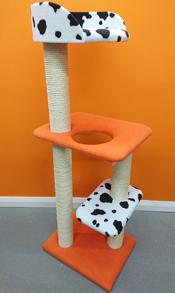 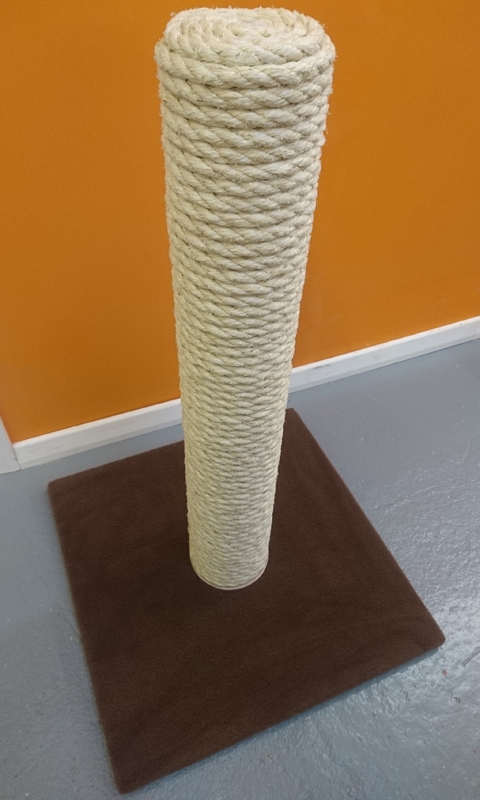 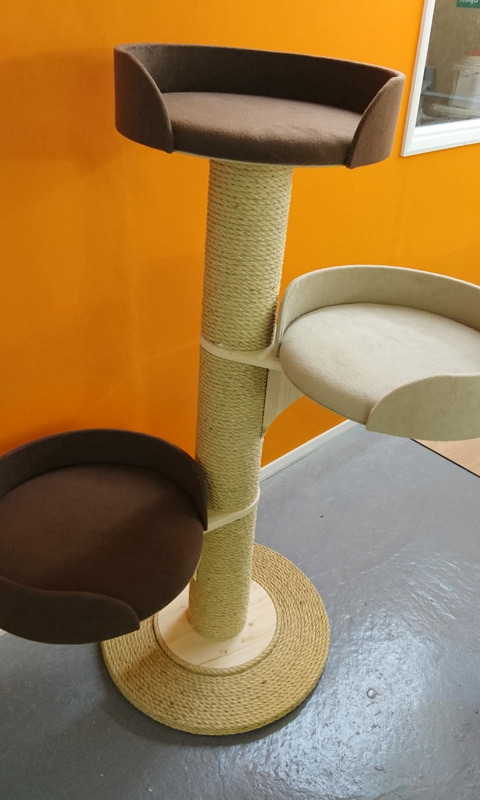 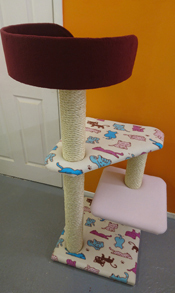 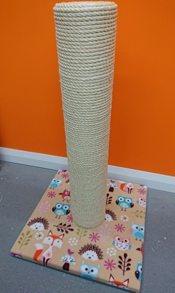 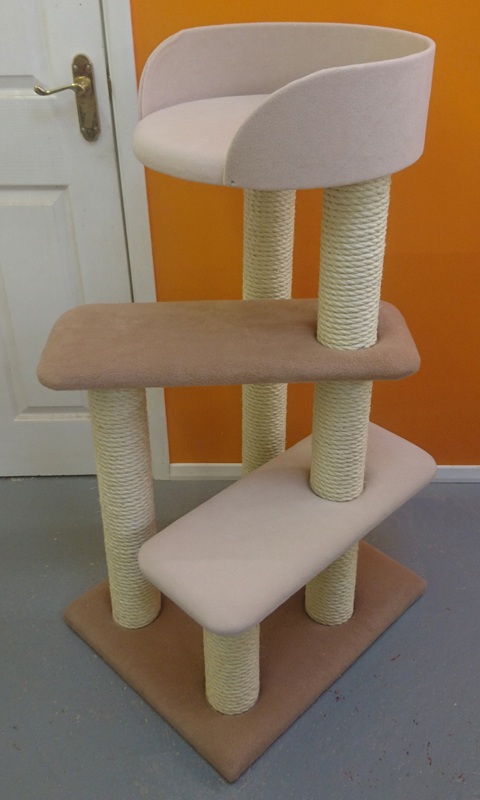 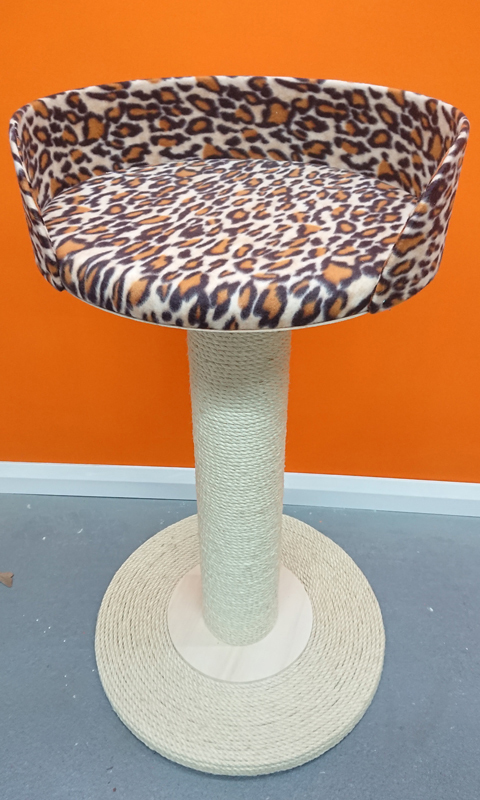 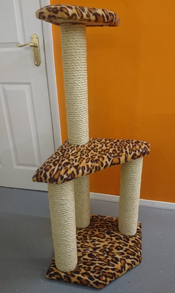 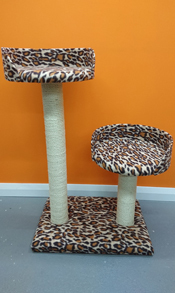 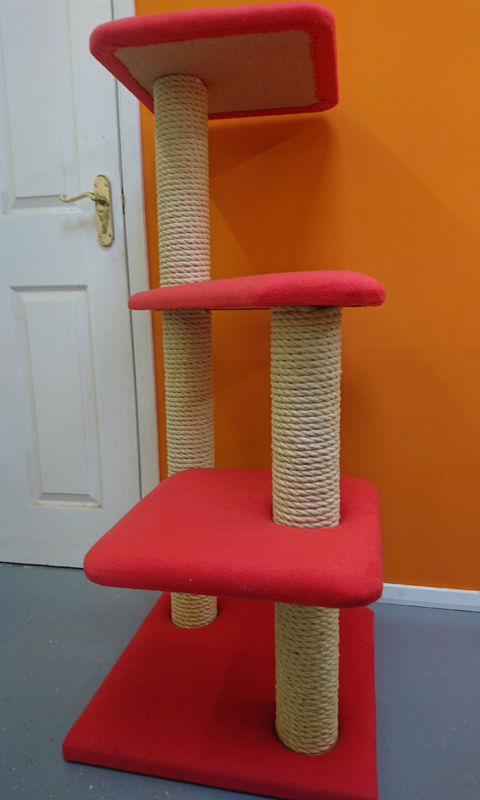 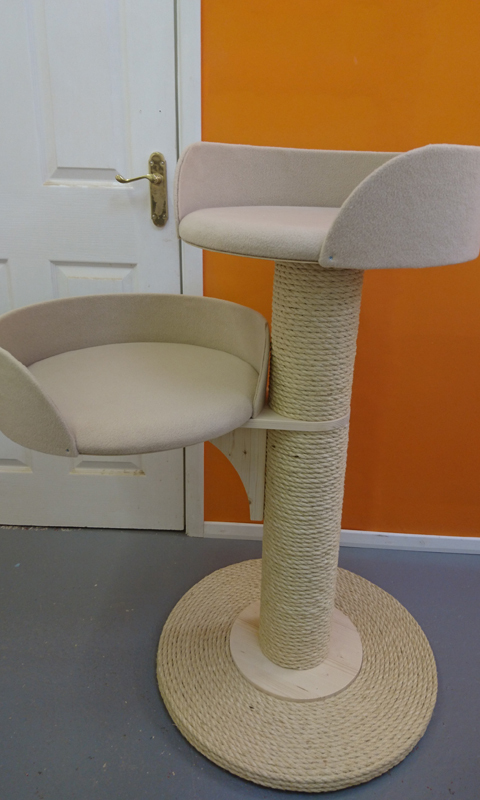 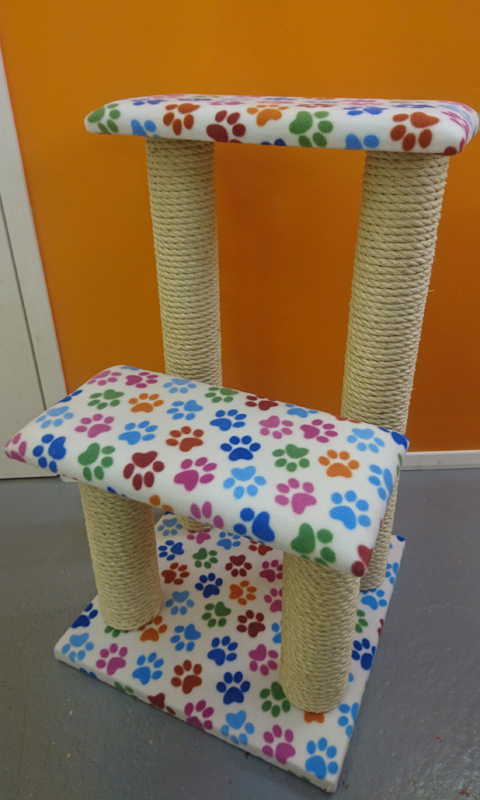 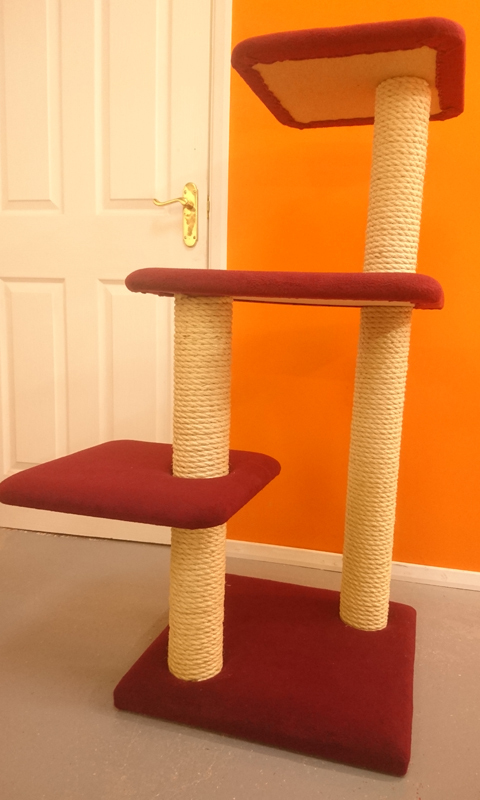 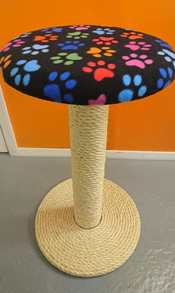 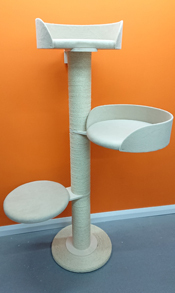 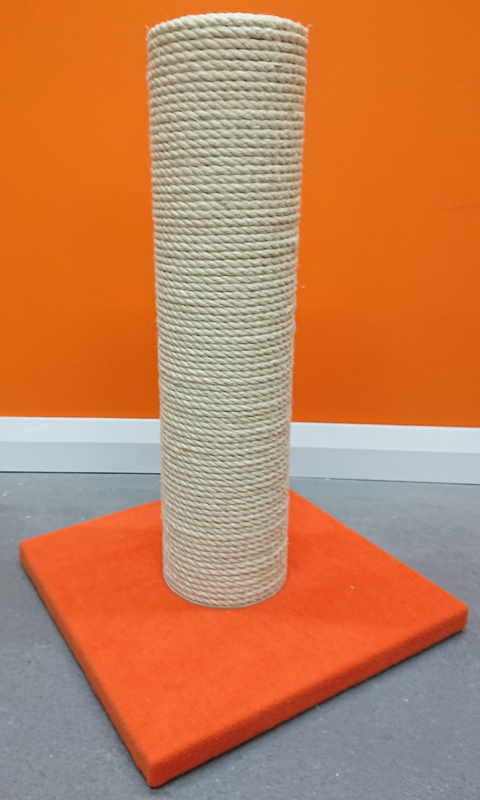 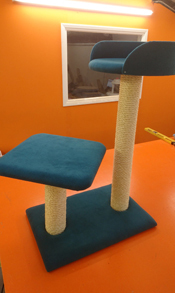 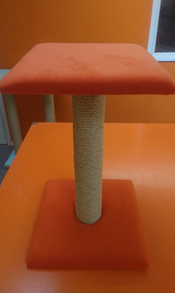 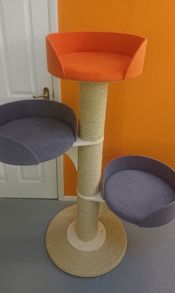 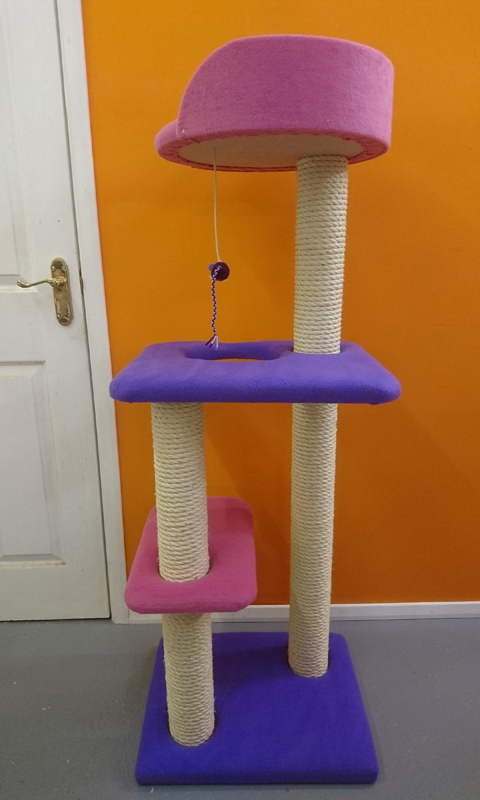 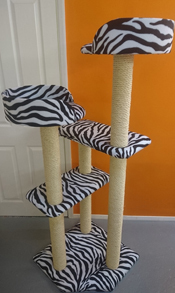 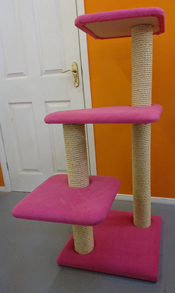 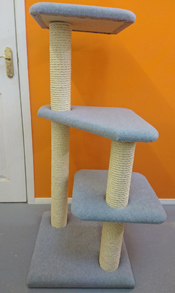 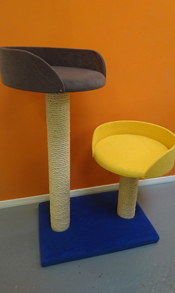 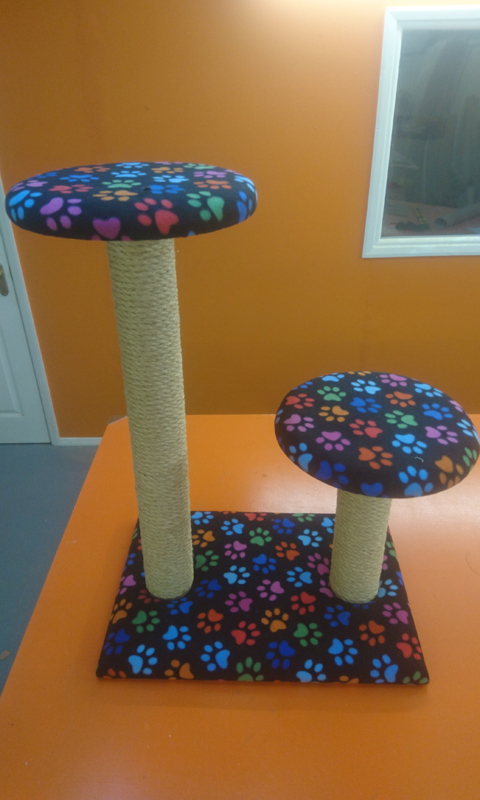 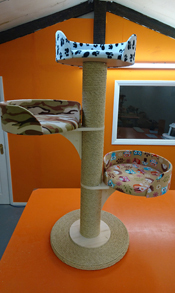 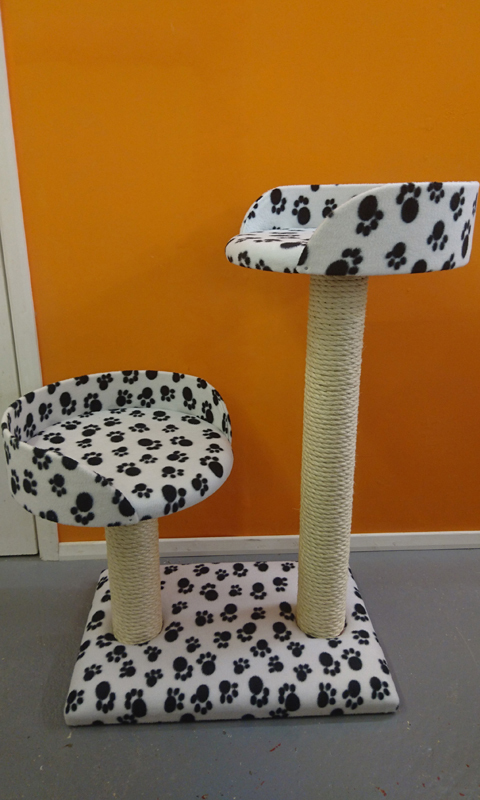 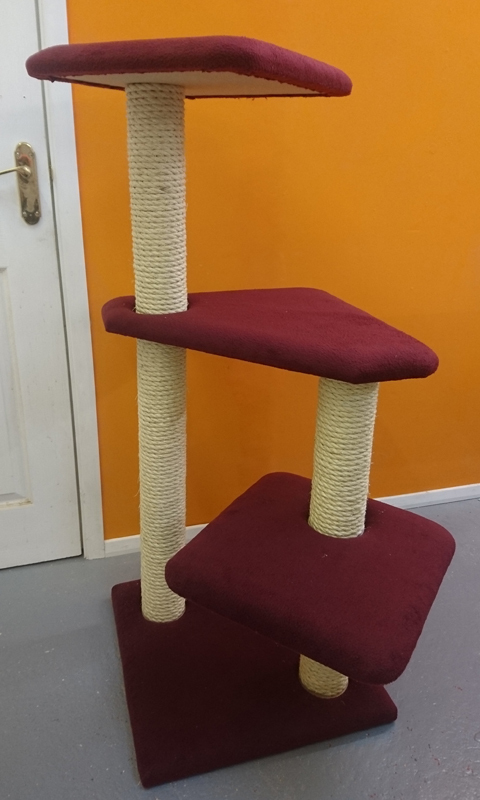 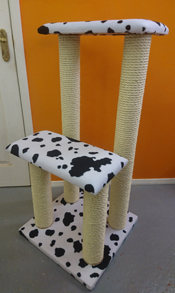 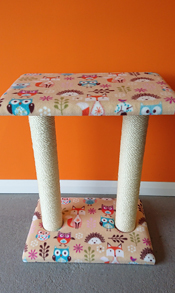 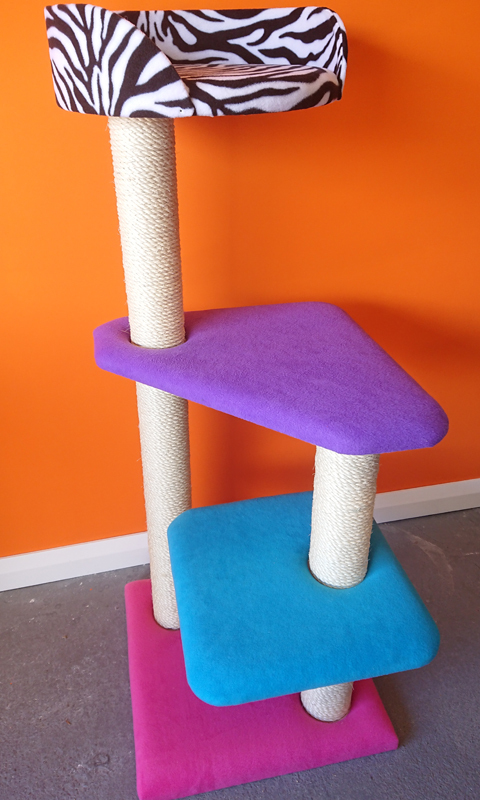 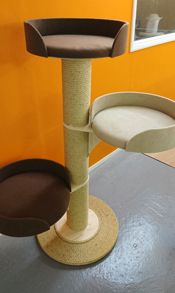 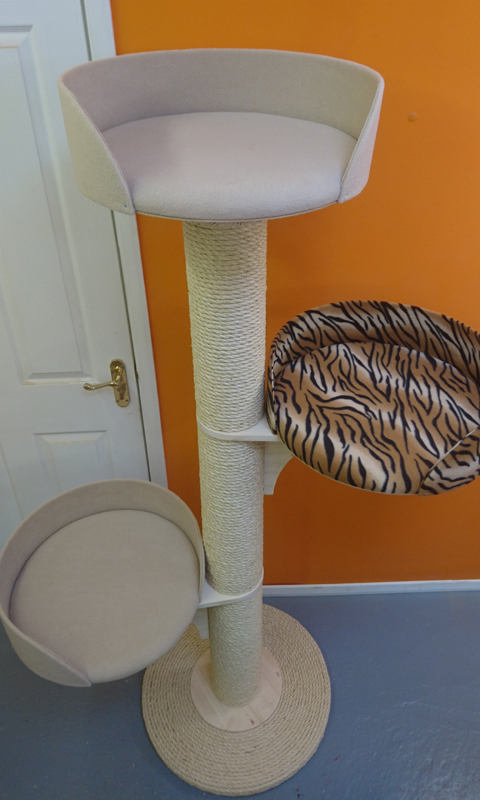 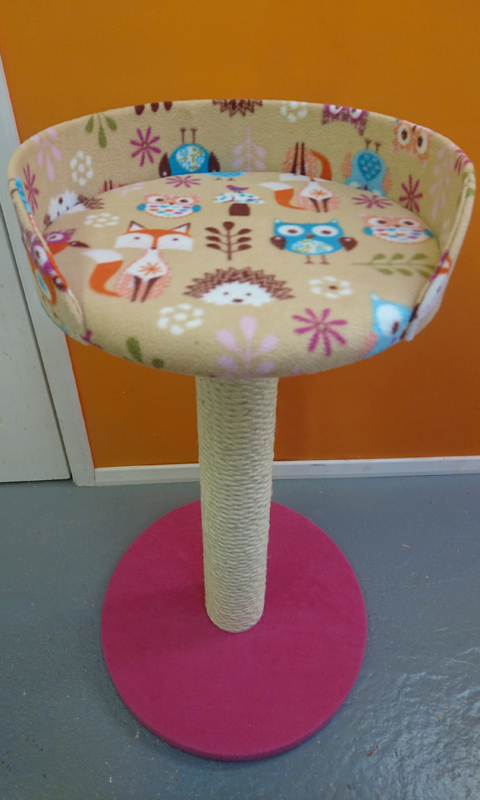 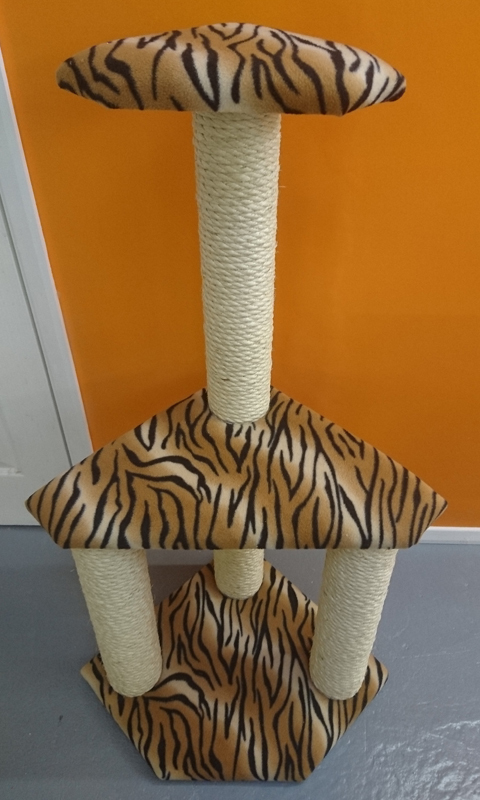 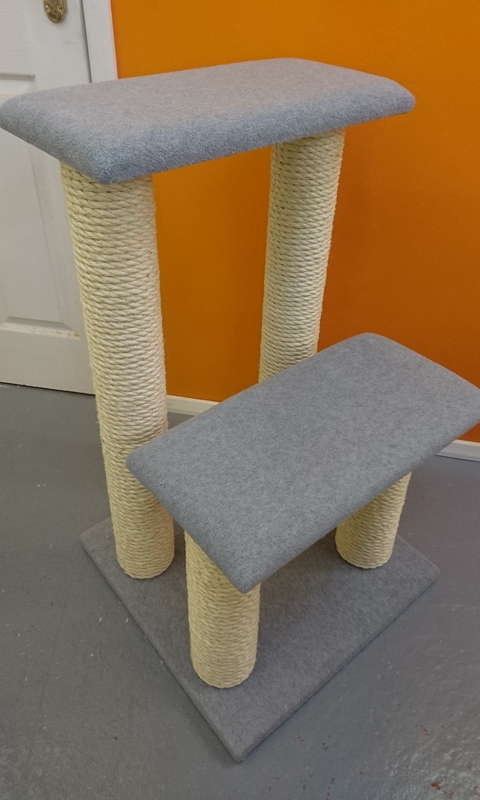 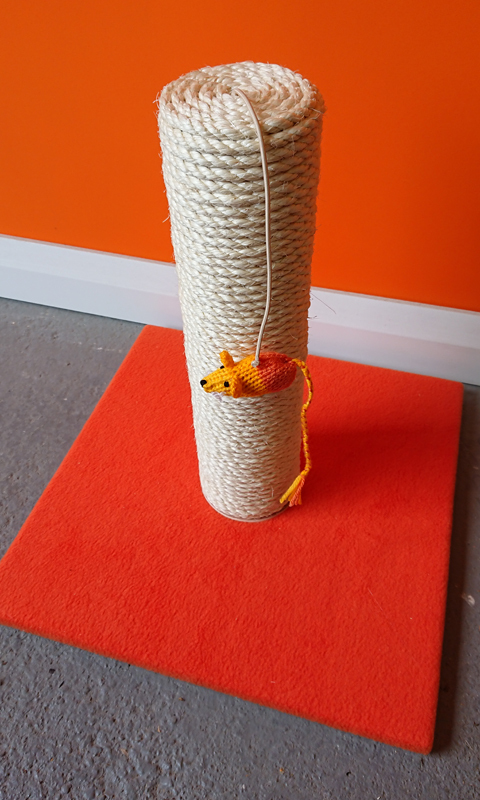 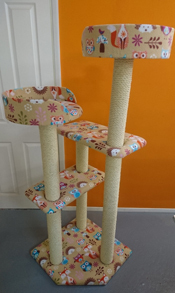 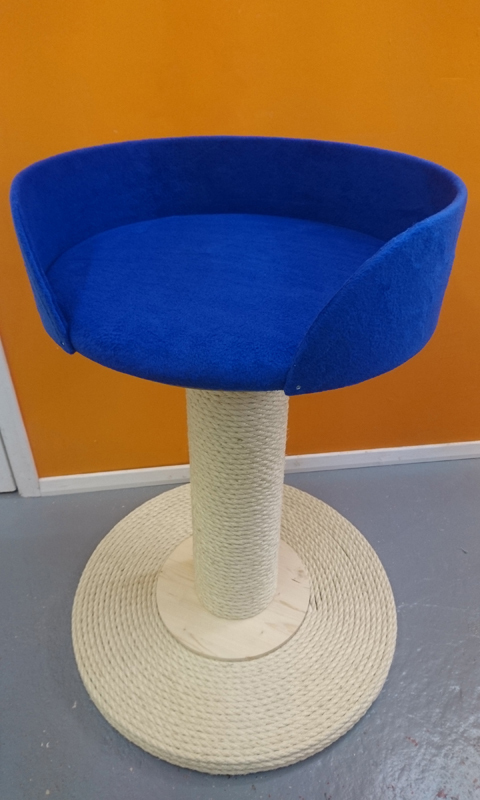 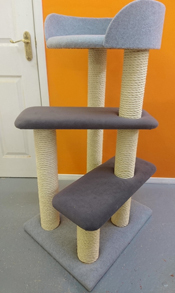 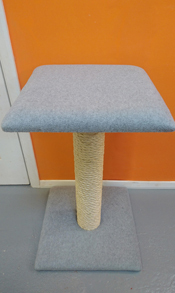 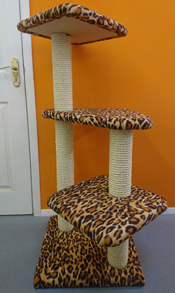 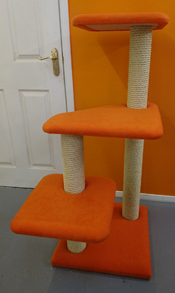 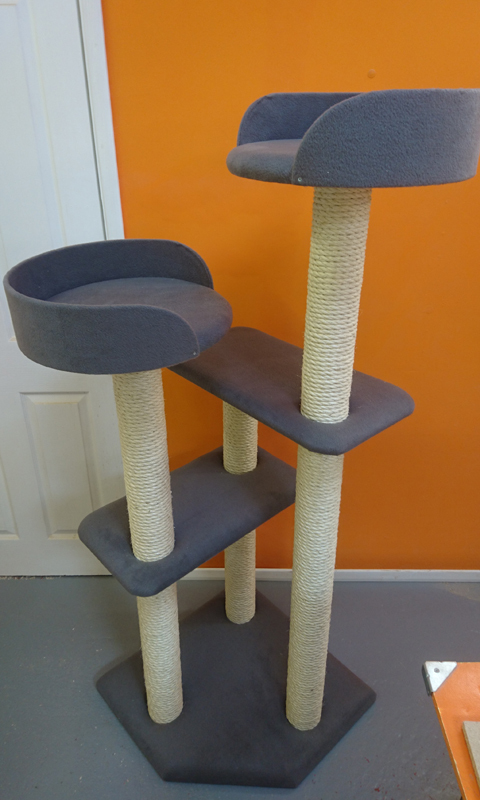 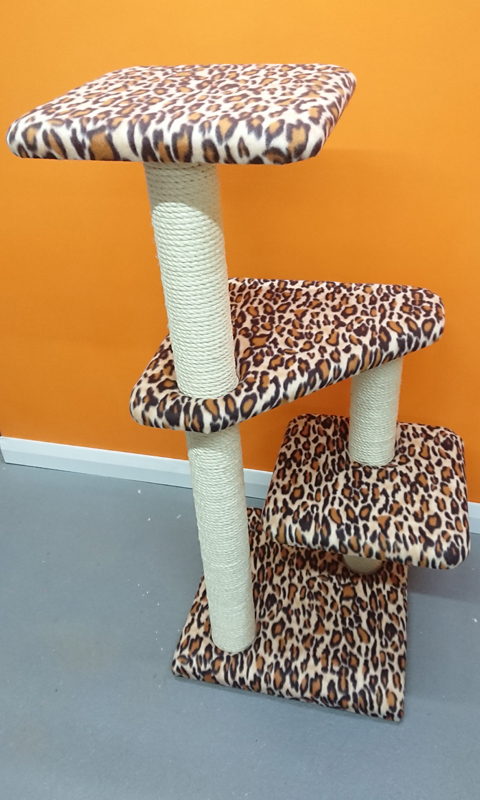 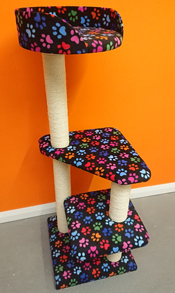 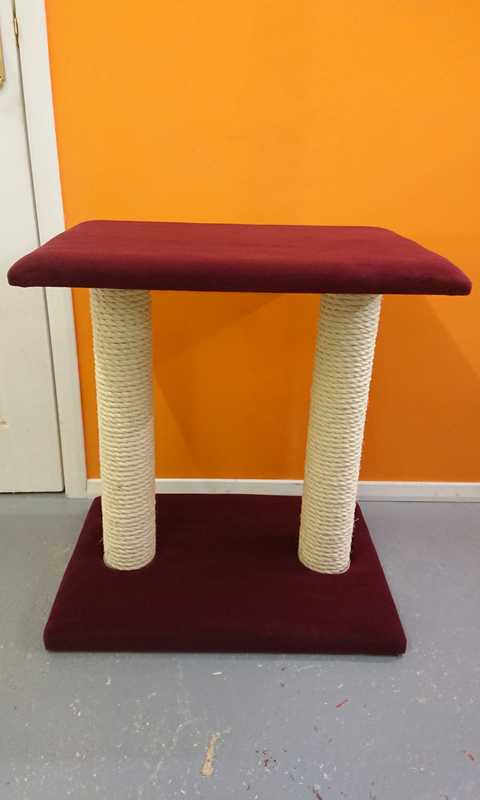 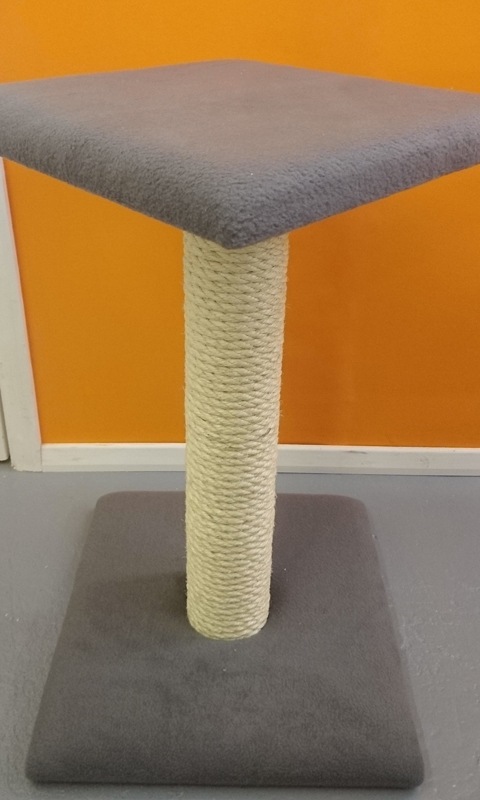 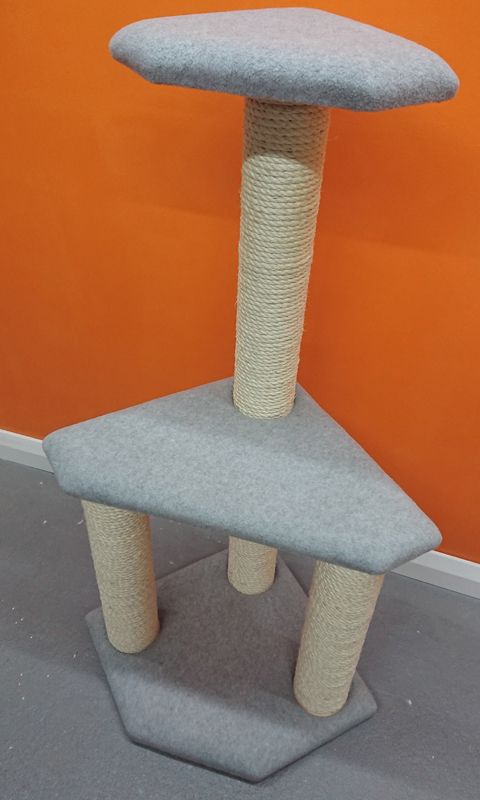 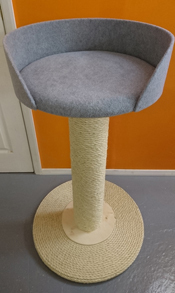 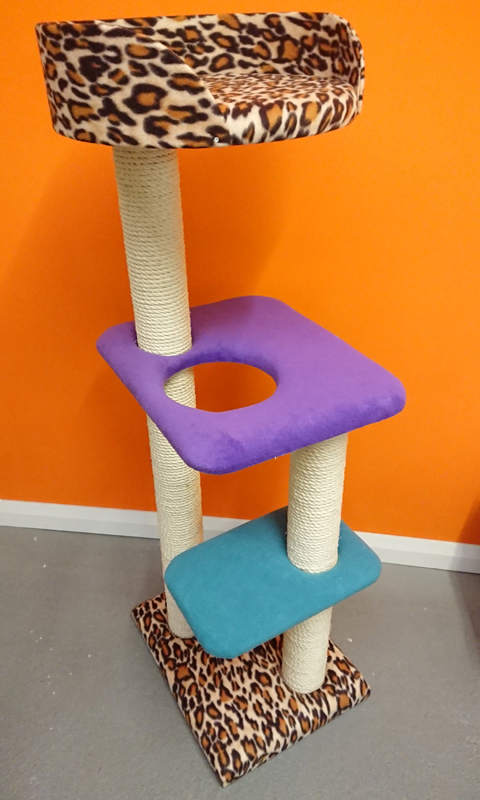 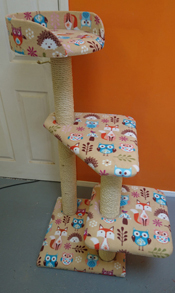 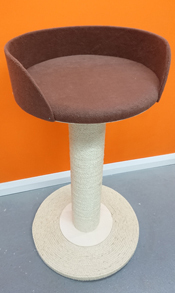 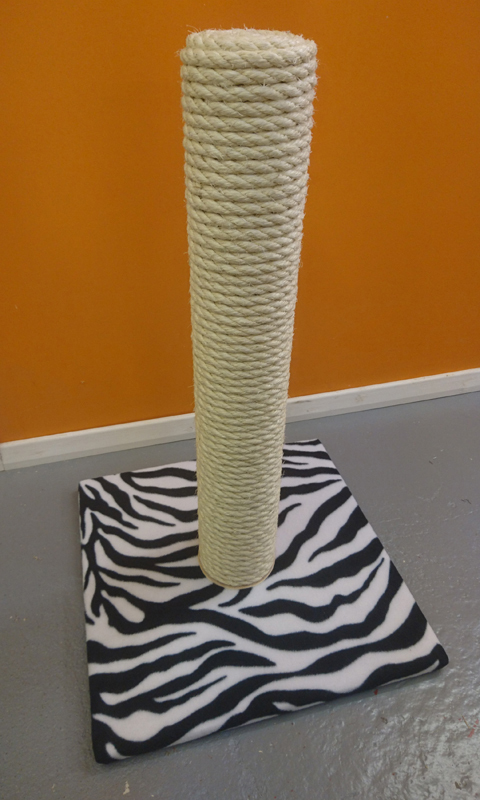 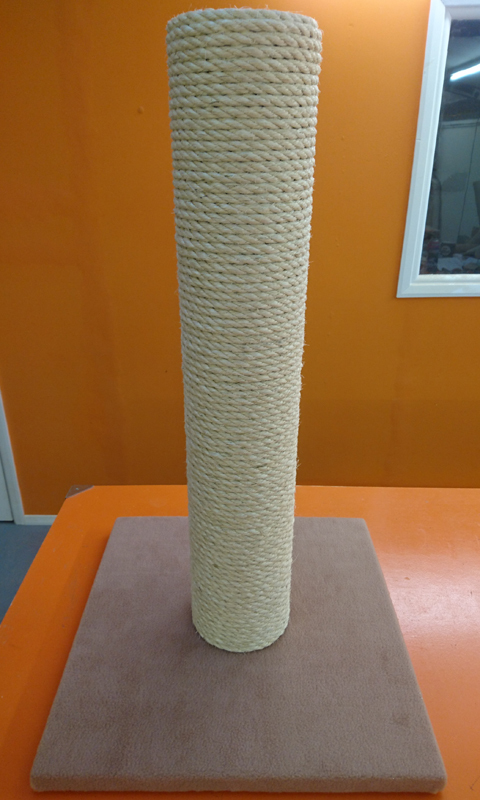 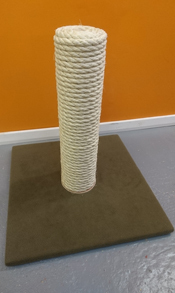 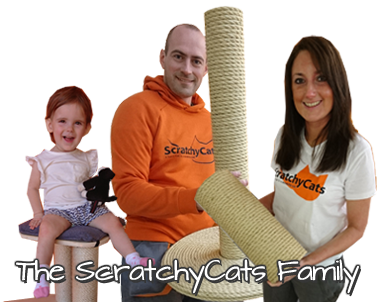 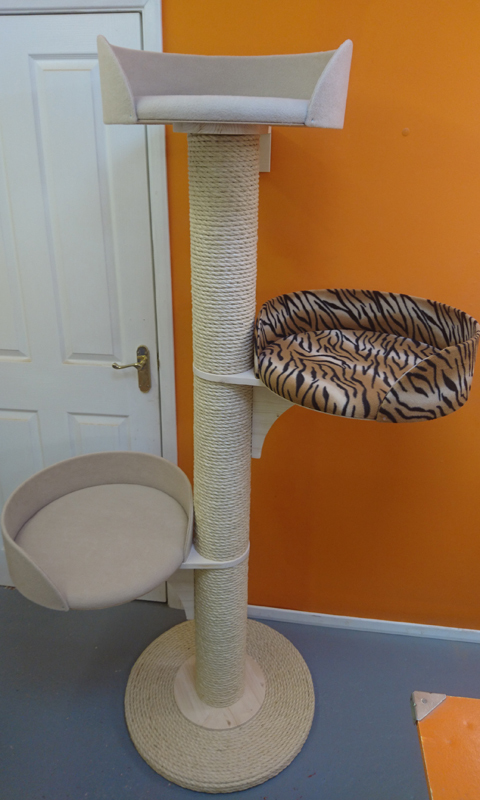 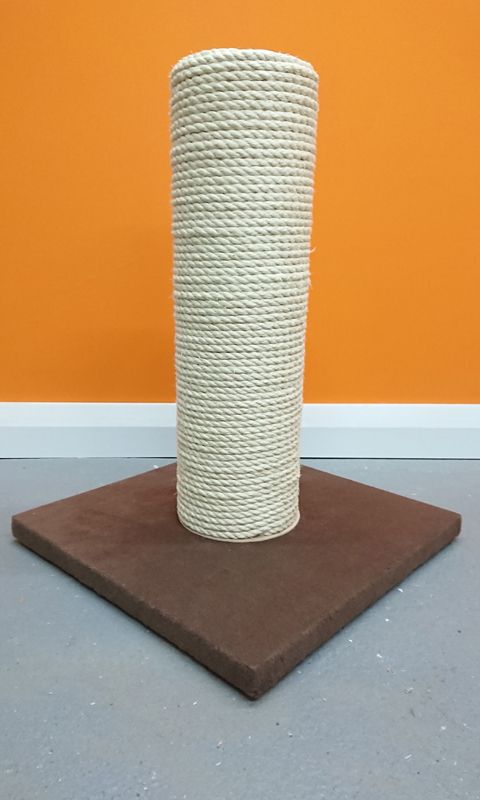 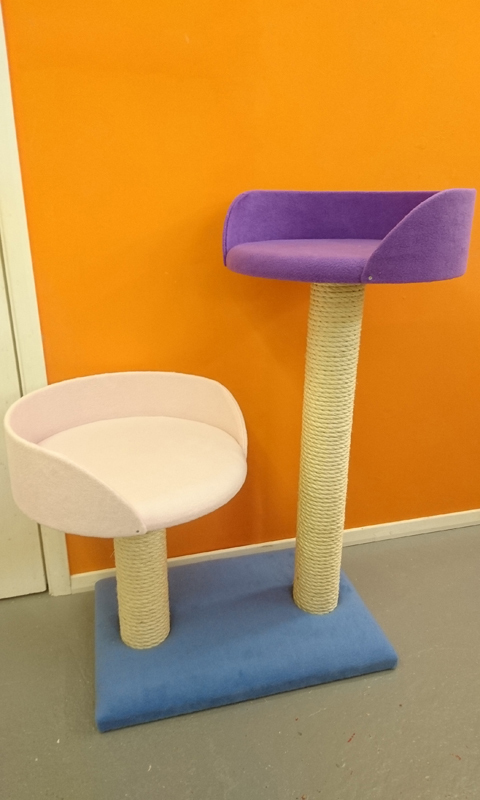 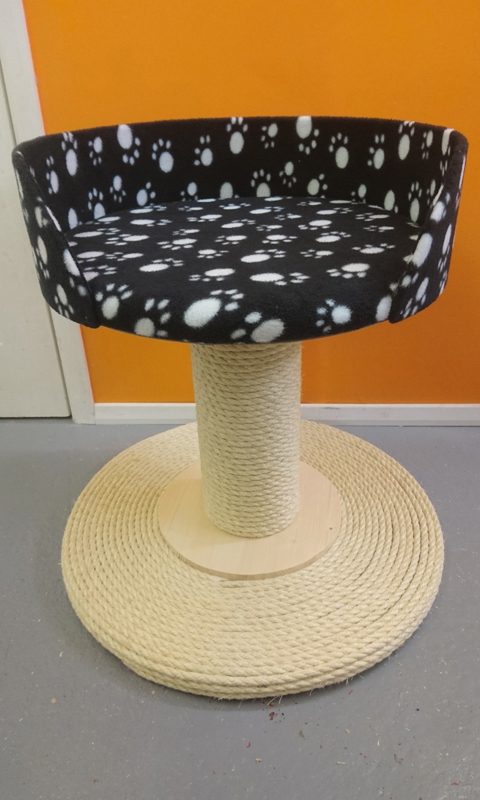 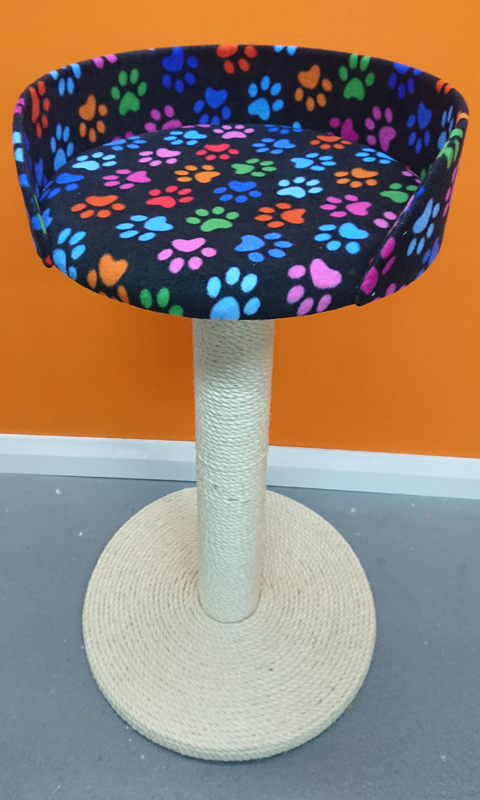 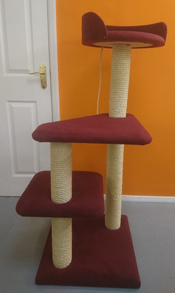 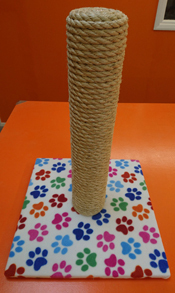 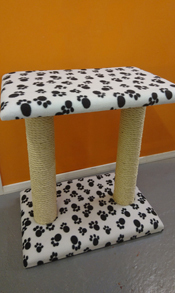 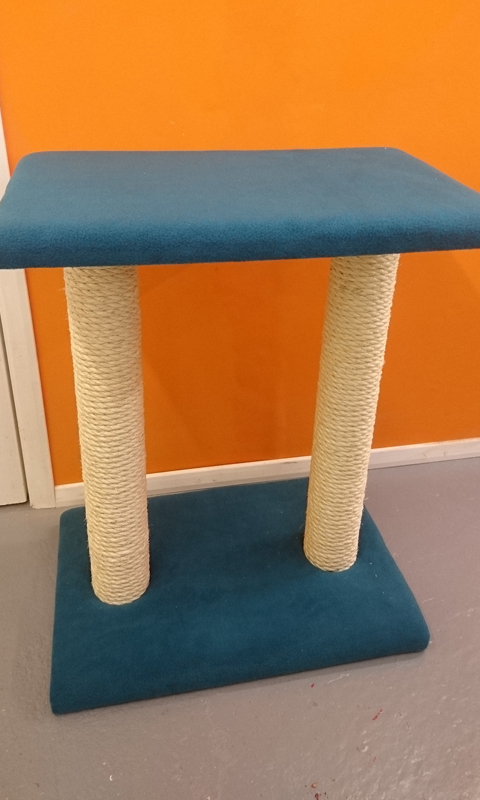 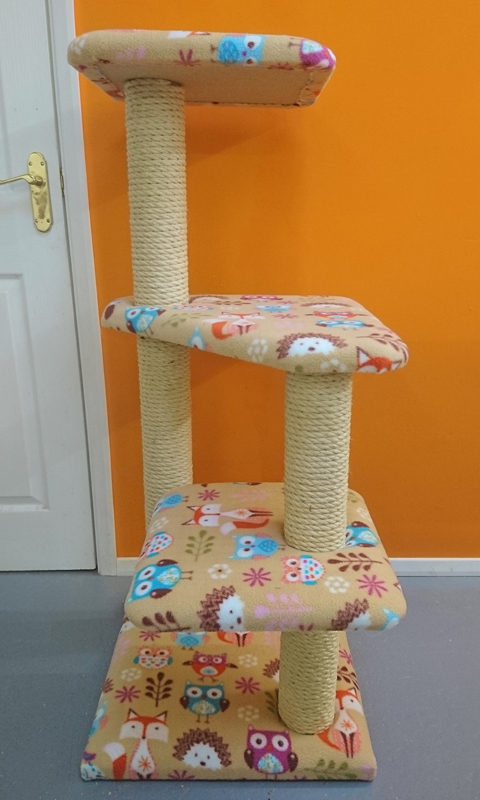 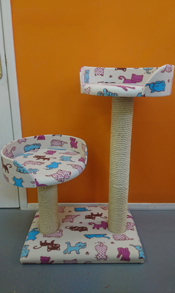 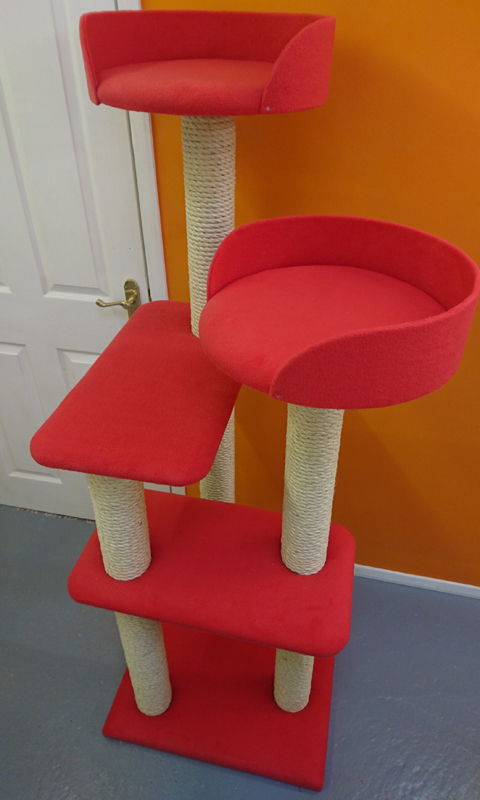 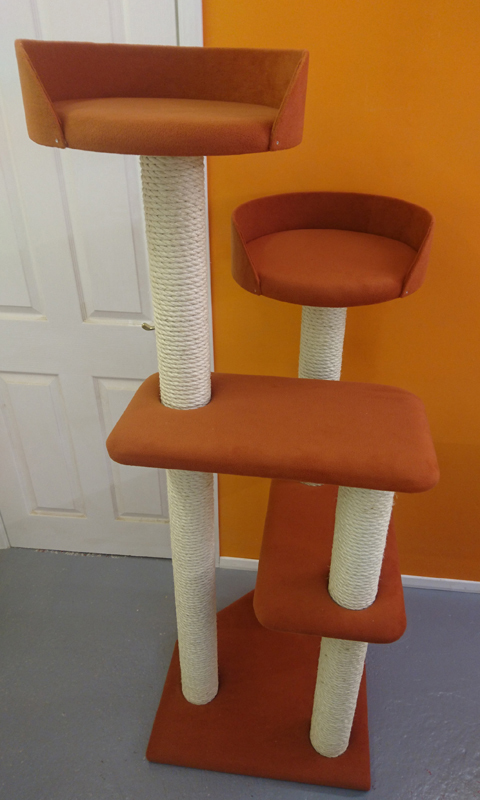 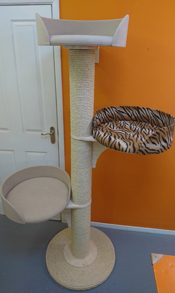 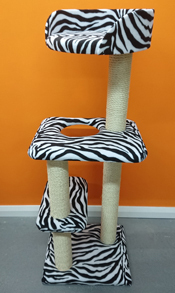 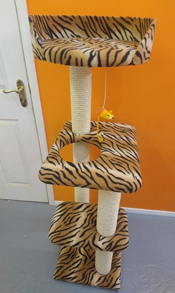 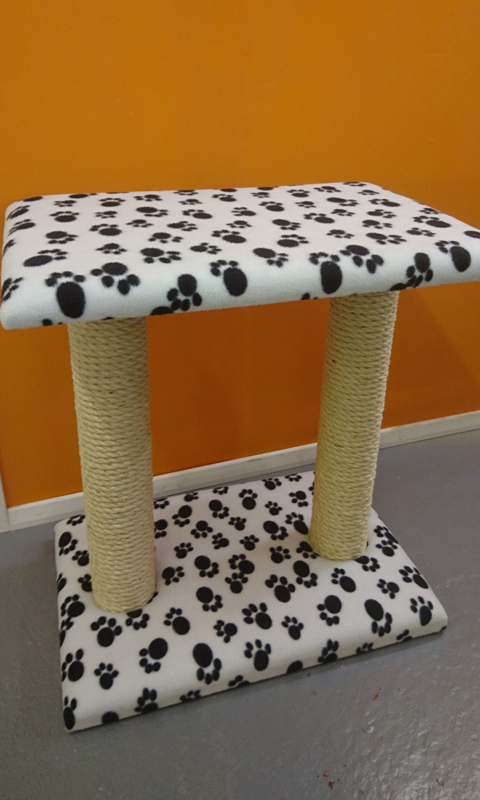 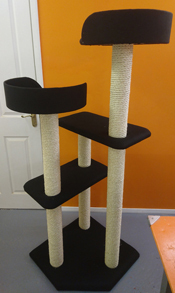 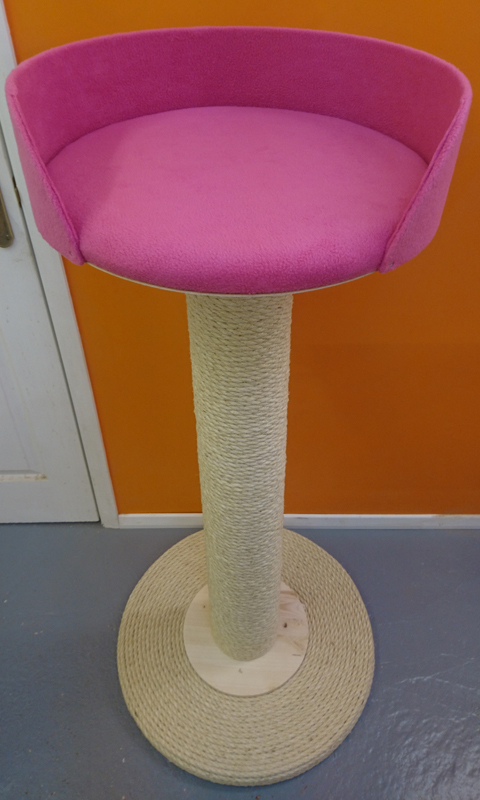 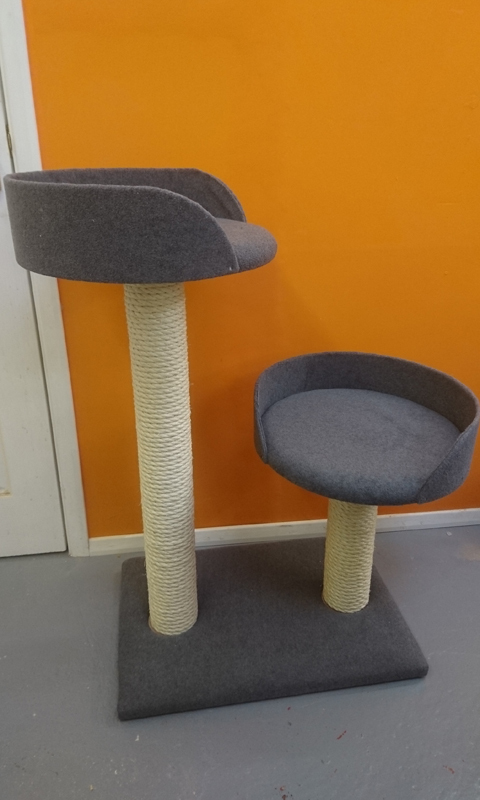 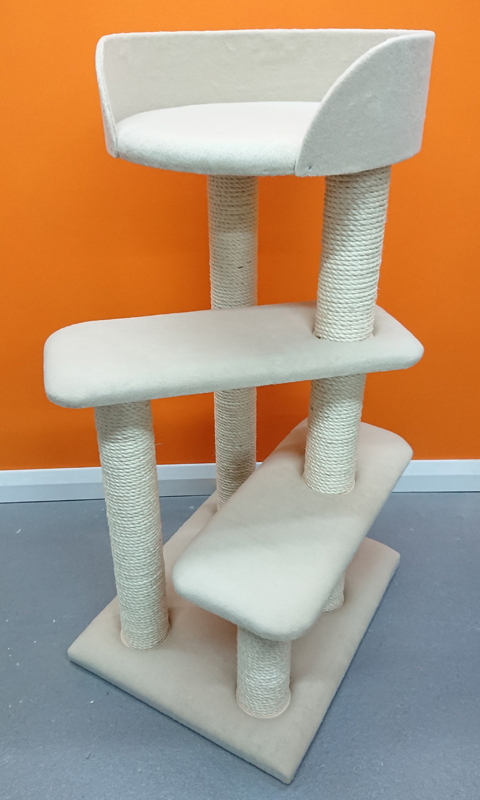 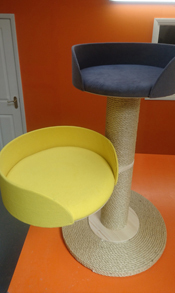 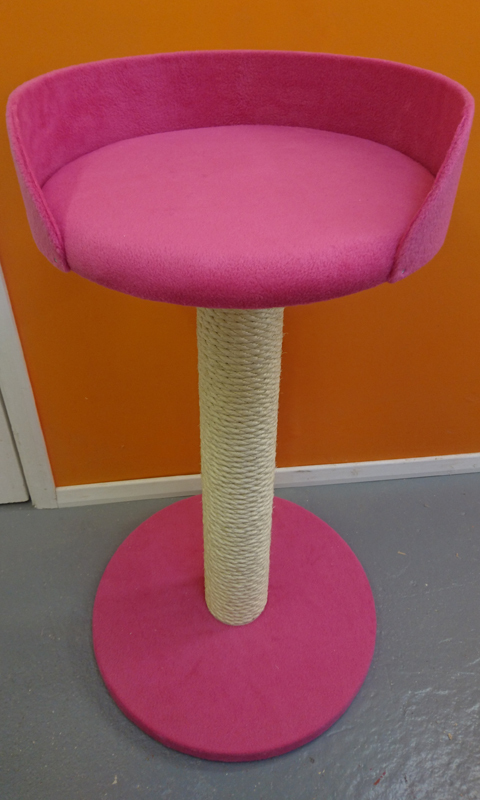 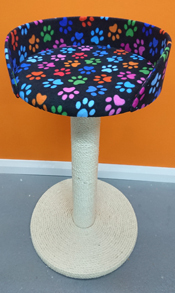 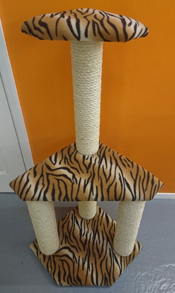 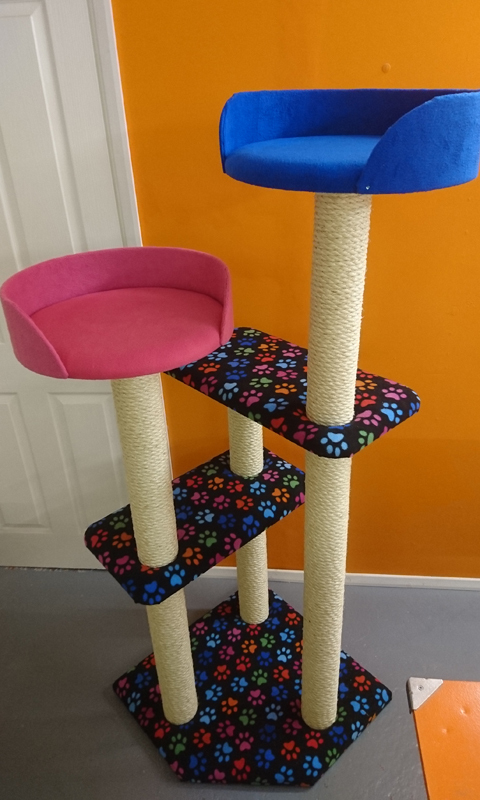 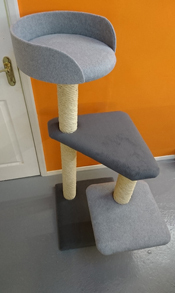 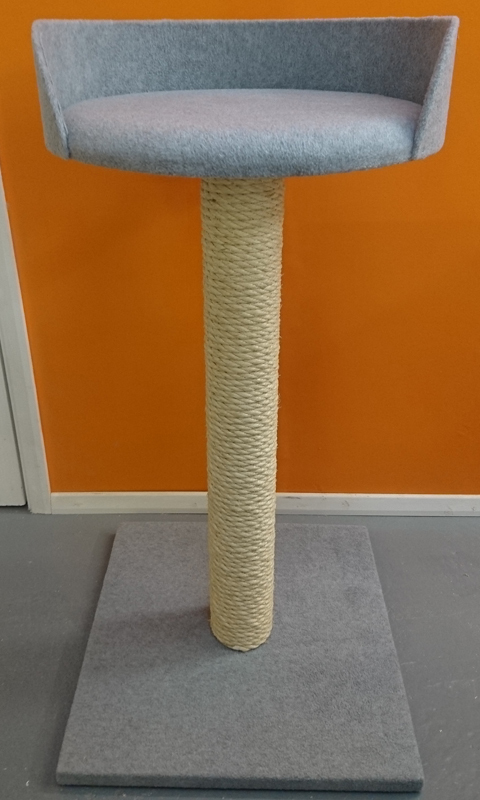 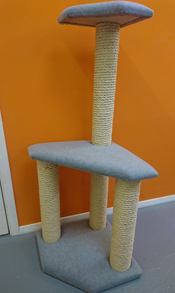 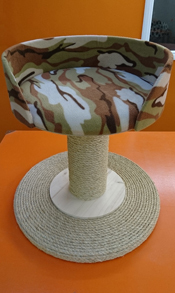 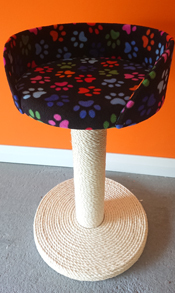 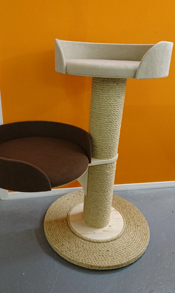 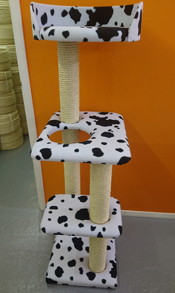 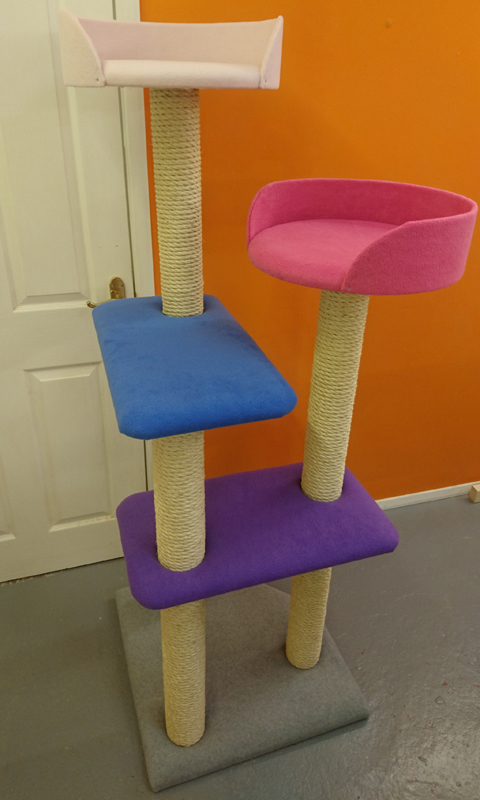 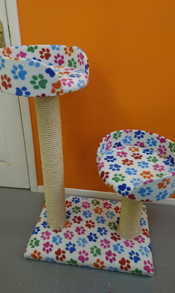 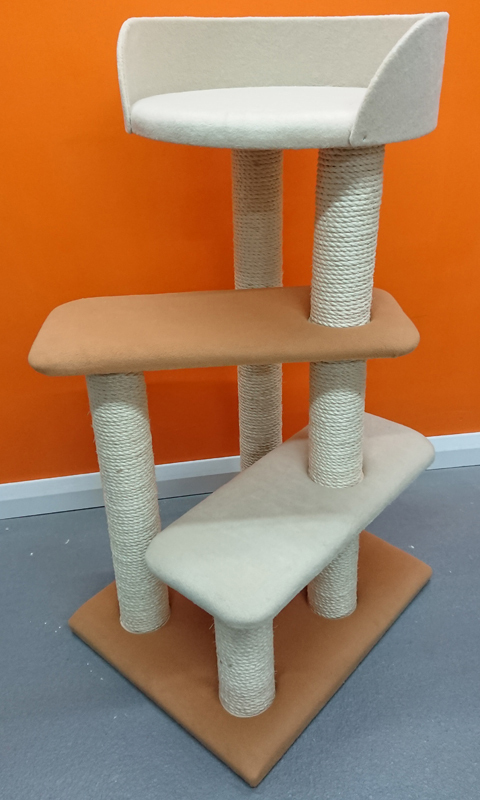 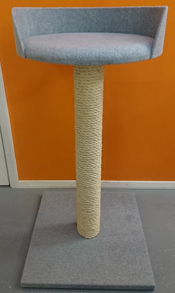 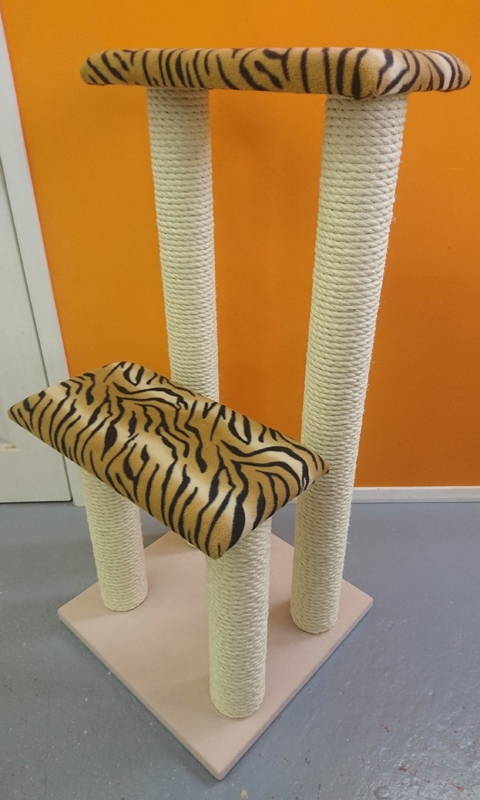 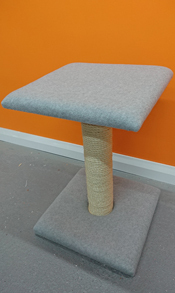 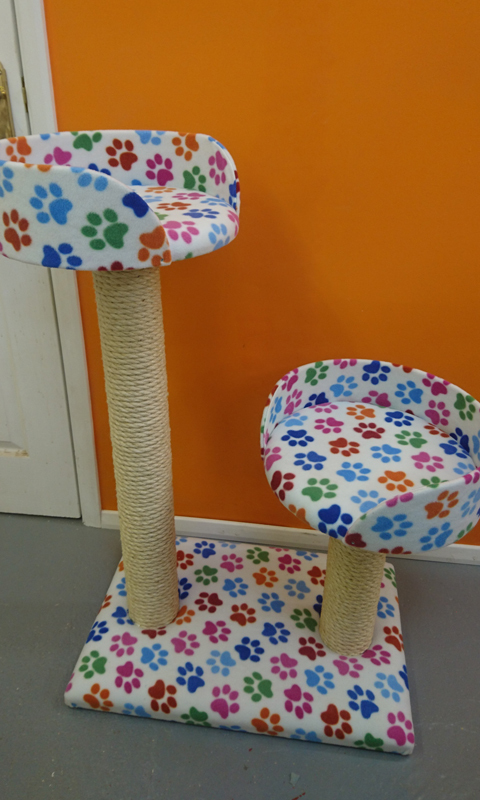 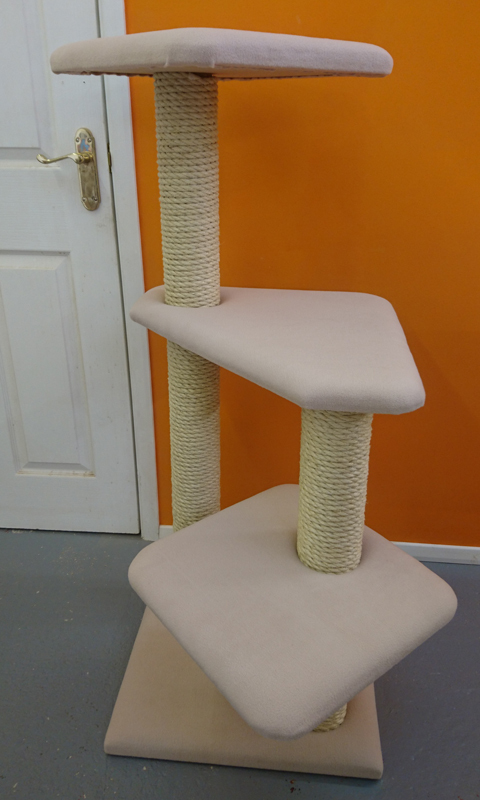 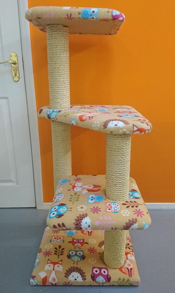 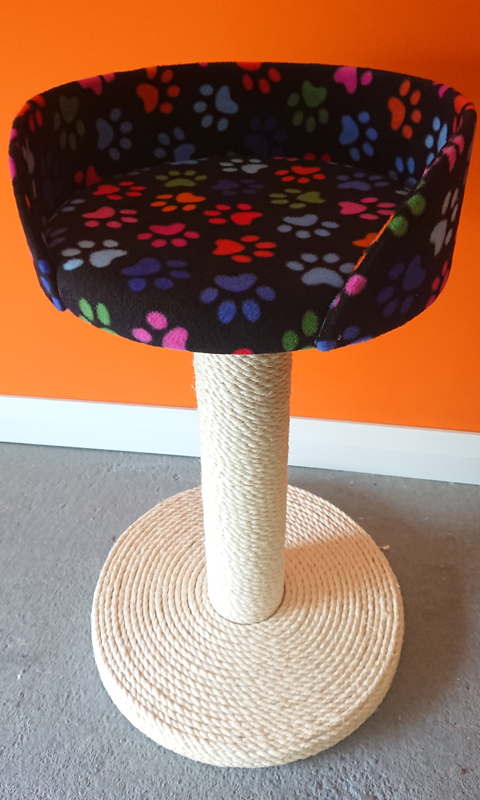 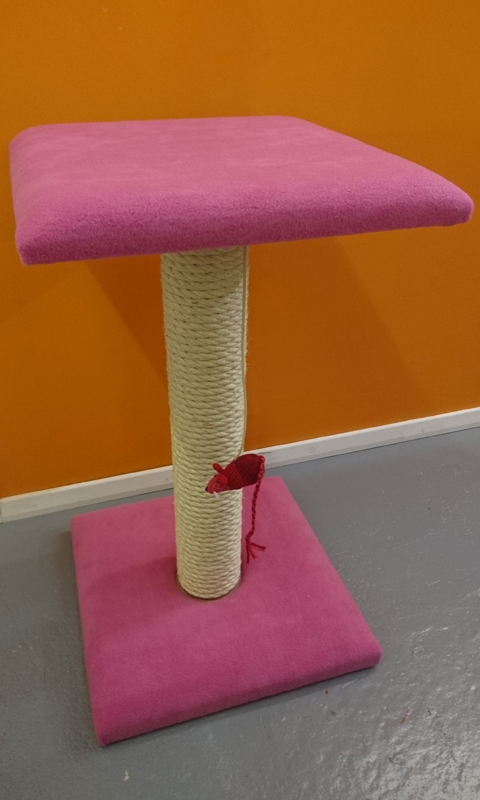 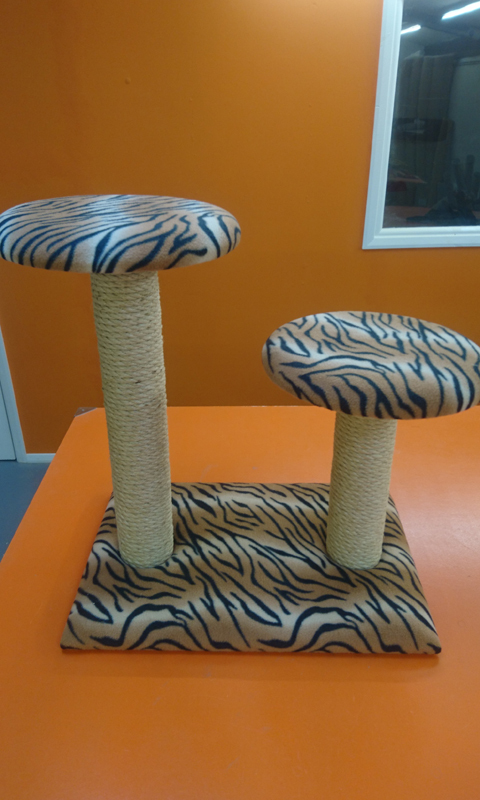 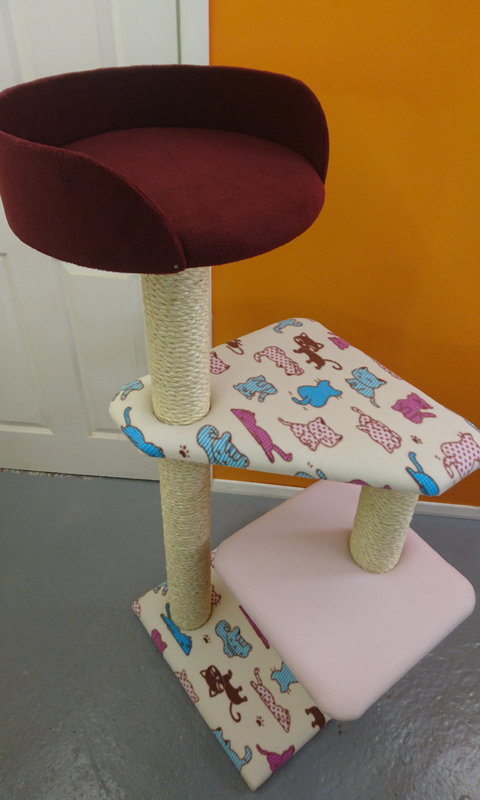 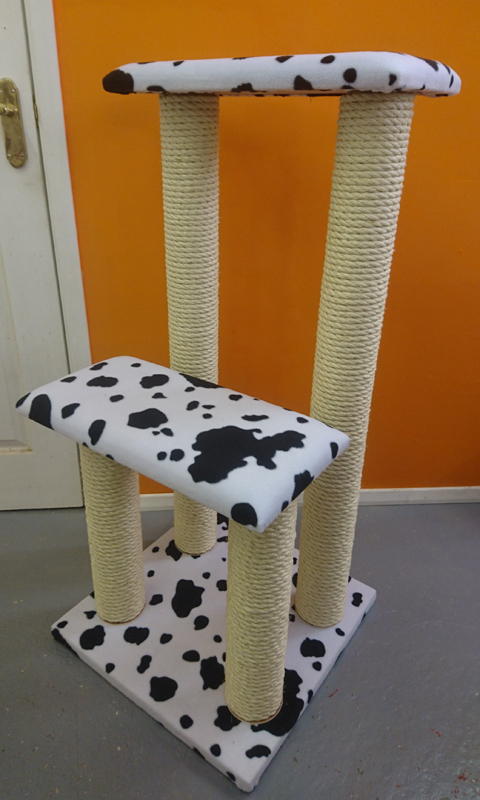 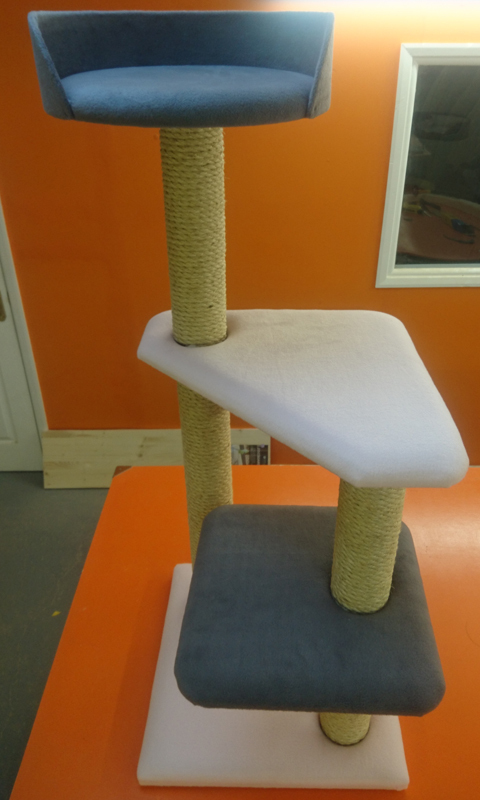 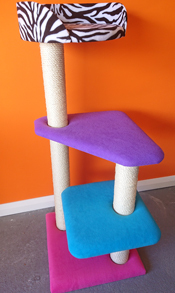 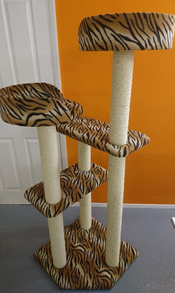 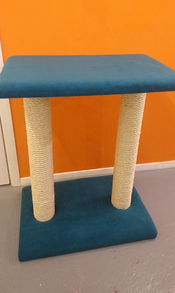 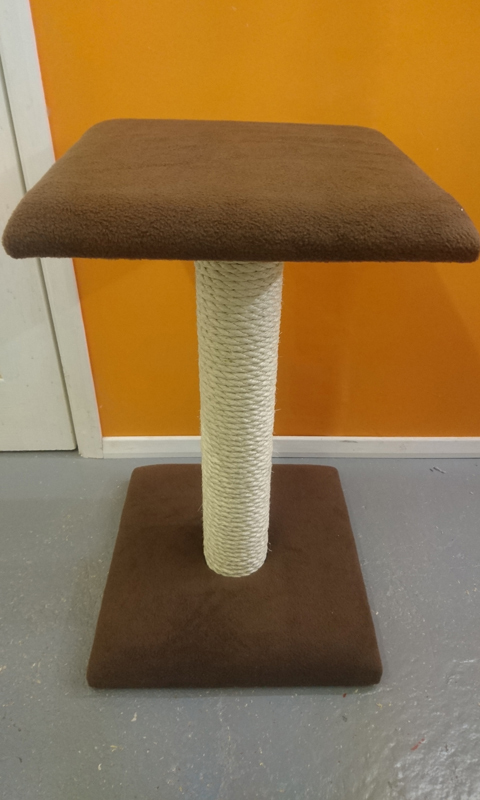 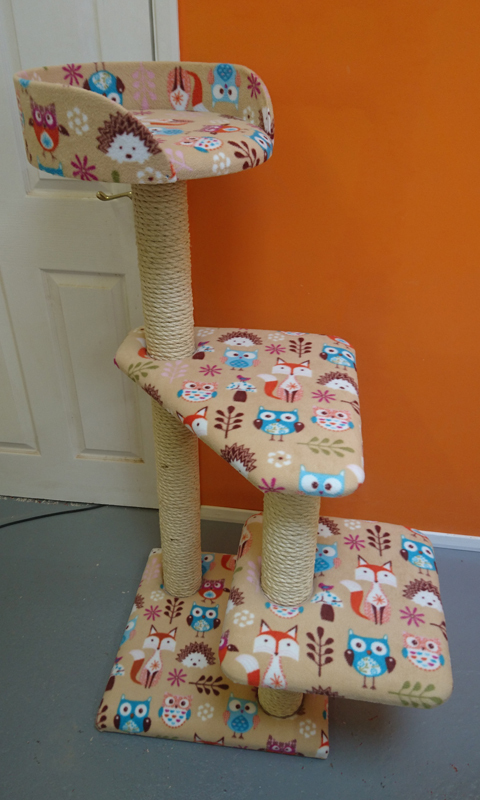 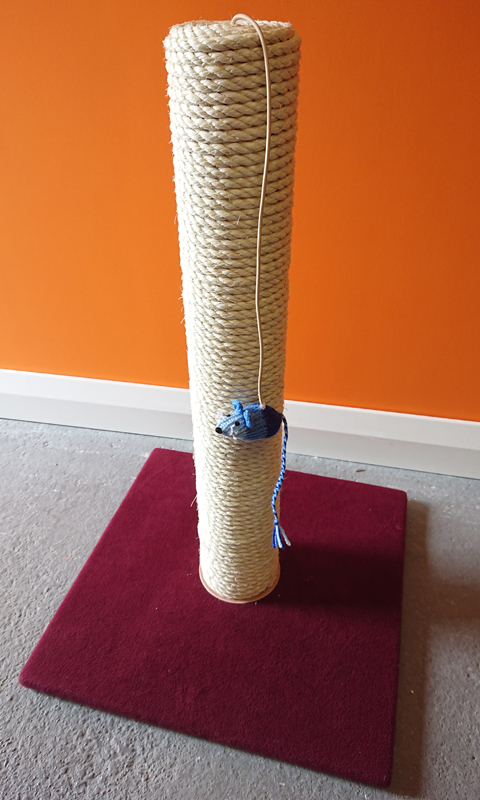 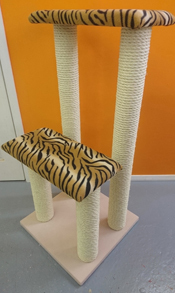 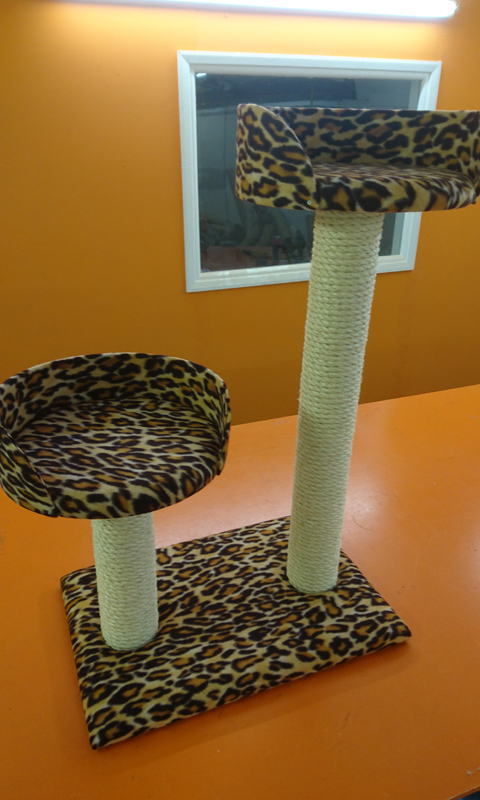 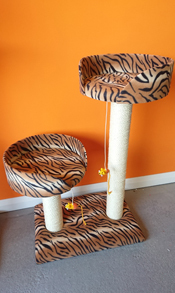 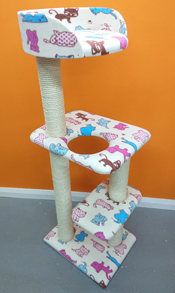 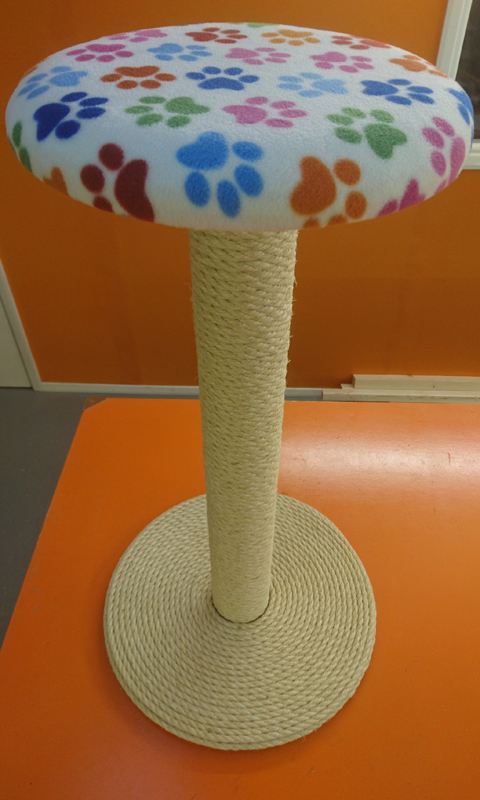 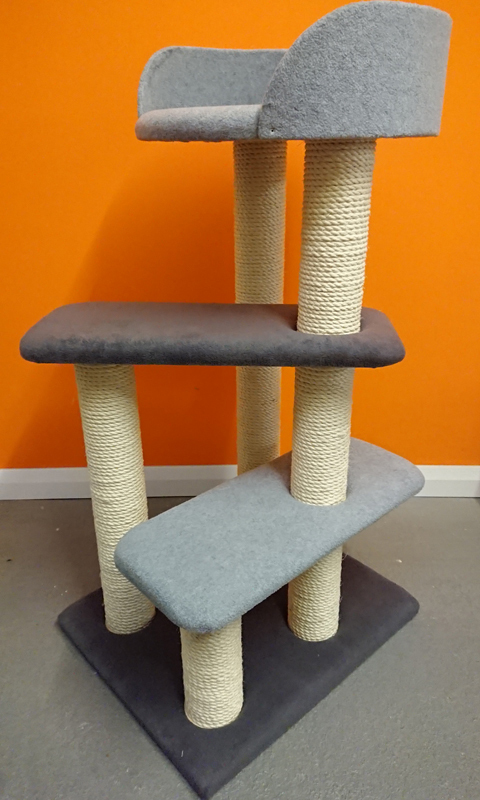 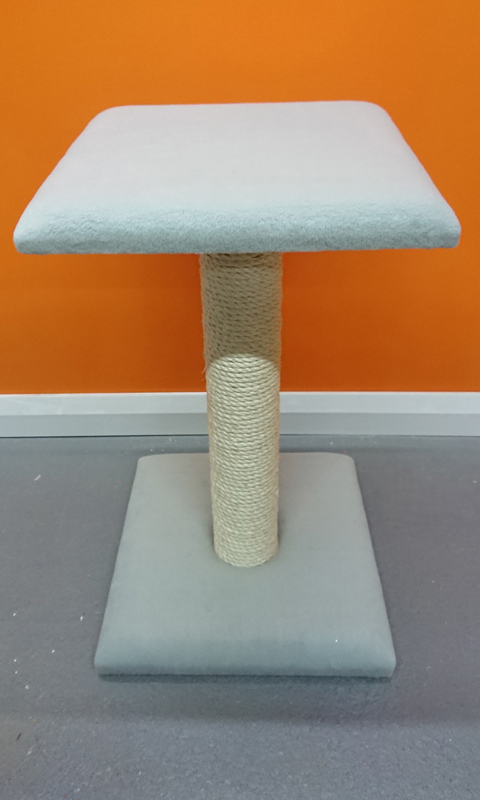 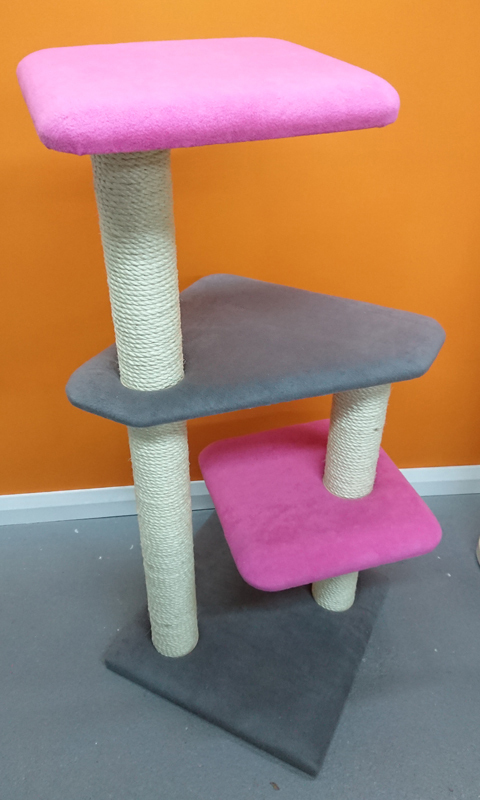 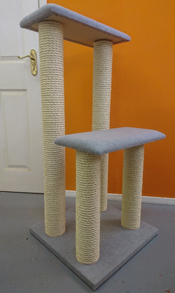 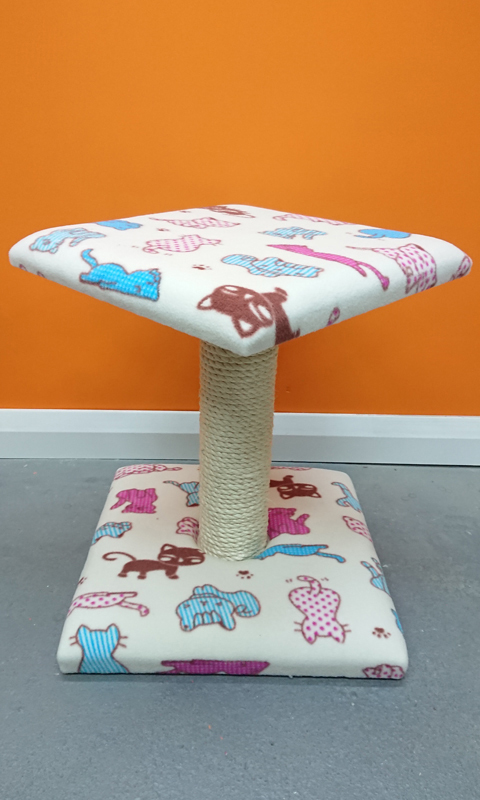 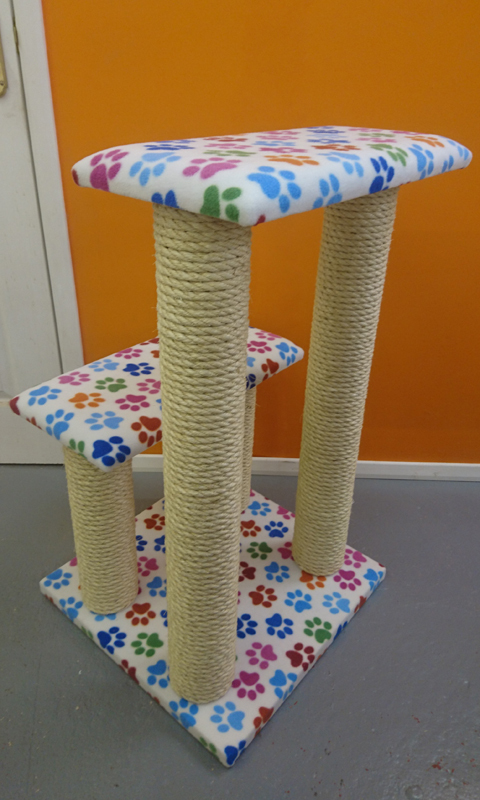 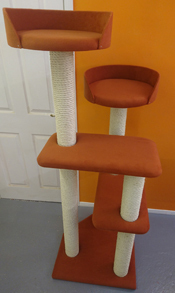 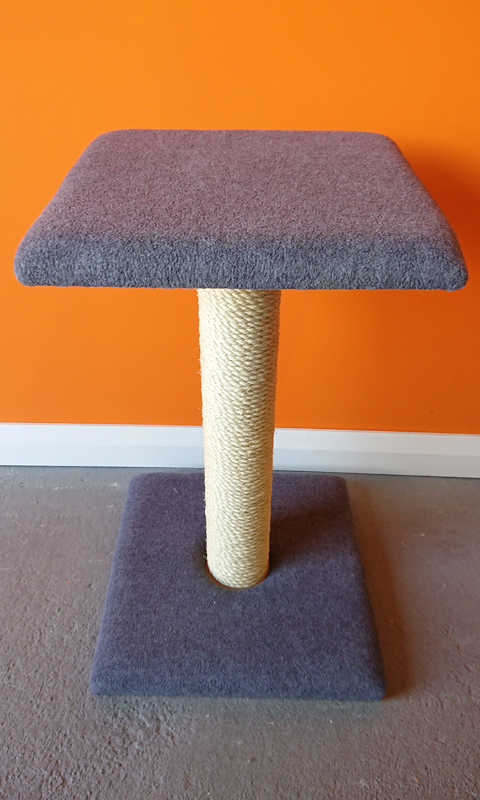 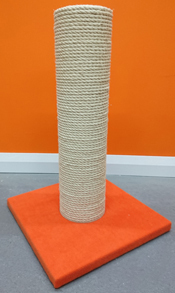 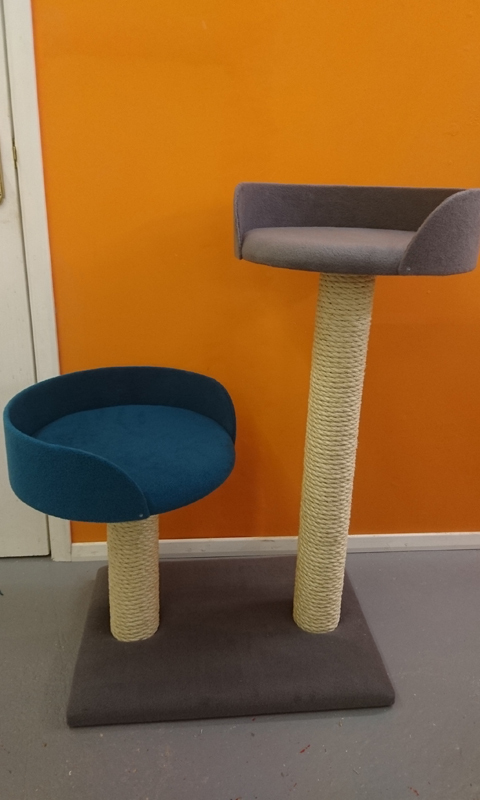 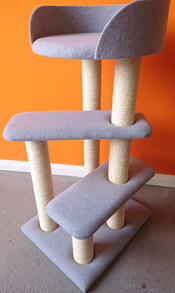 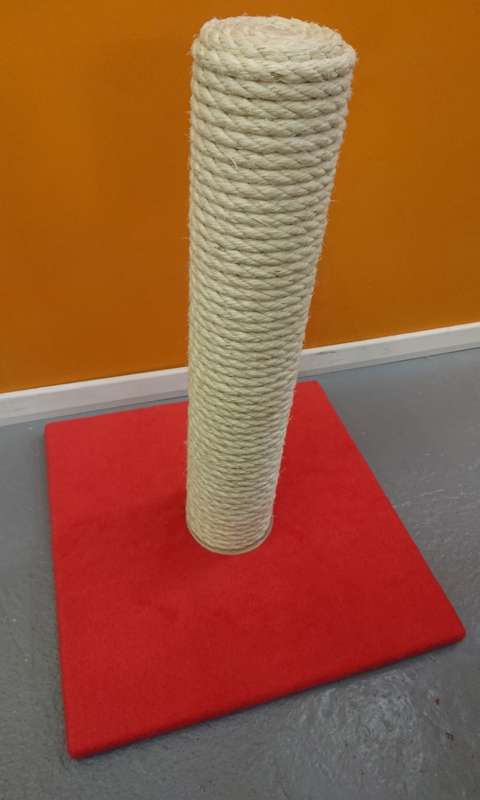 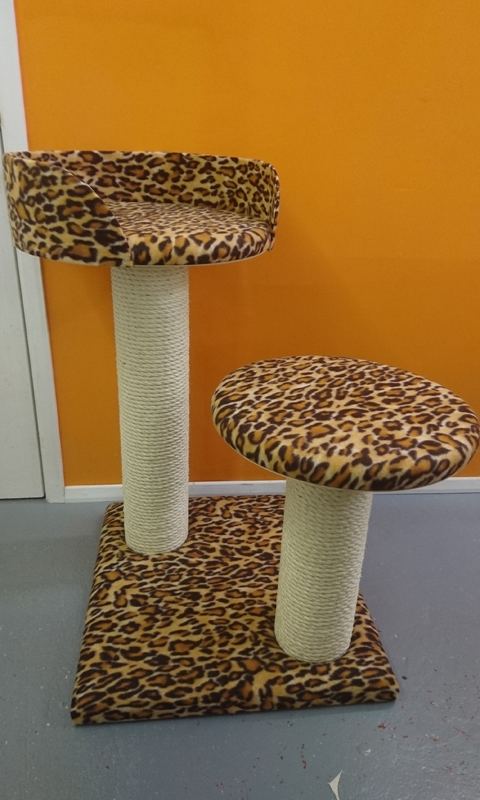 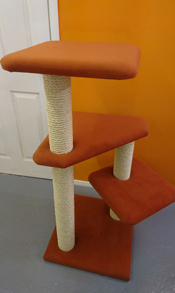 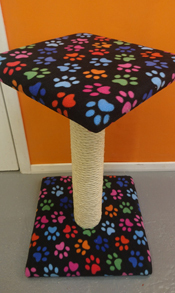 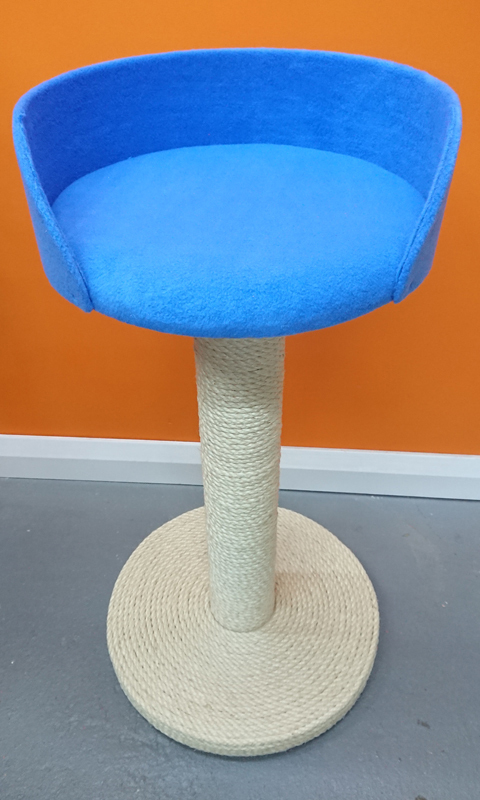 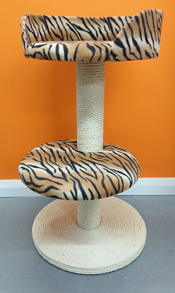 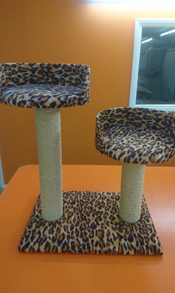 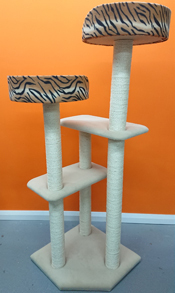 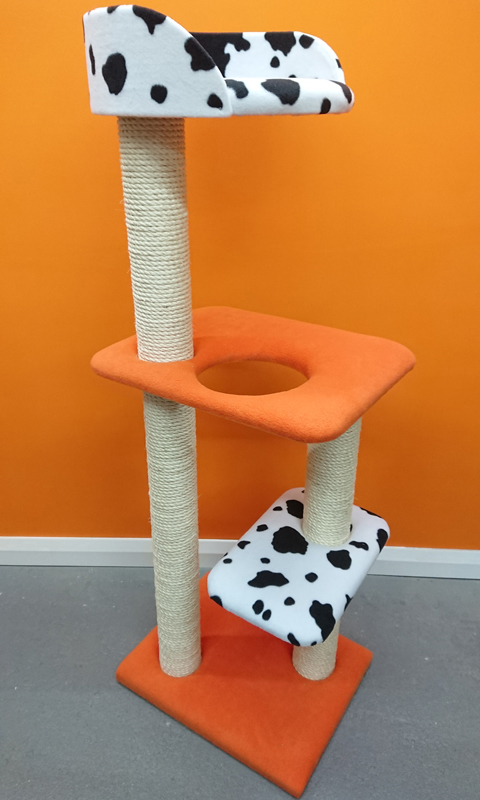 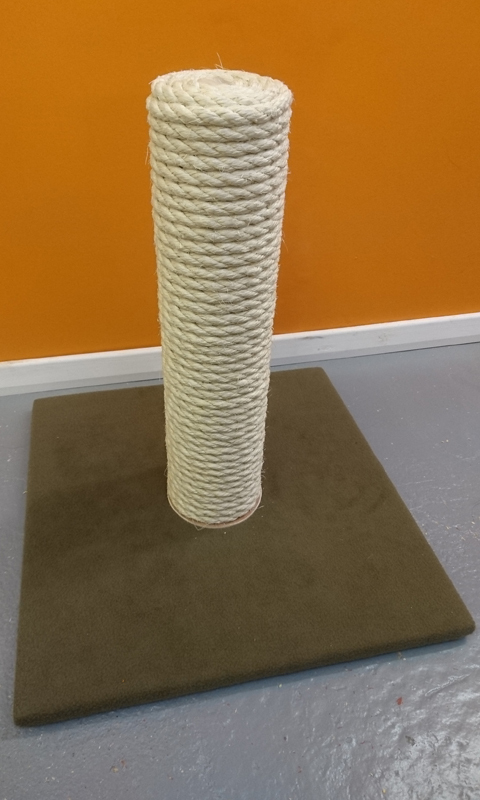 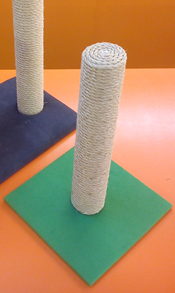 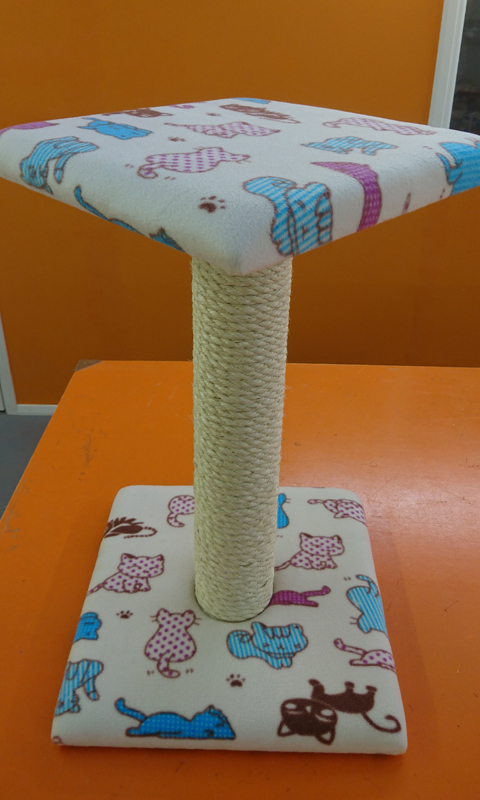 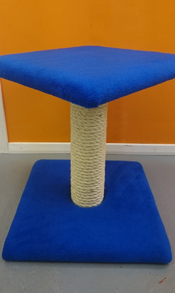 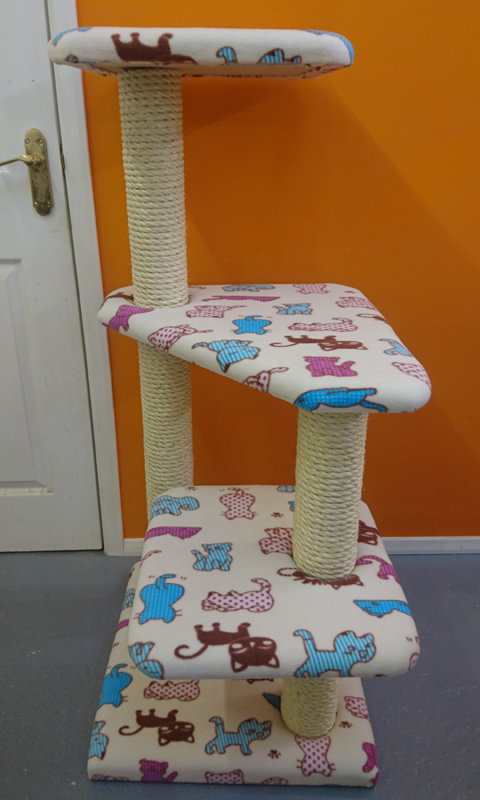 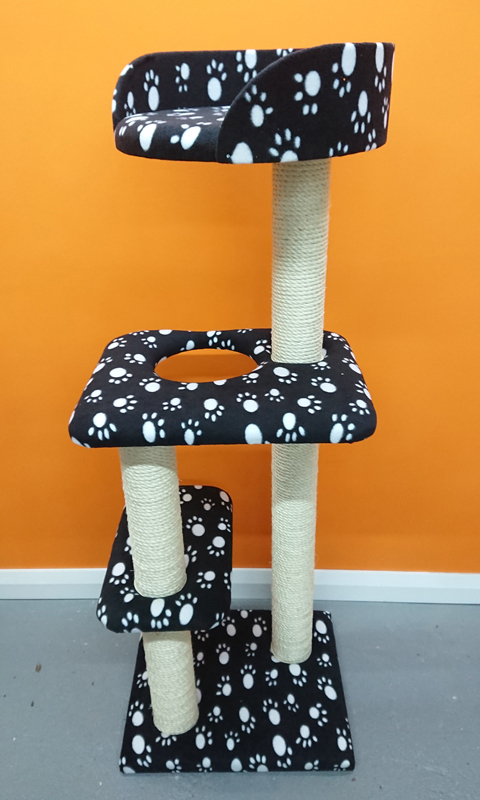 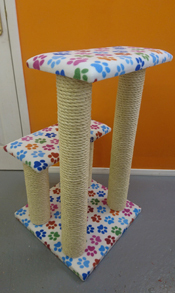 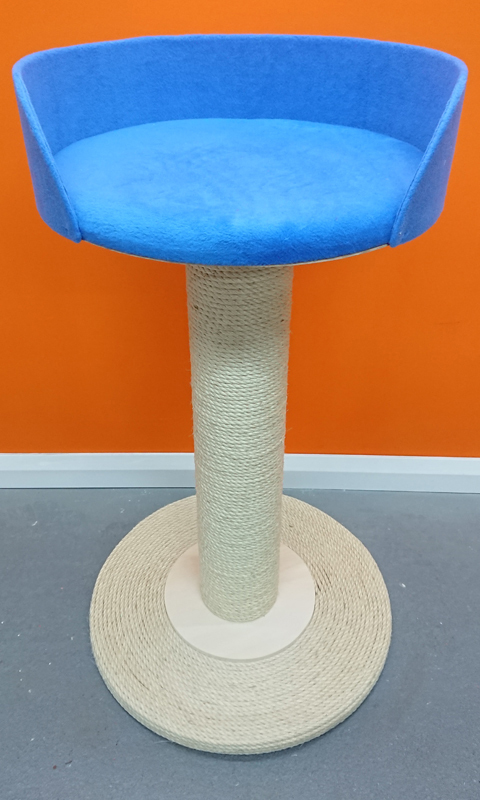 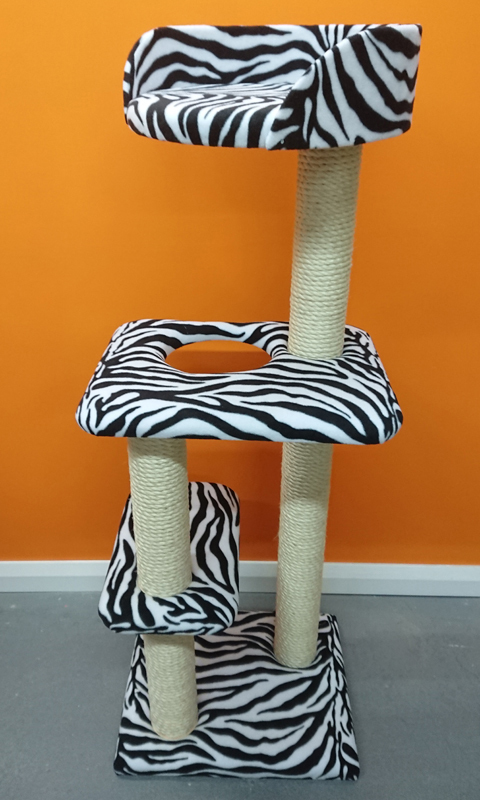 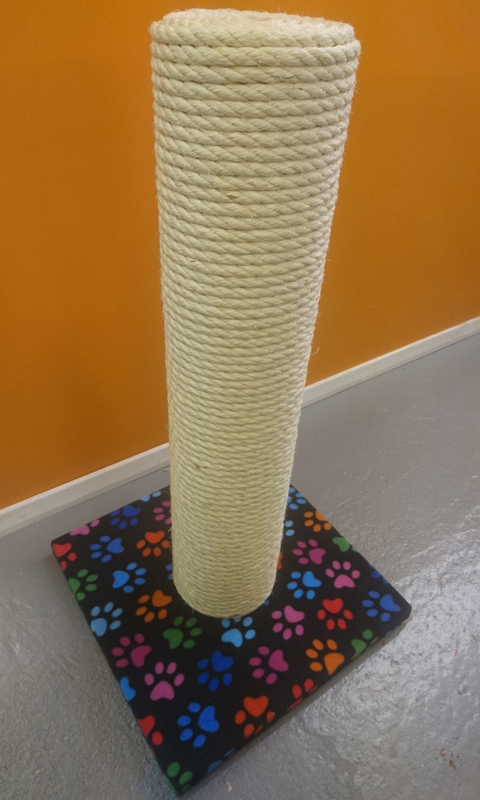 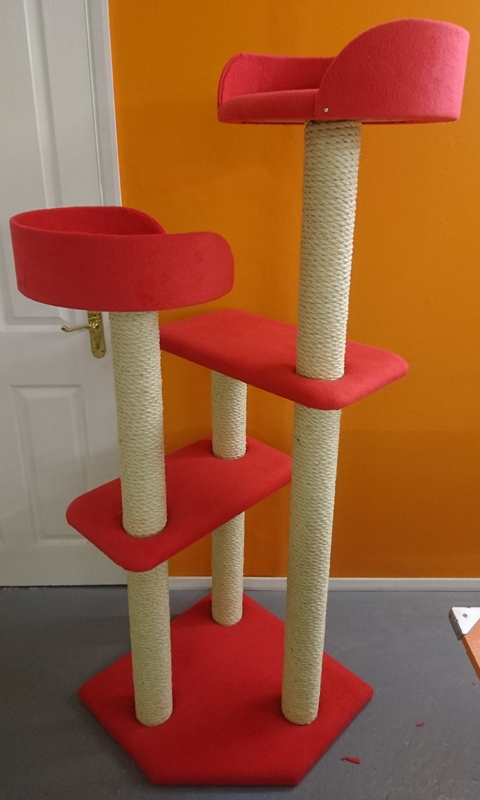 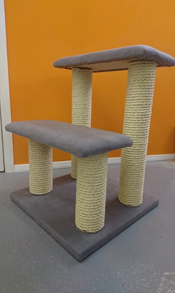 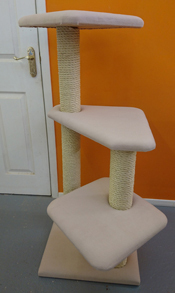 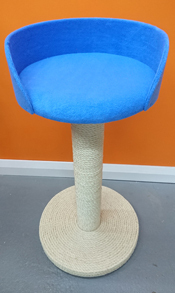 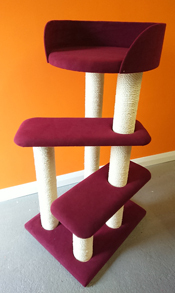 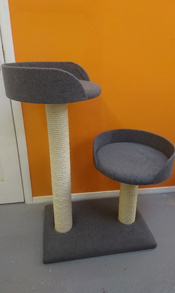 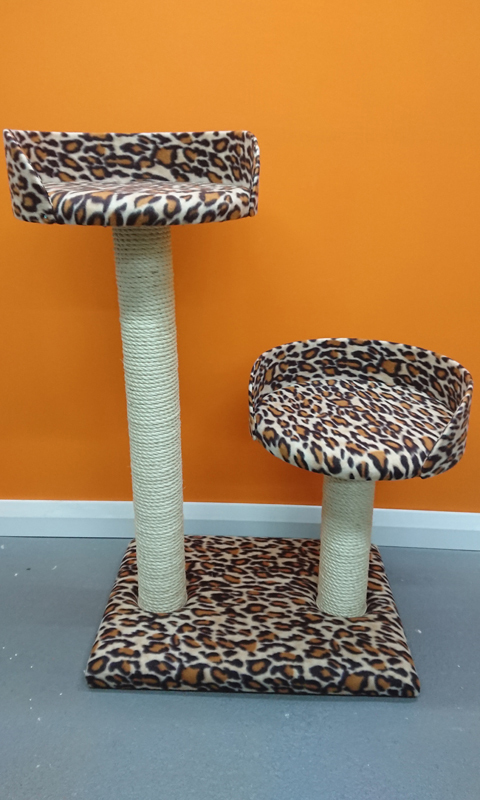 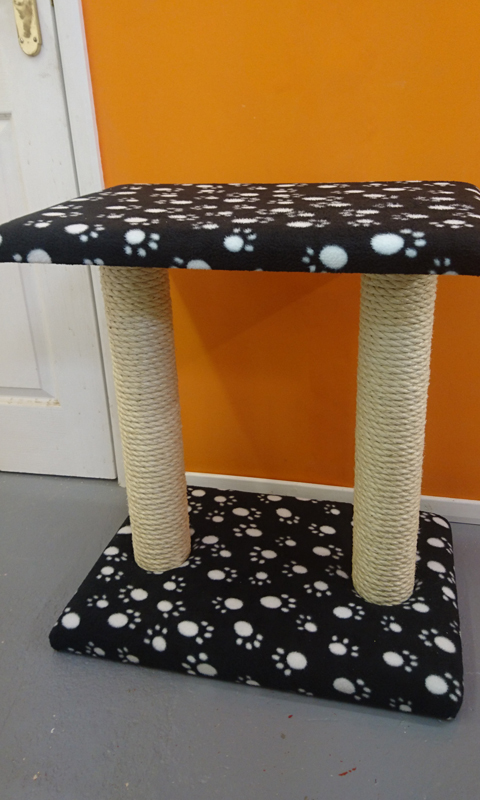 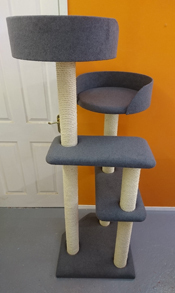 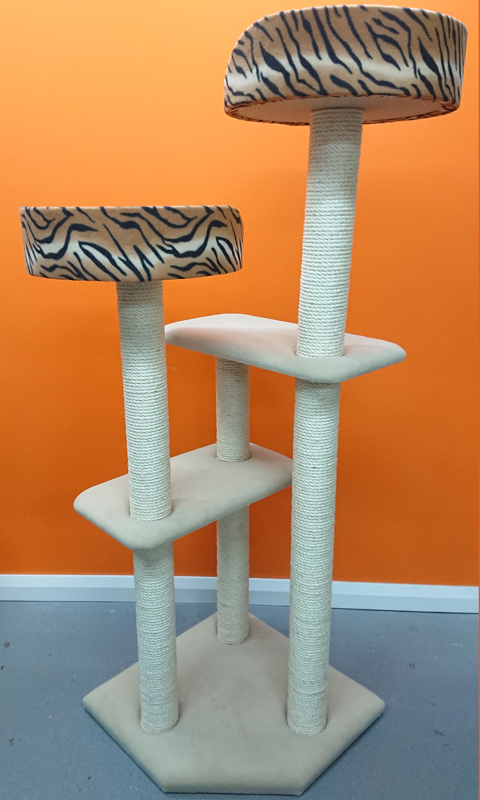 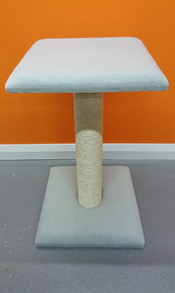 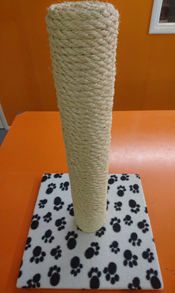 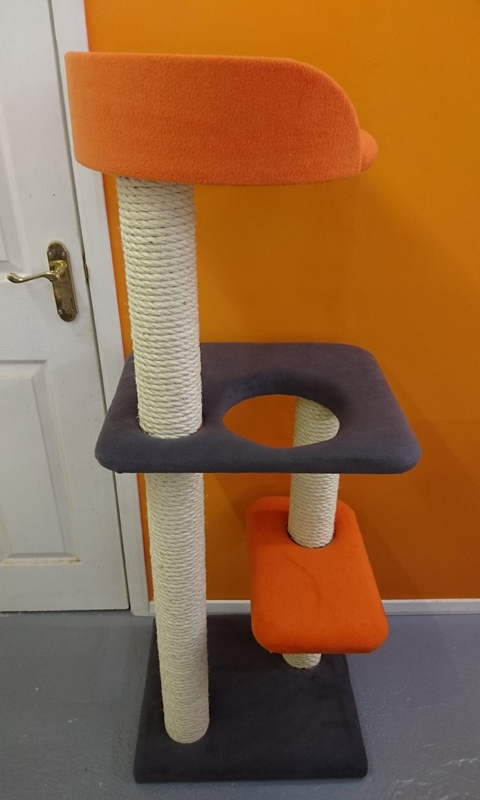 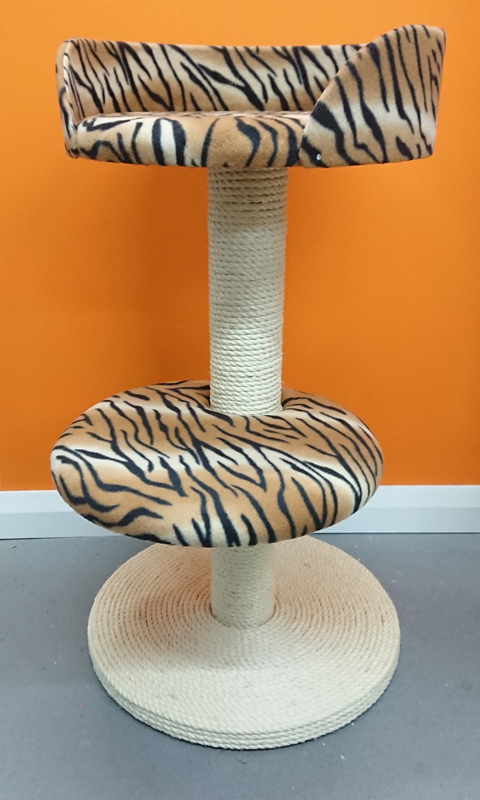 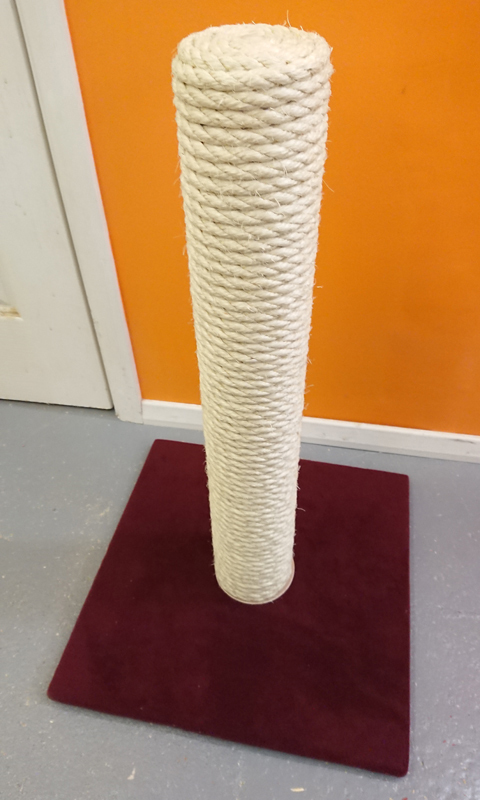 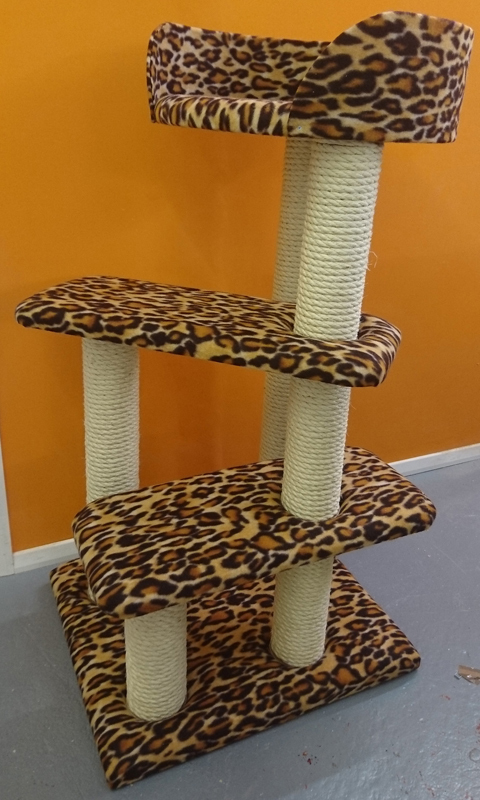 To see examples of our cat scratching posts finished in your preferred colour, simply click on the colour of your choice below. Sorry, we currently don't have any photos of products finished in this colour.